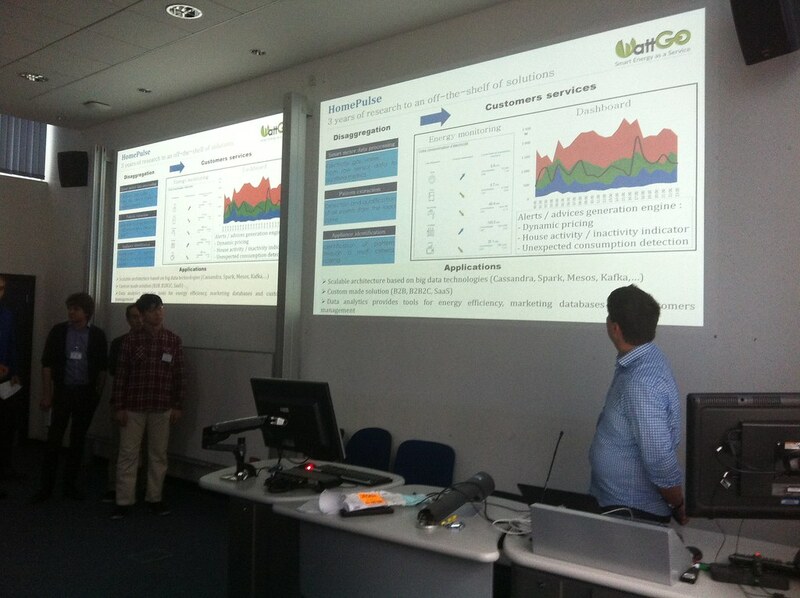 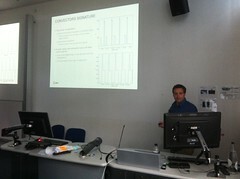 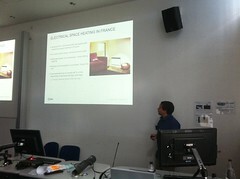 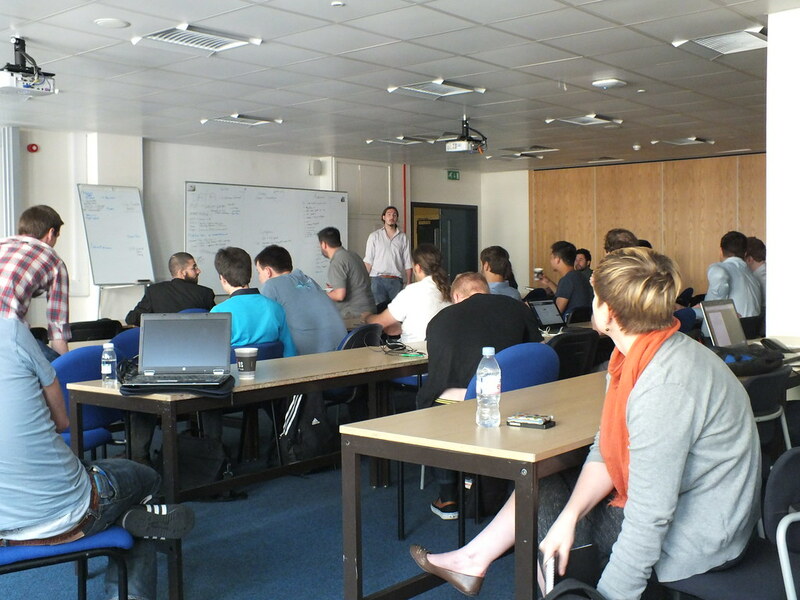 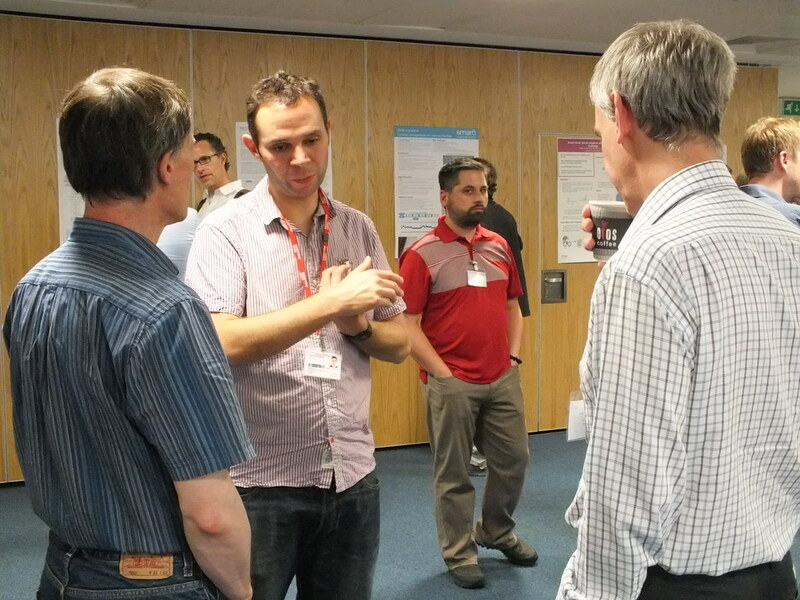 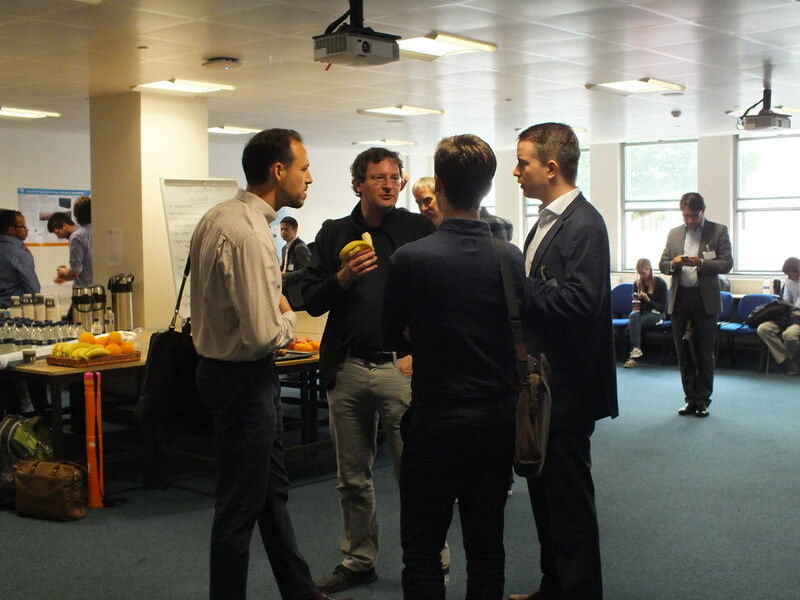 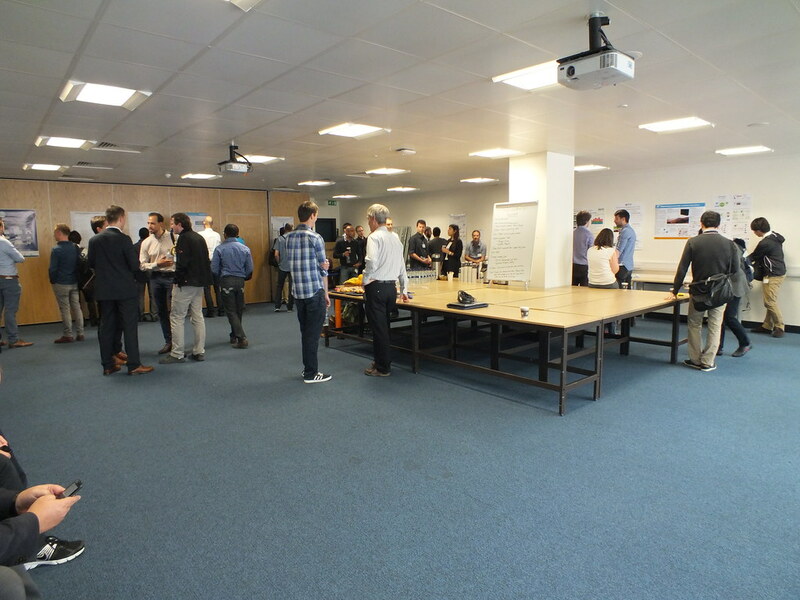 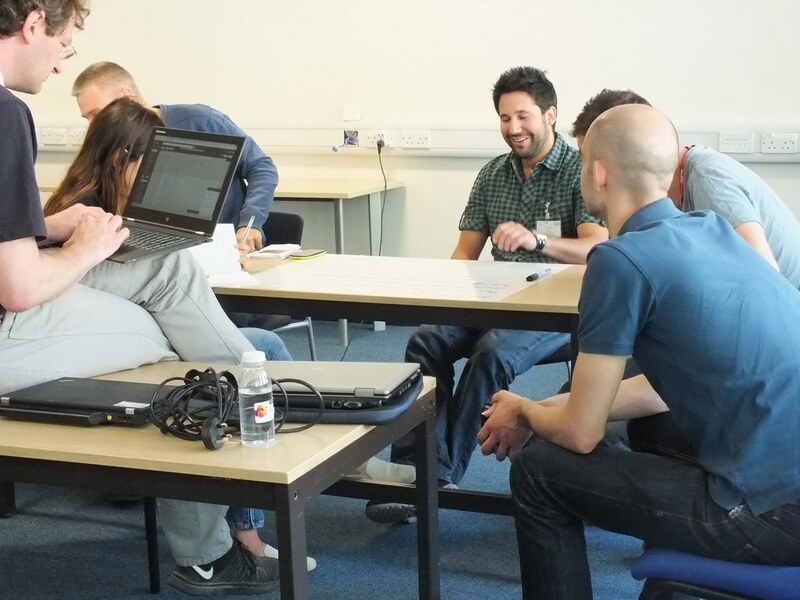 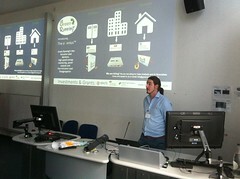 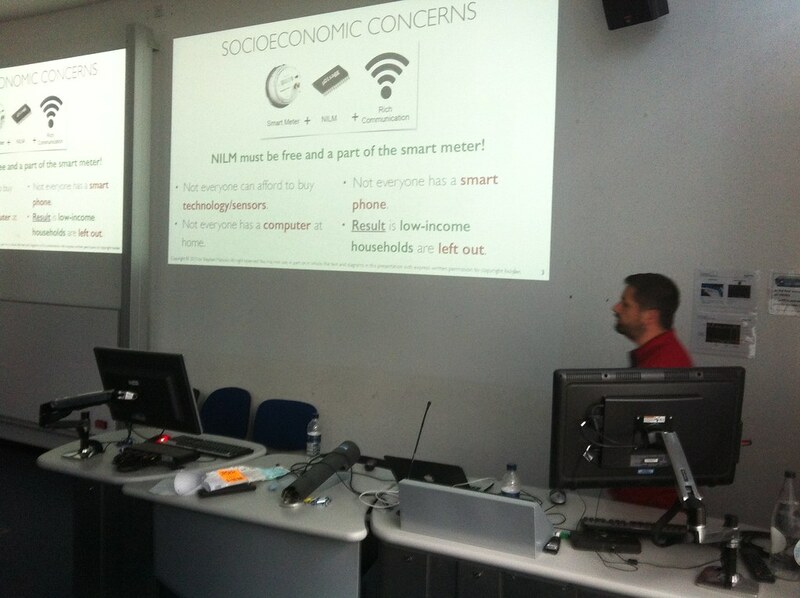 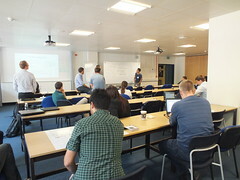 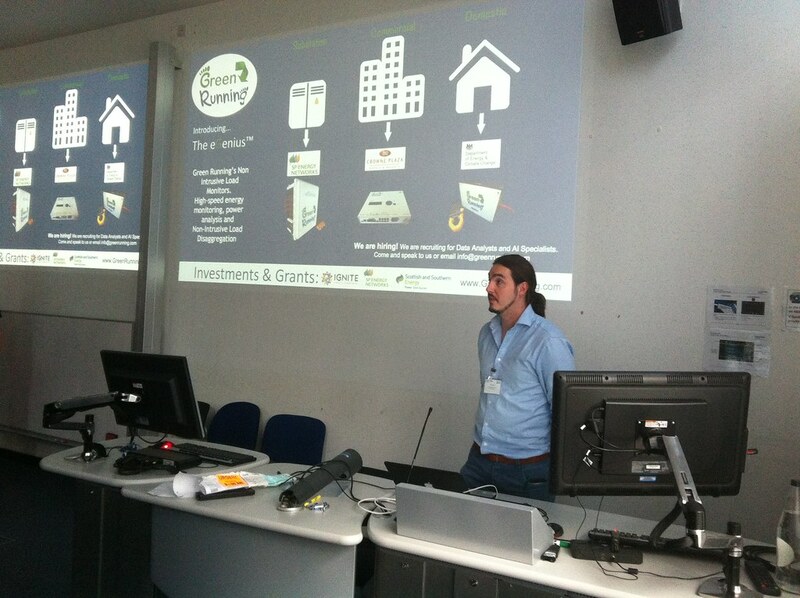 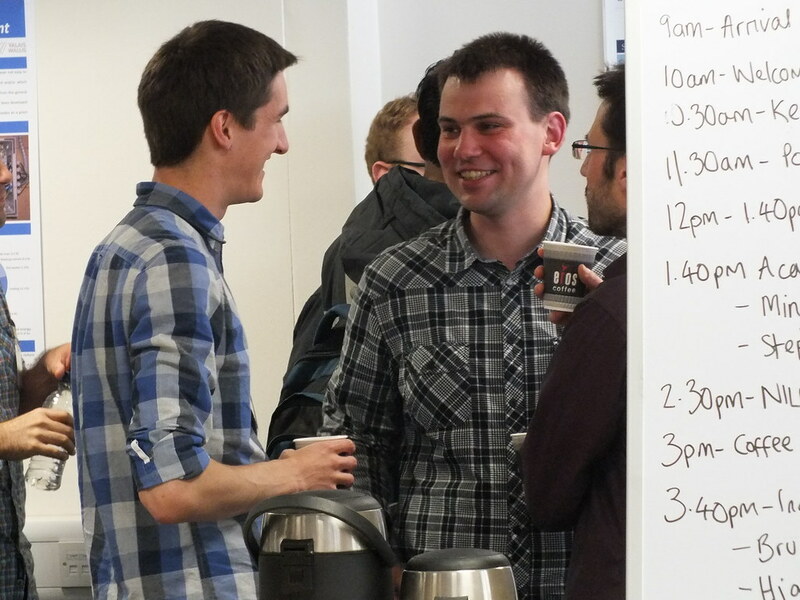 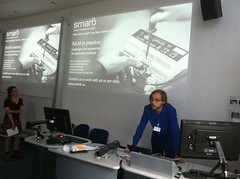 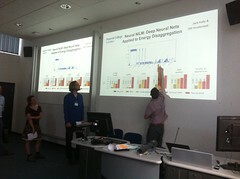 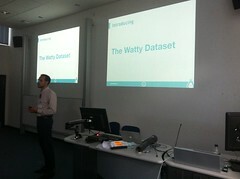 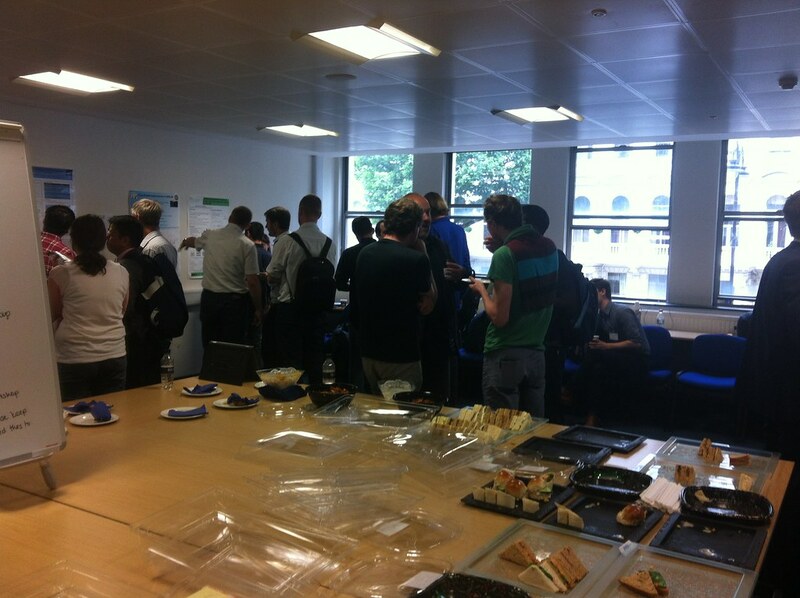 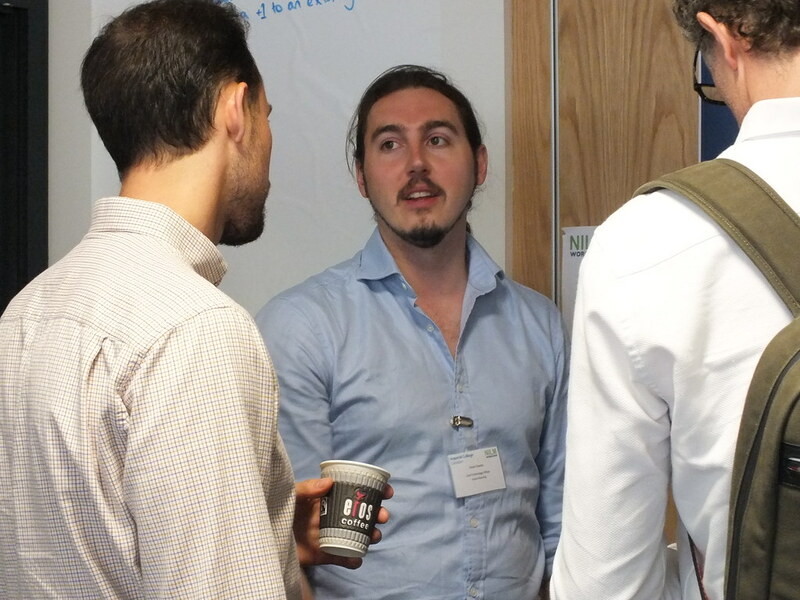 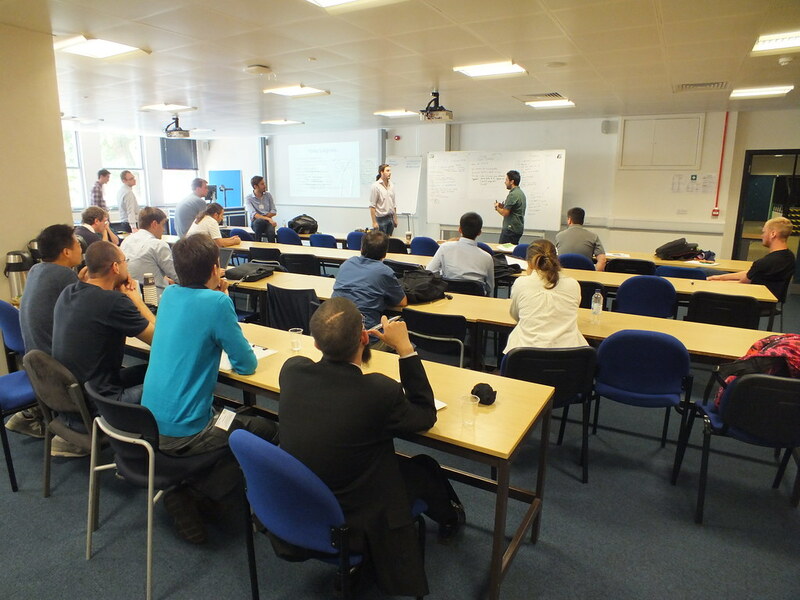 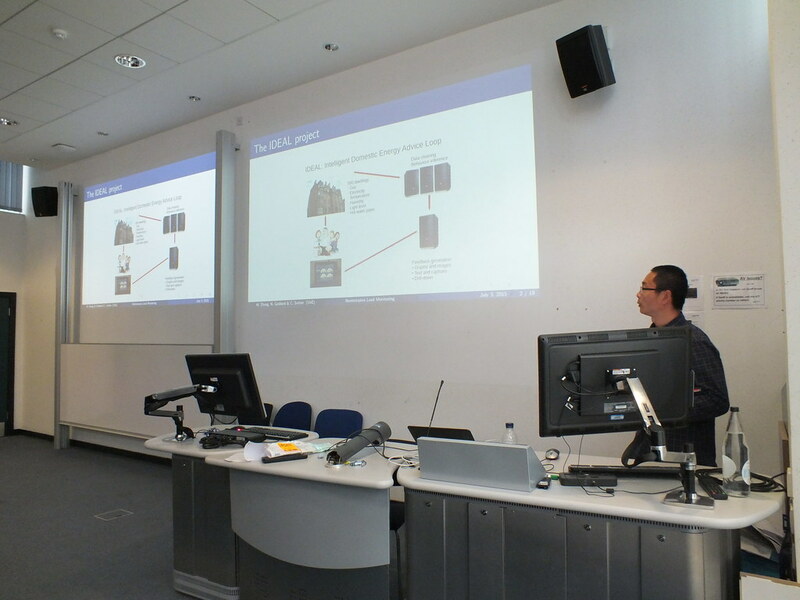 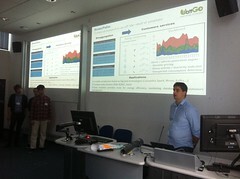 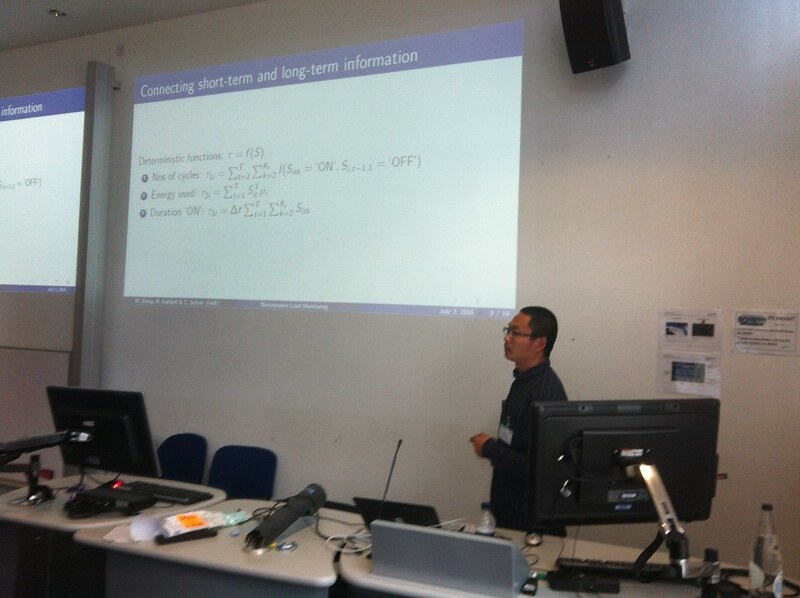 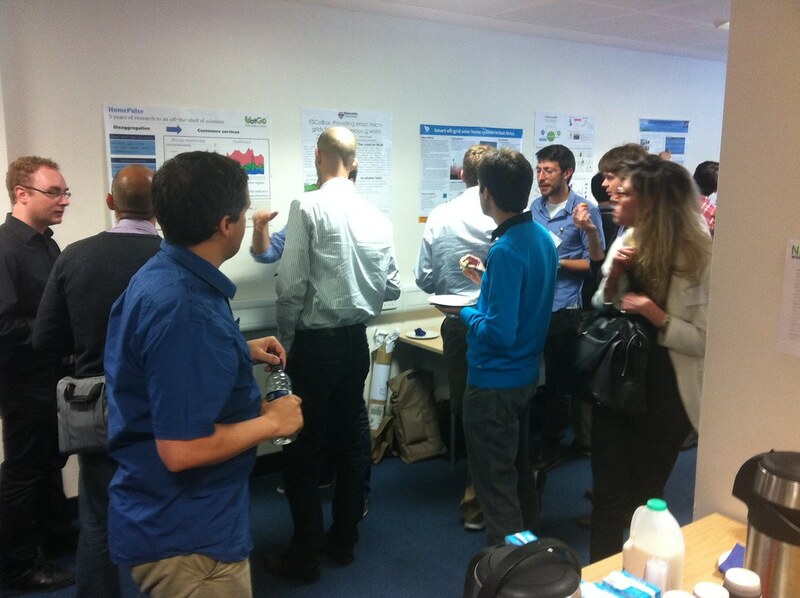 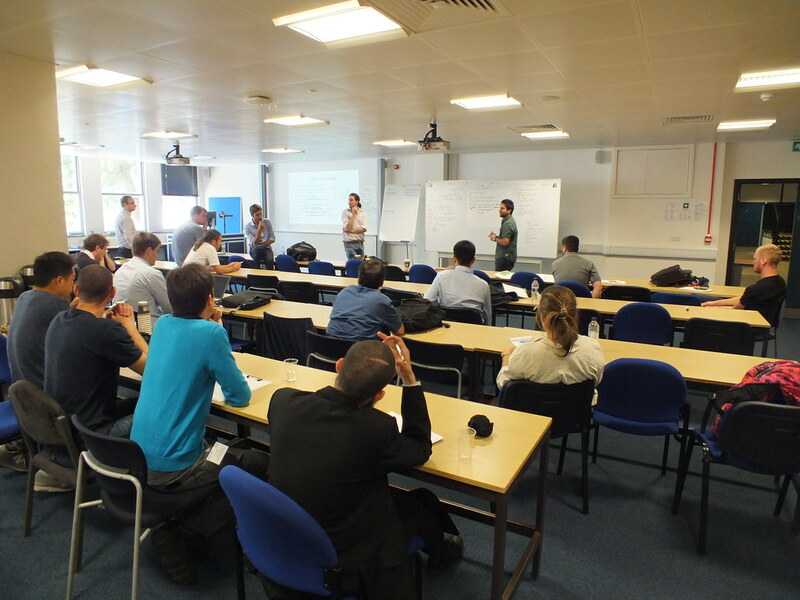 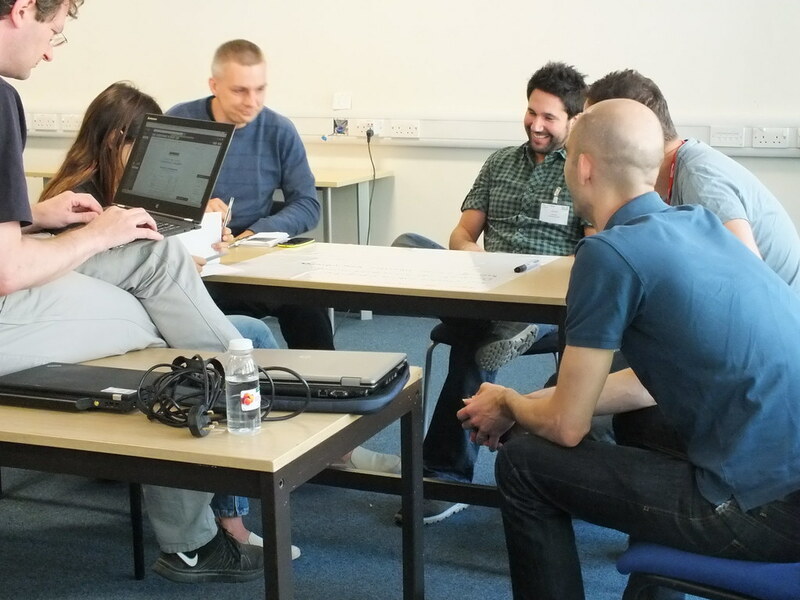 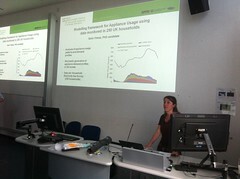 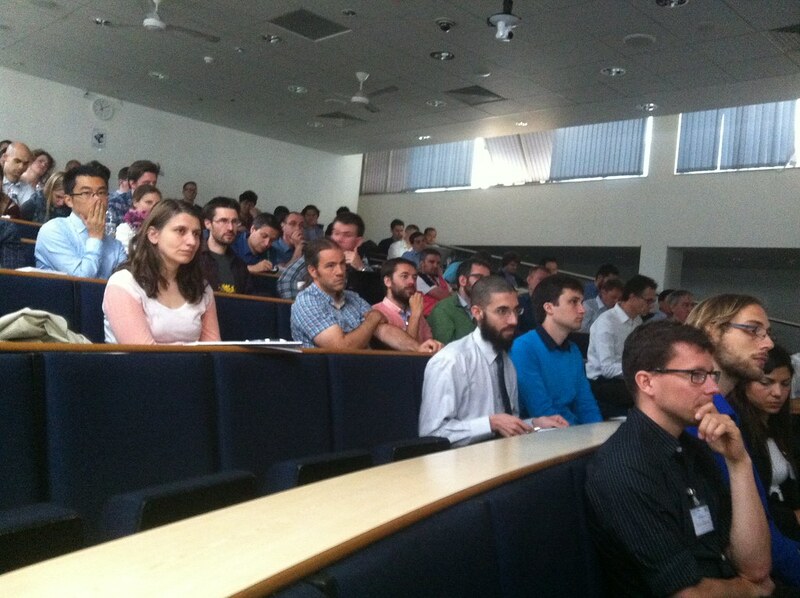 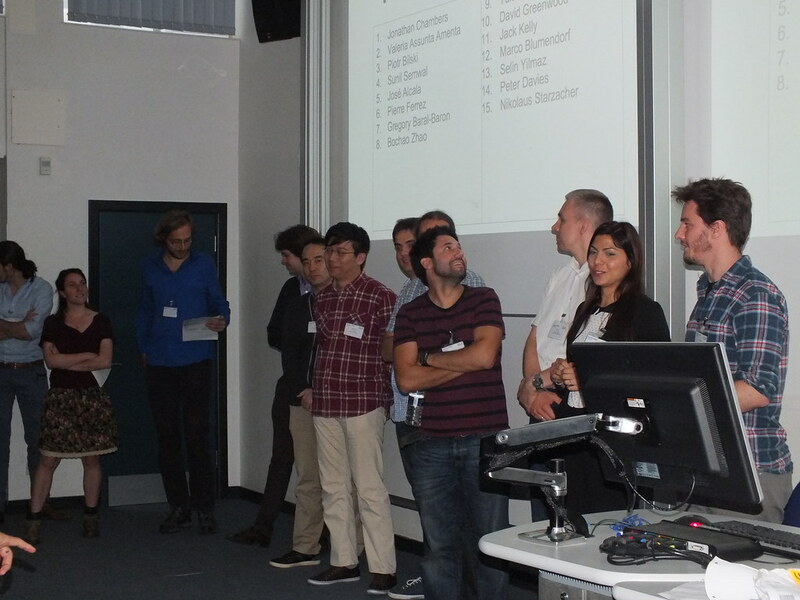 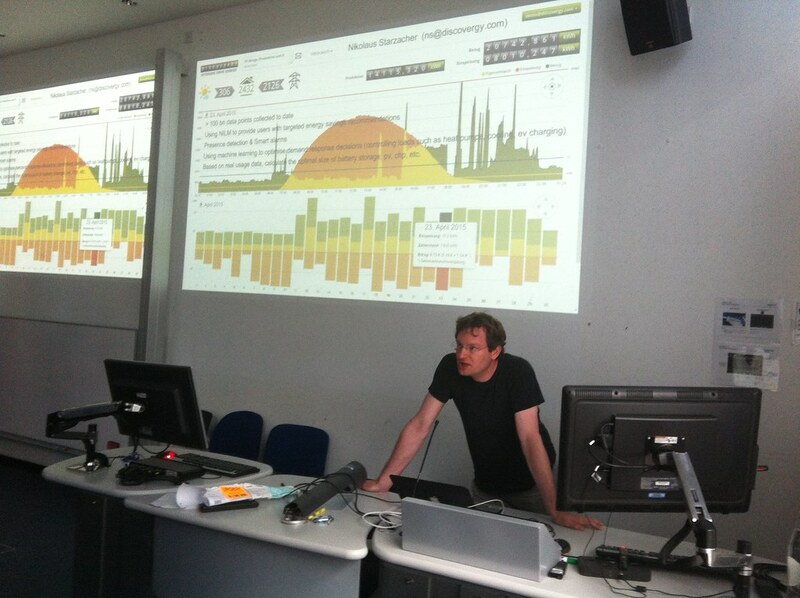 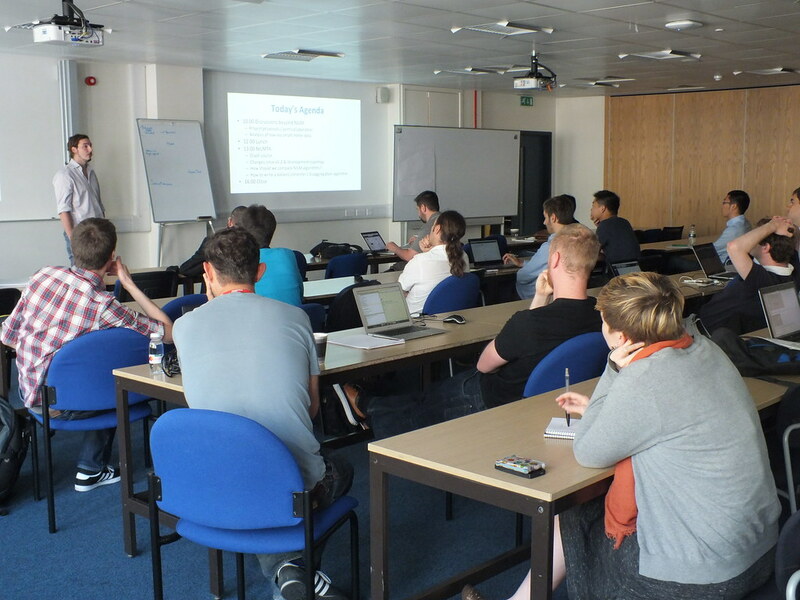 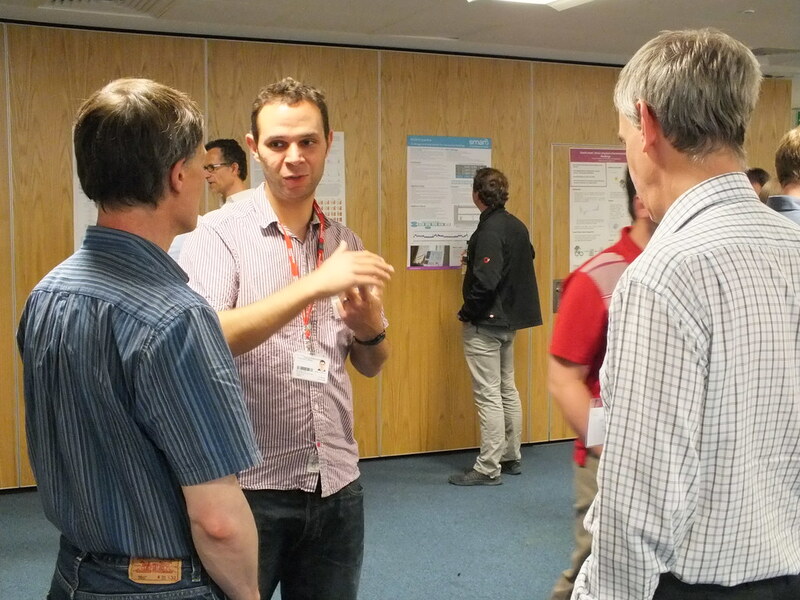 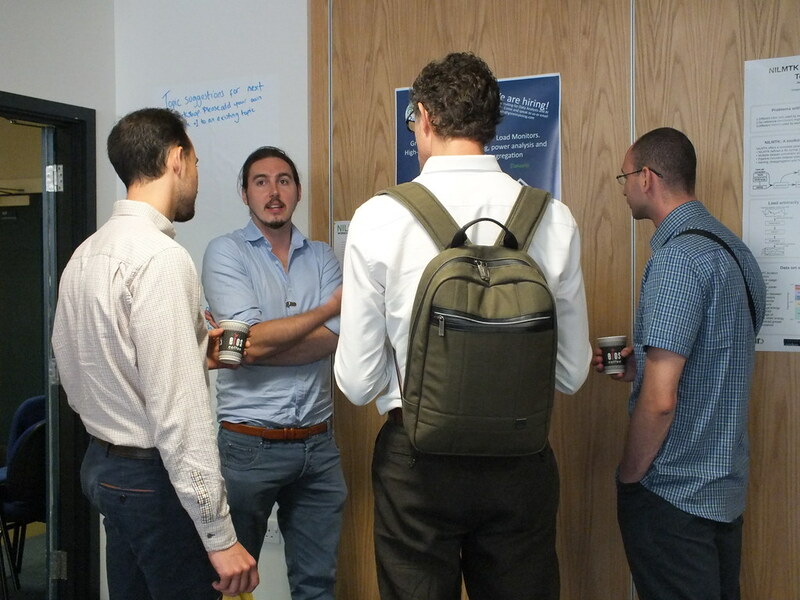 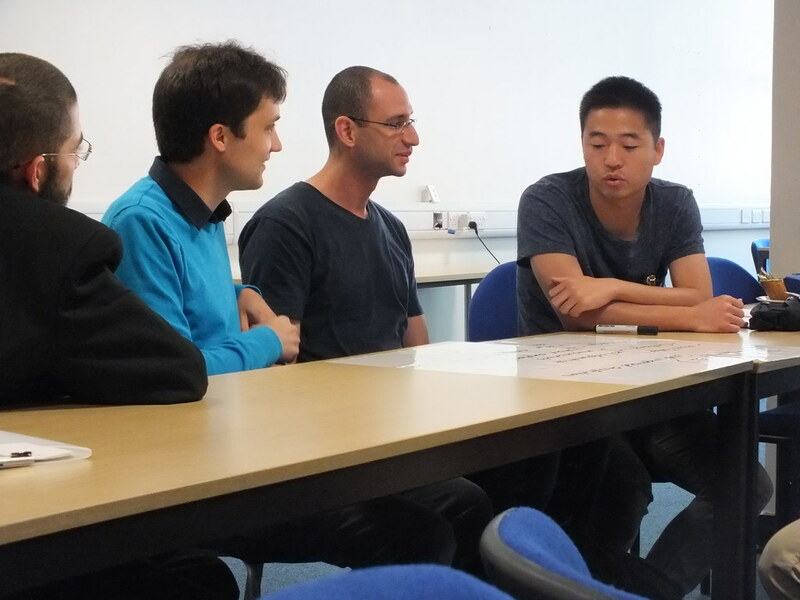 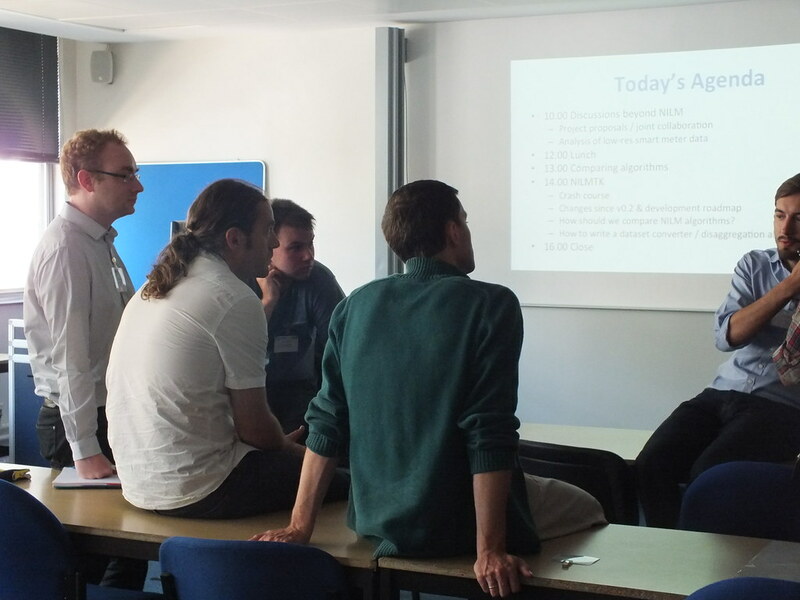 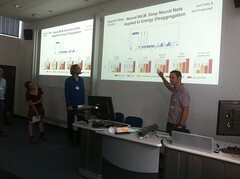 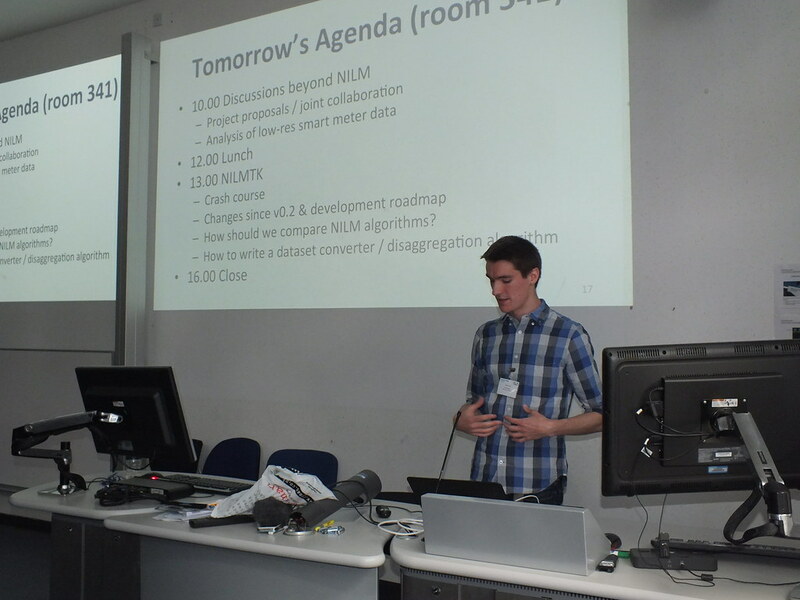 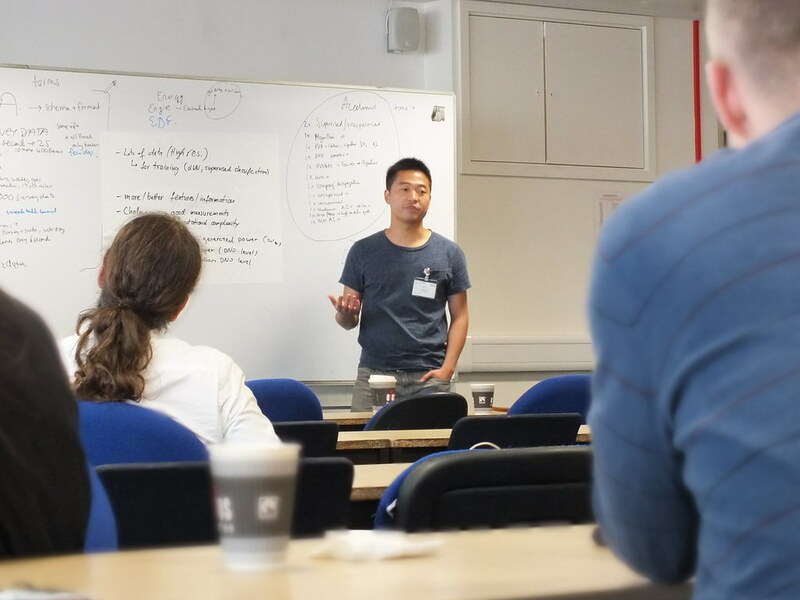 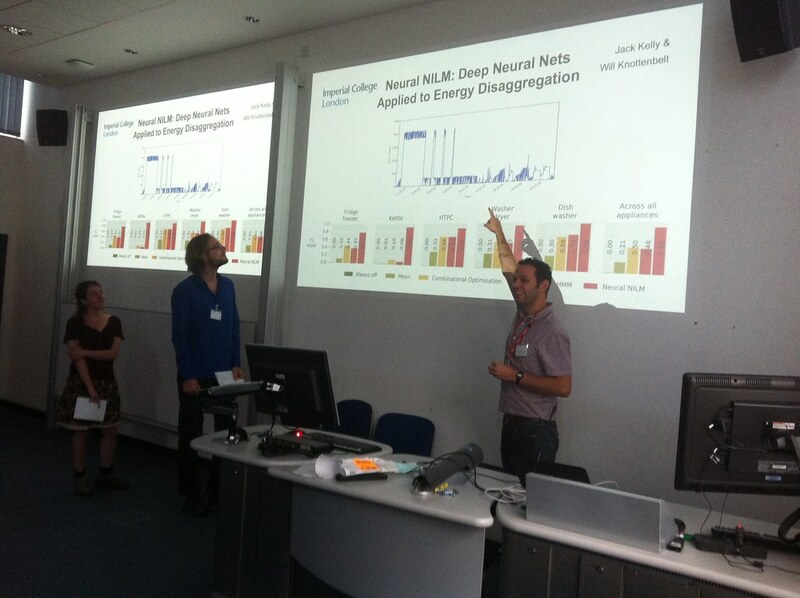 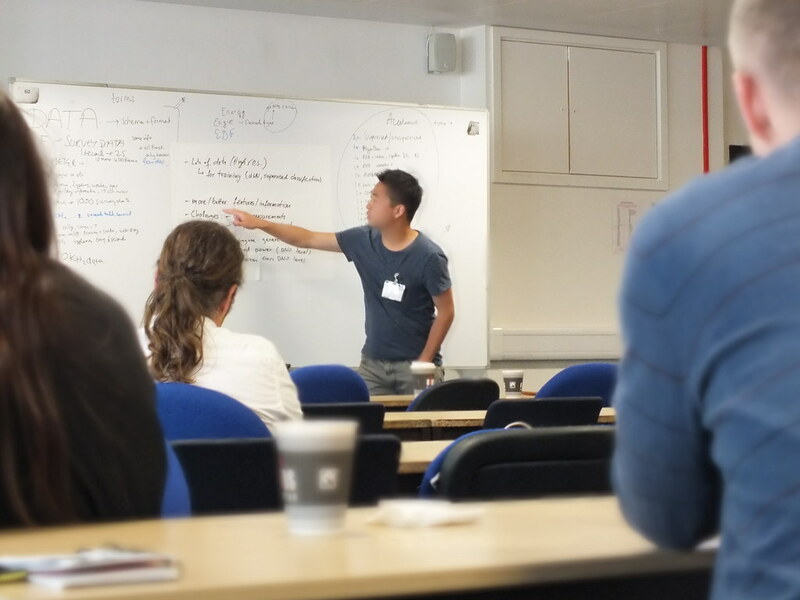 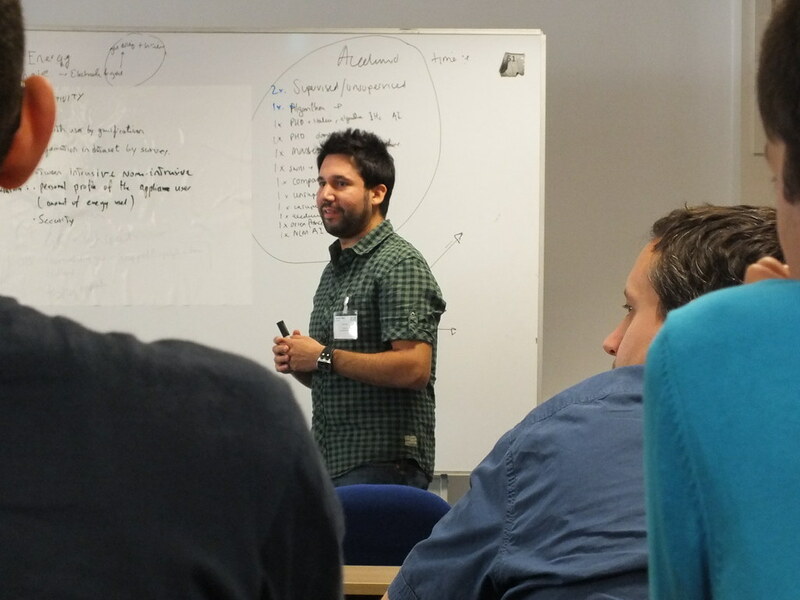 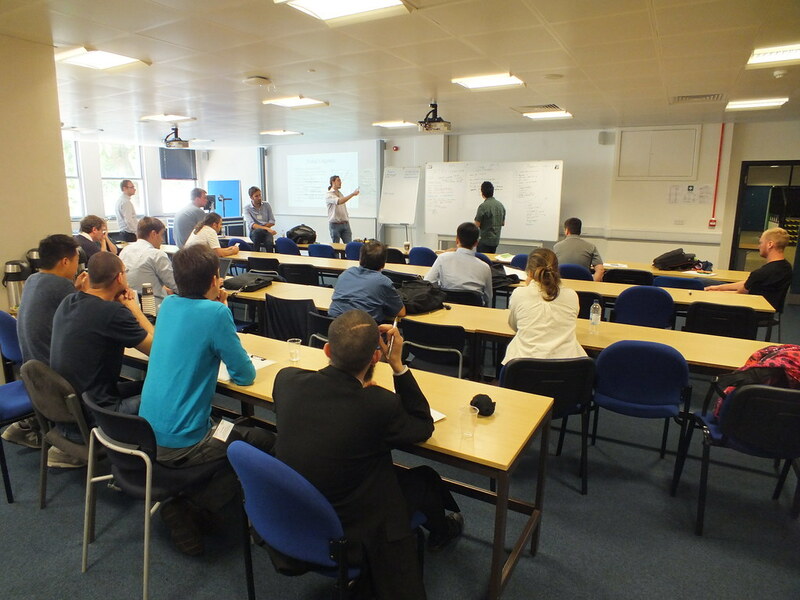 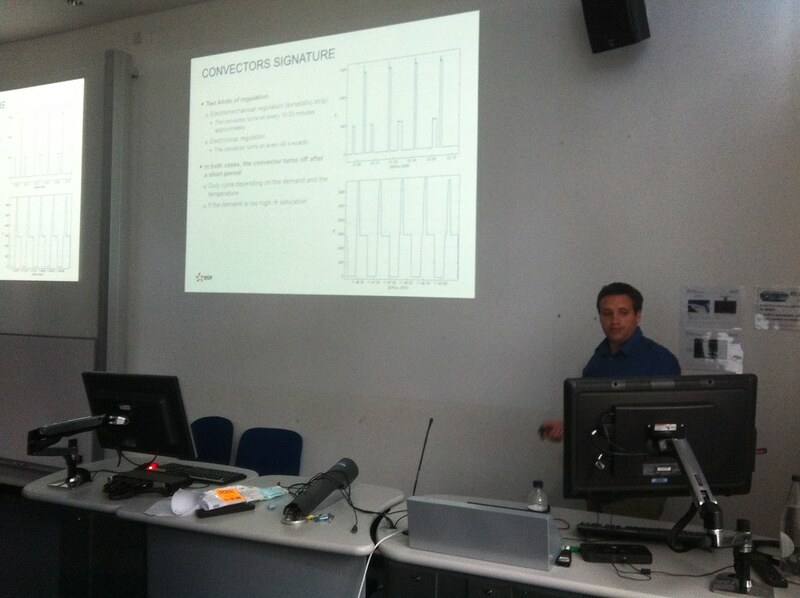 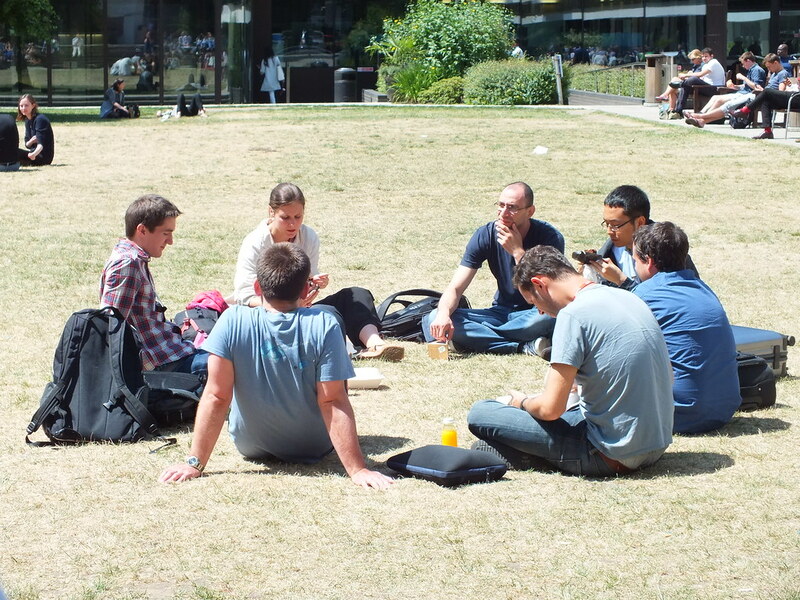 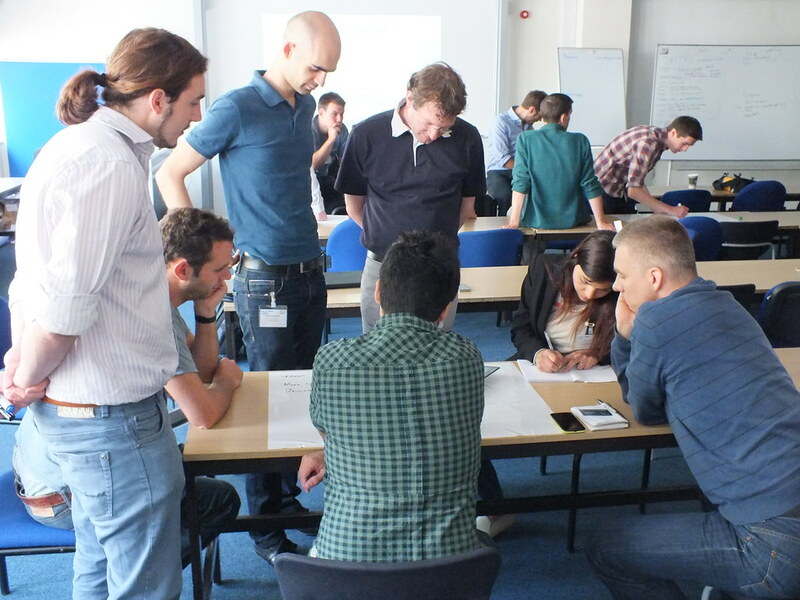 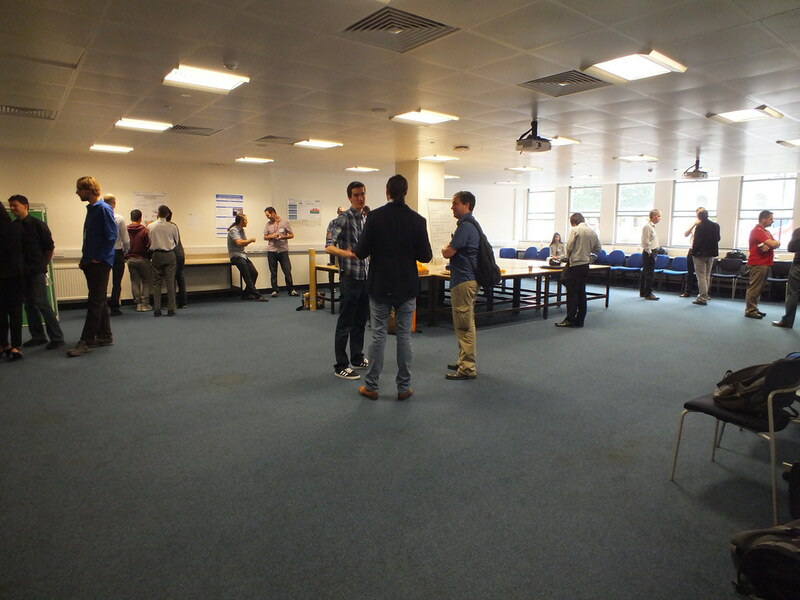 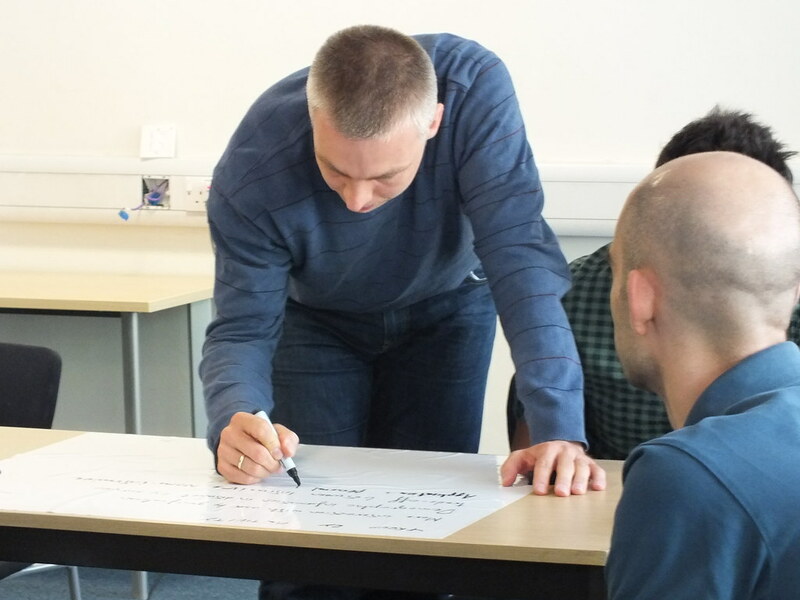 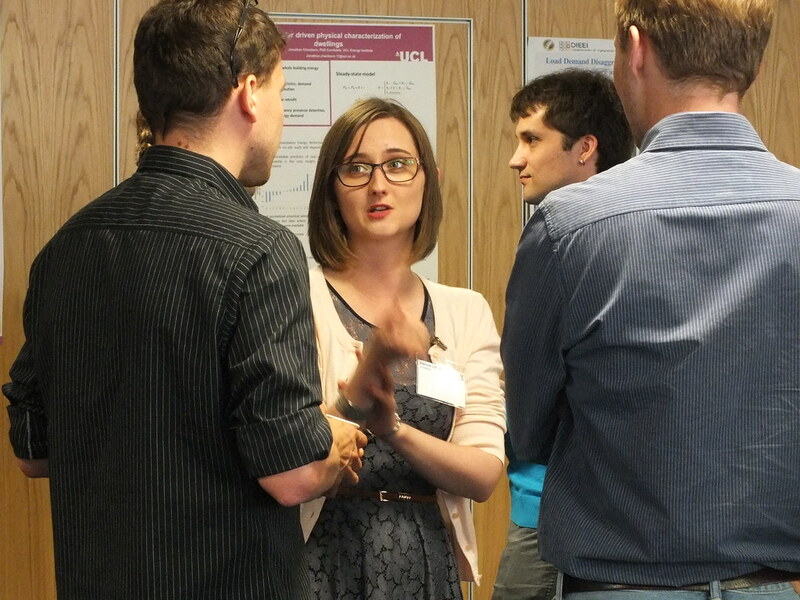 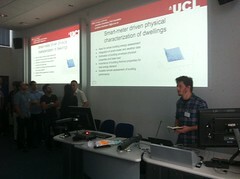 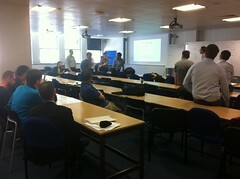 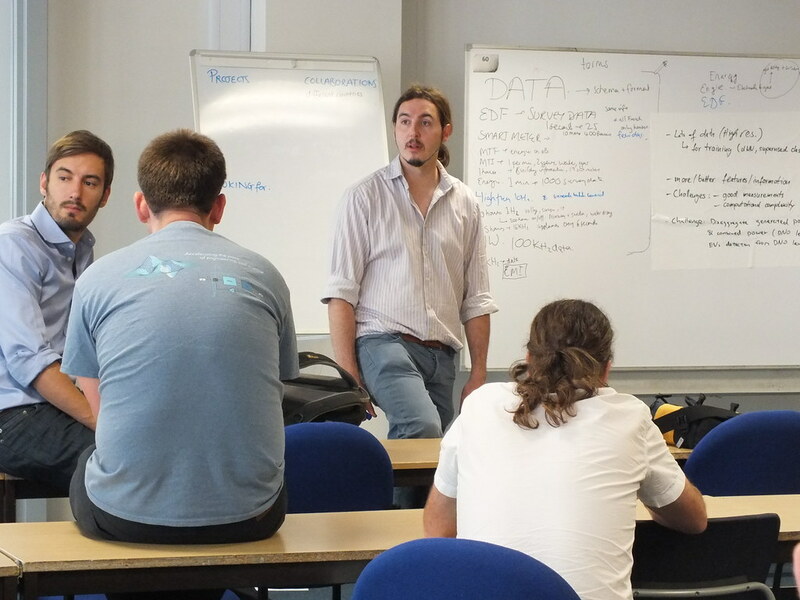 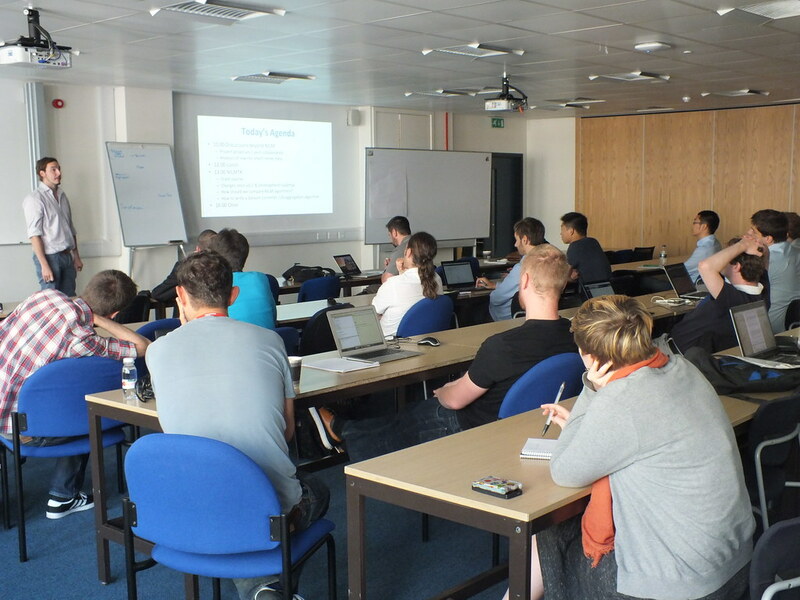 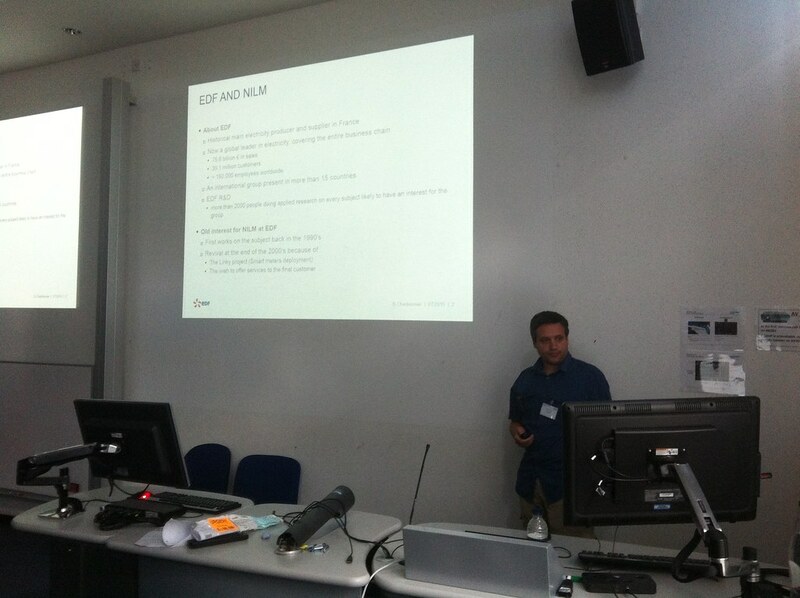 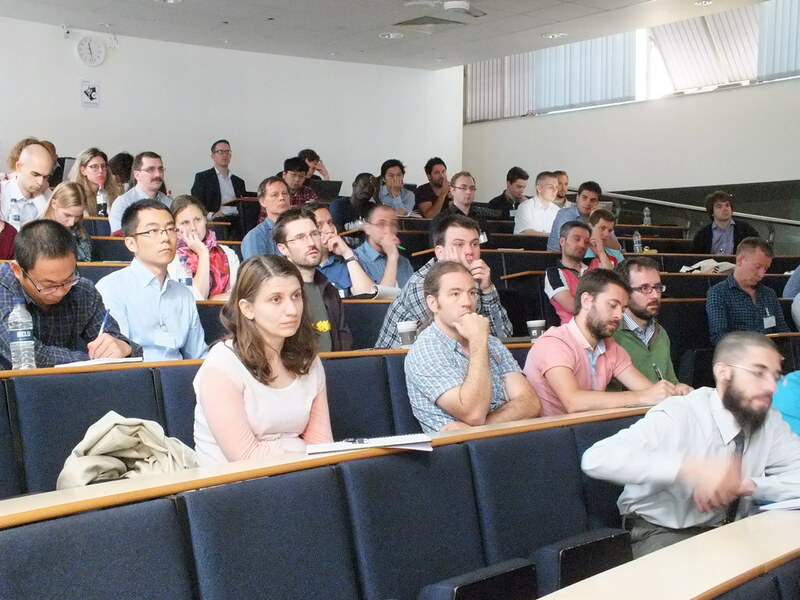 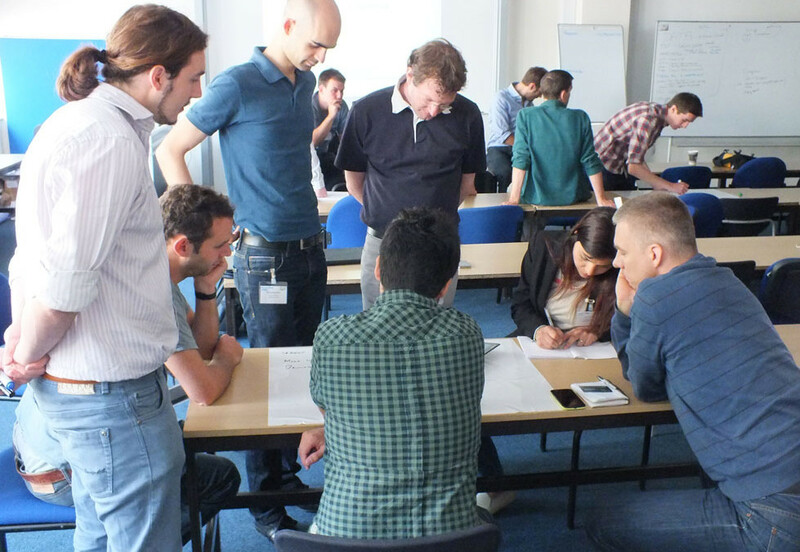 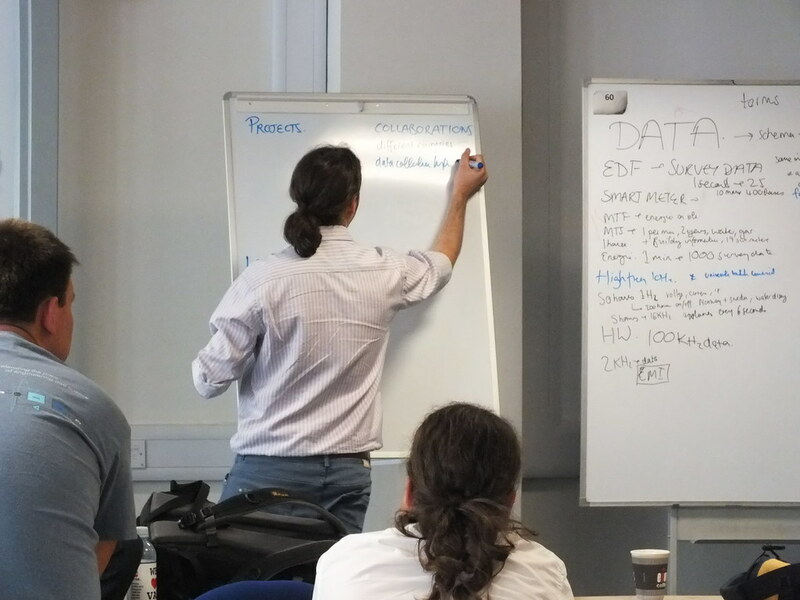 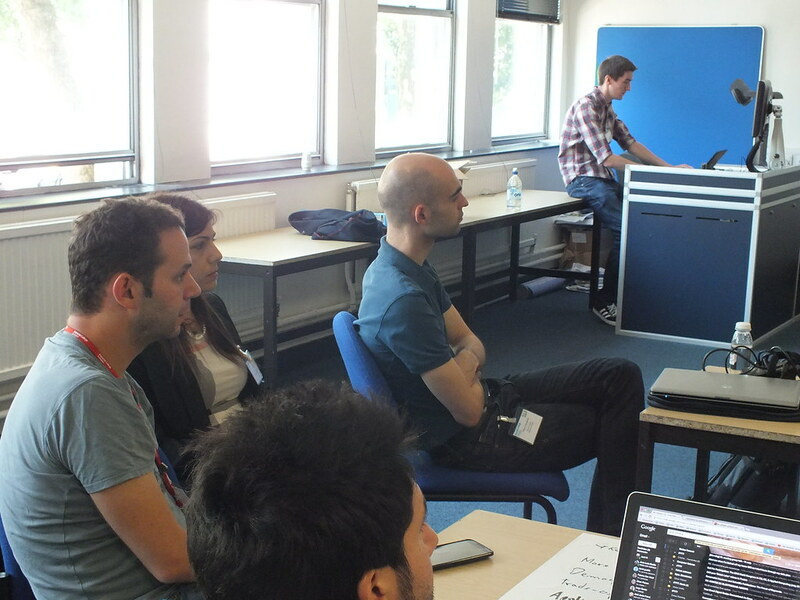 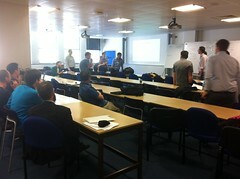 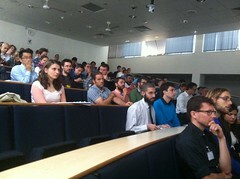 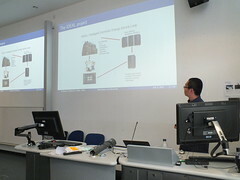 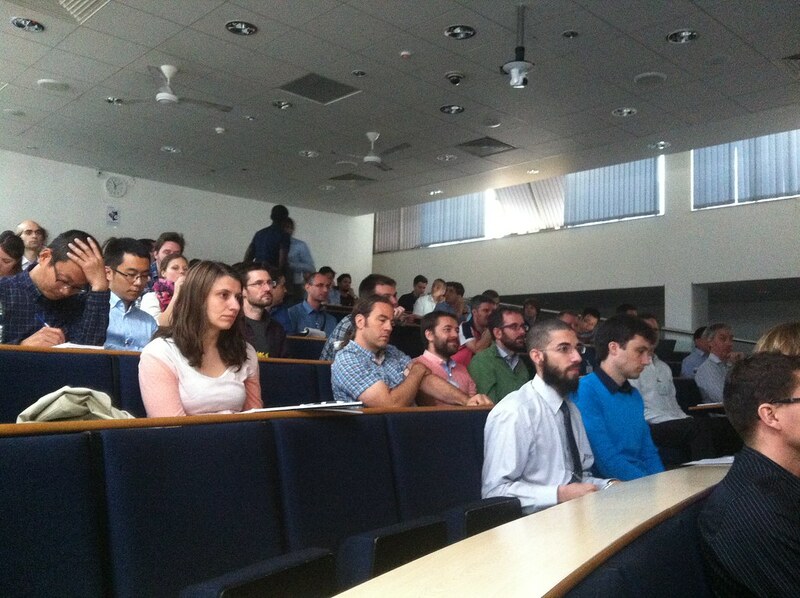 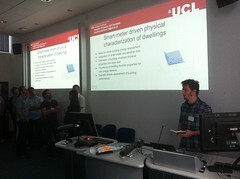 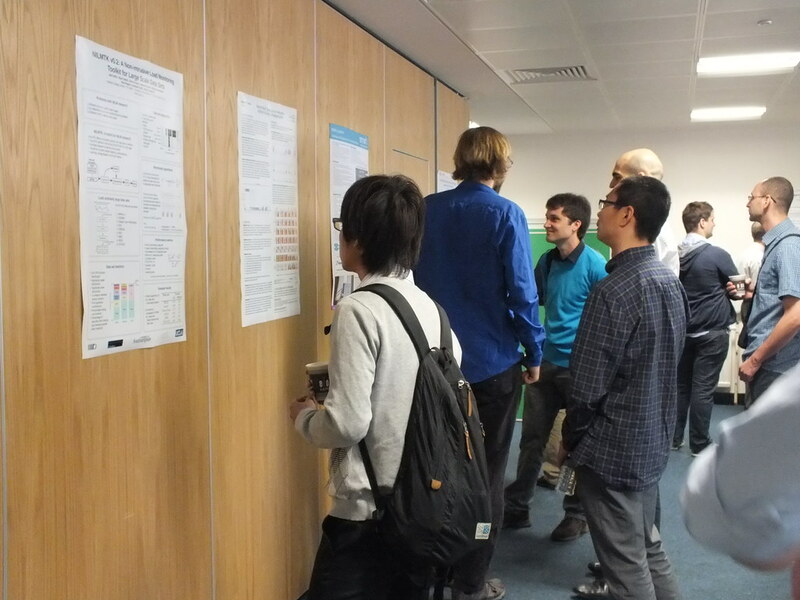 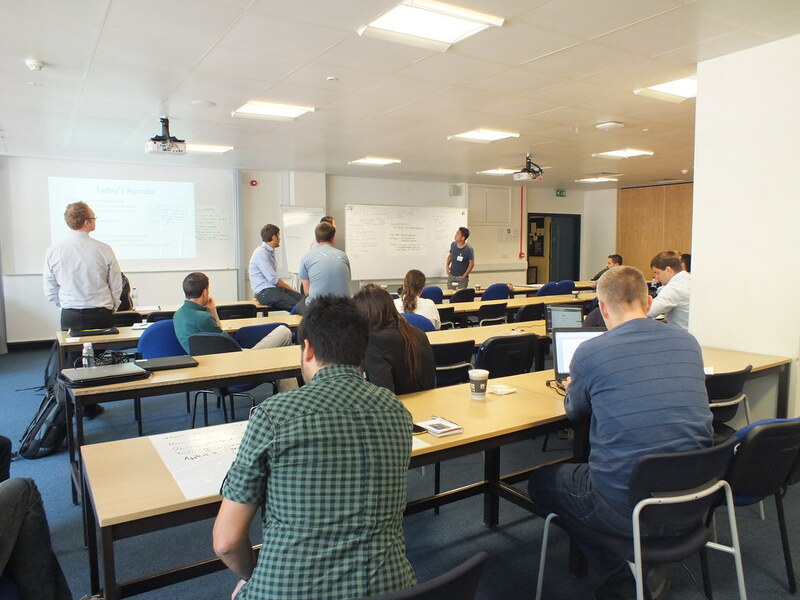 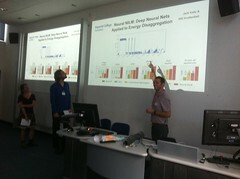 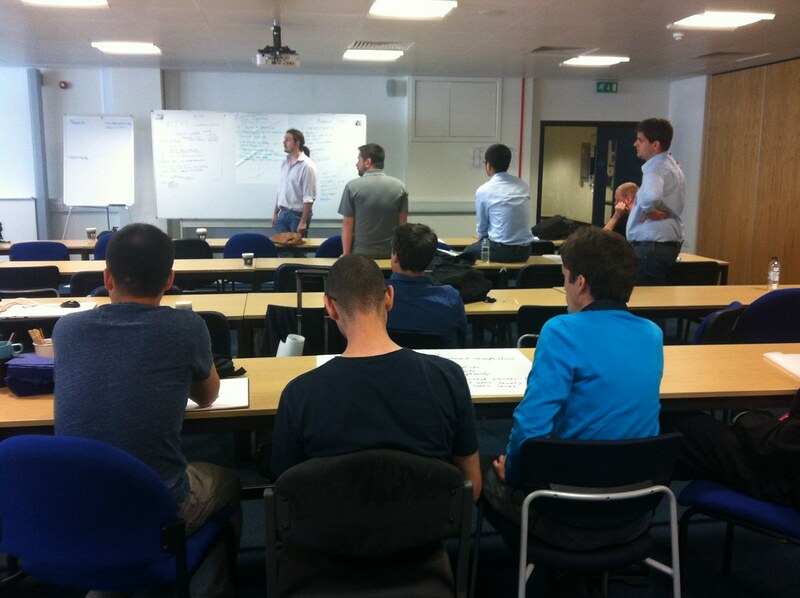 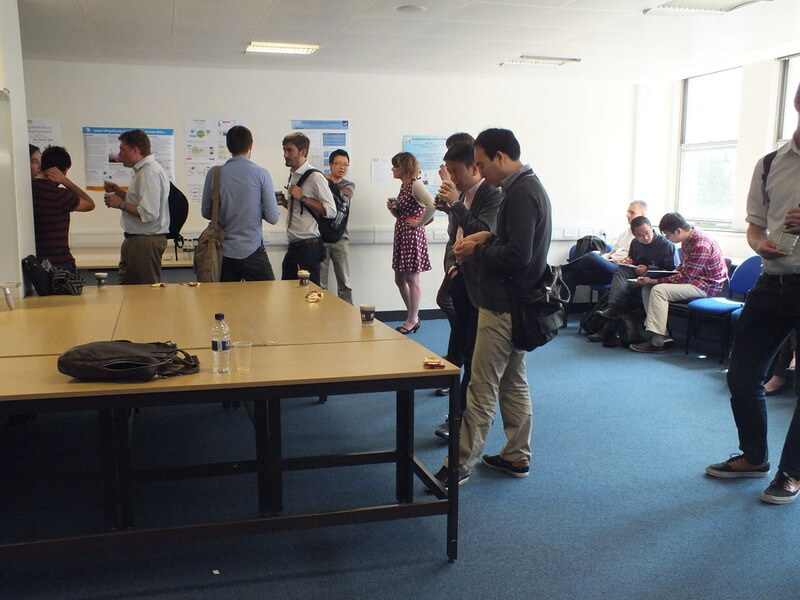 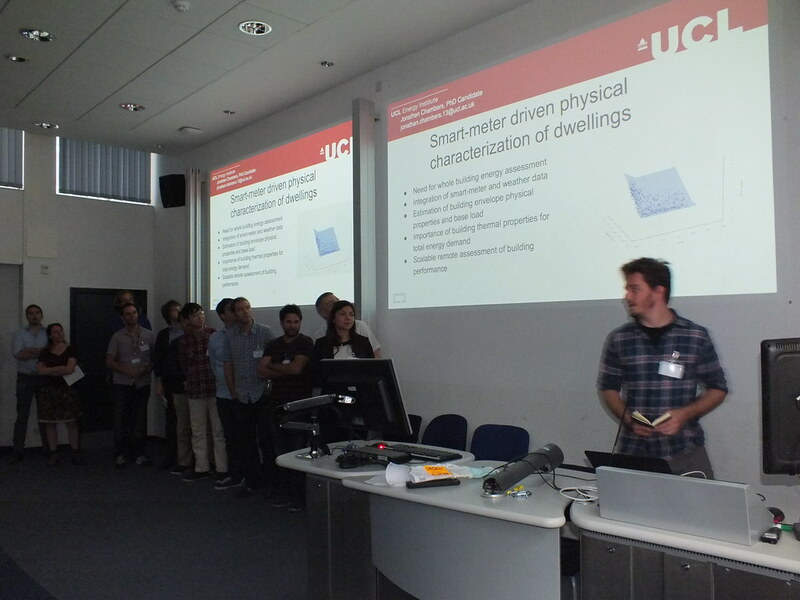 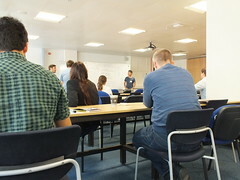 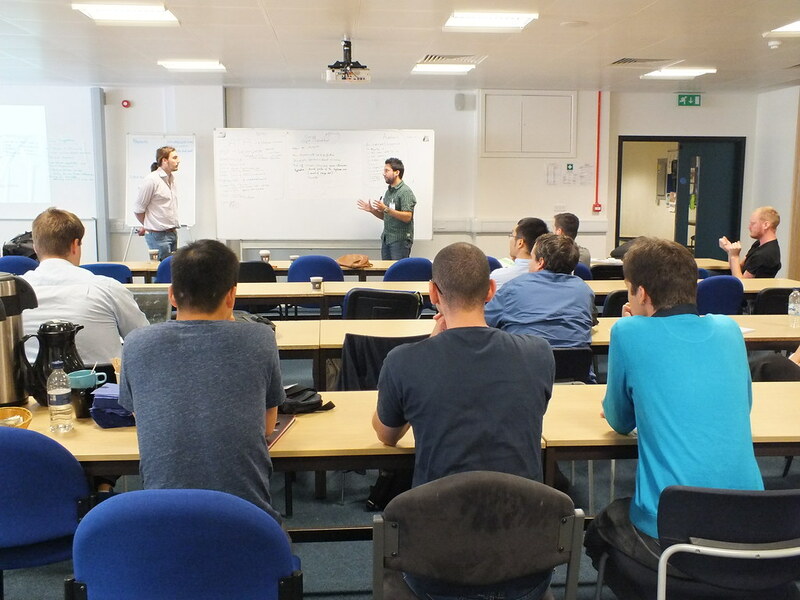 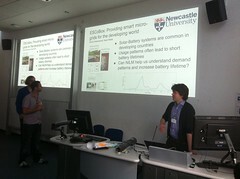 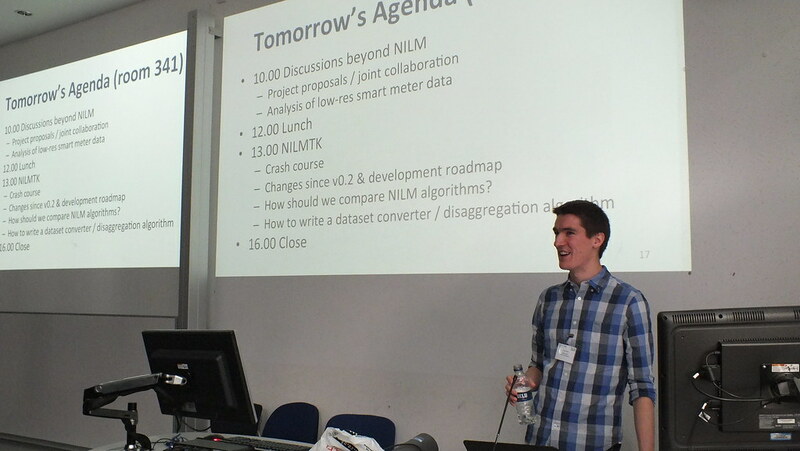 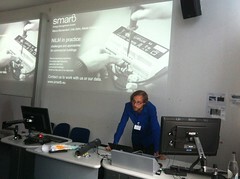 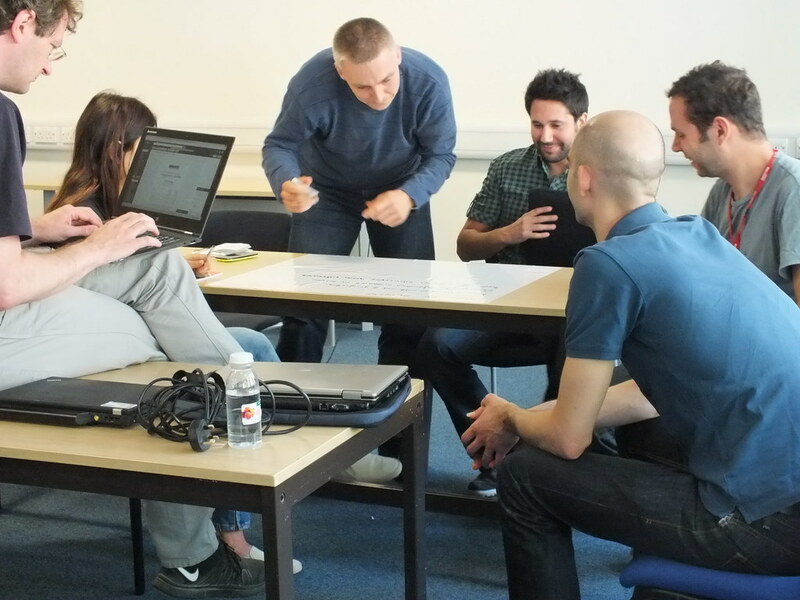 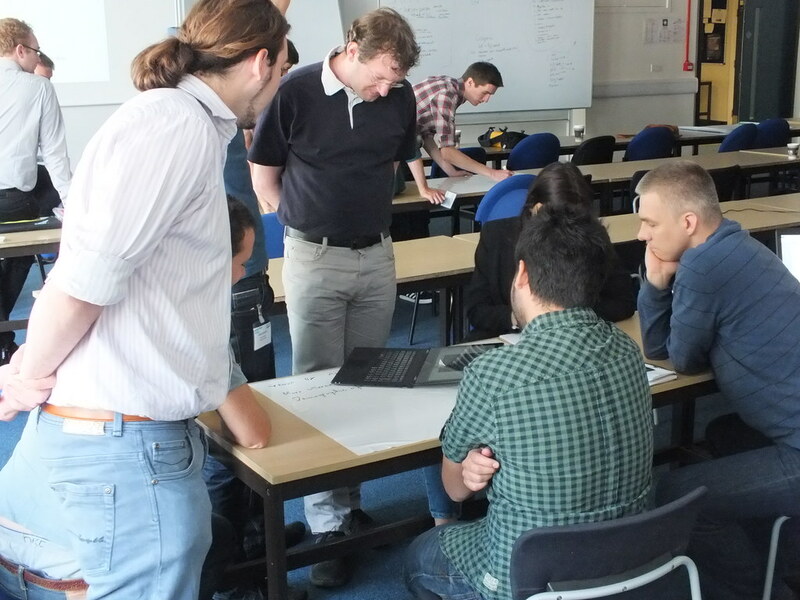 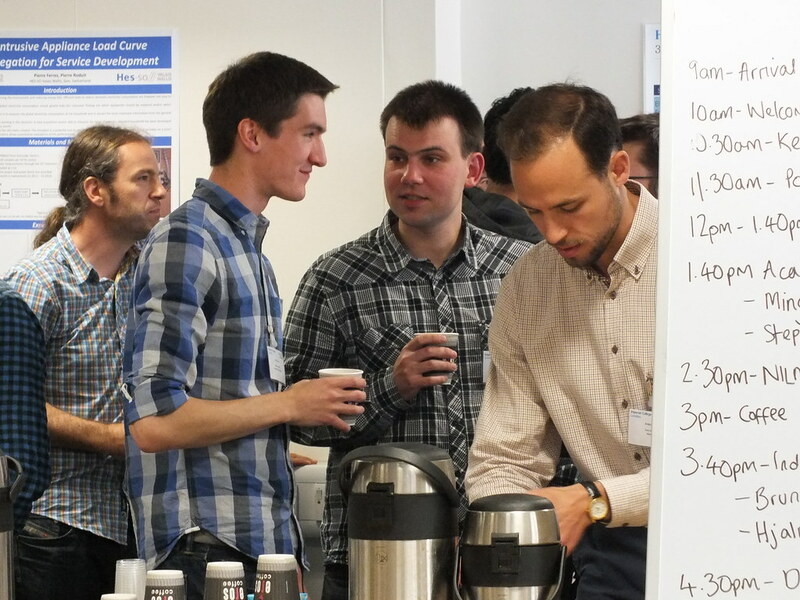 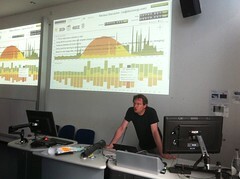 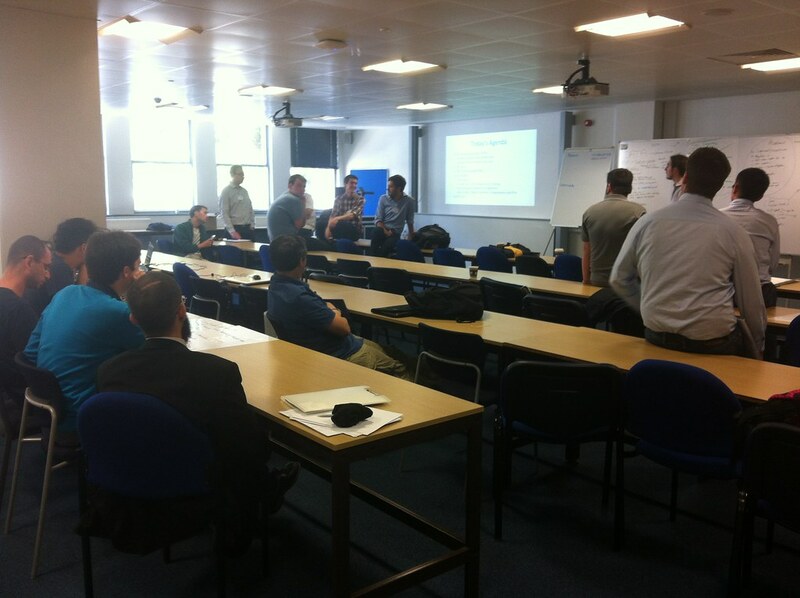 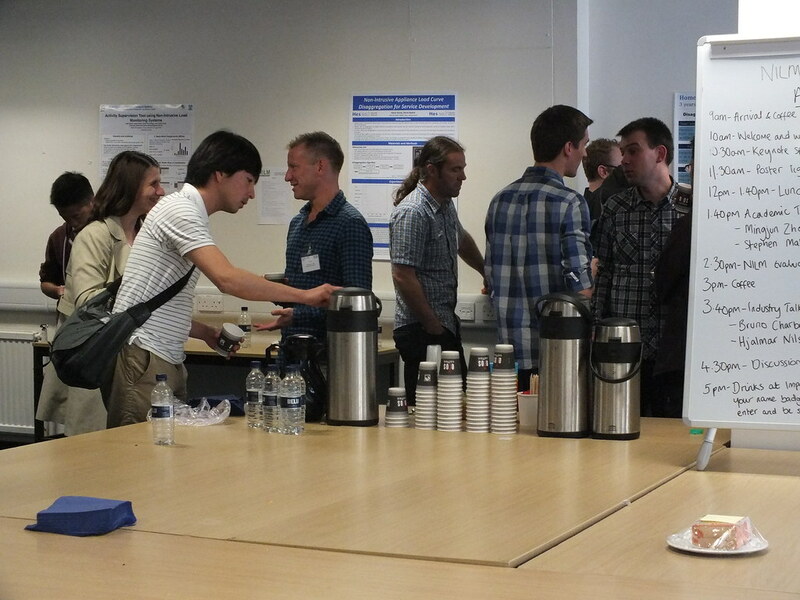 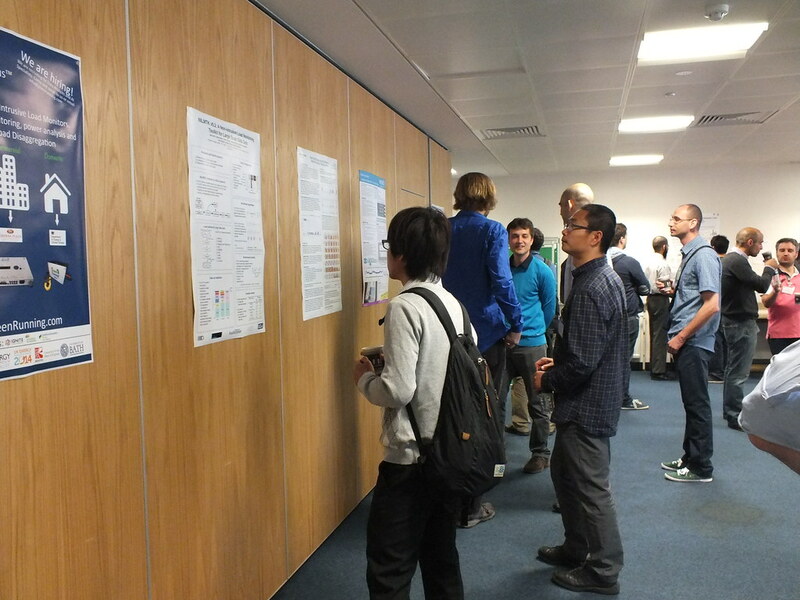 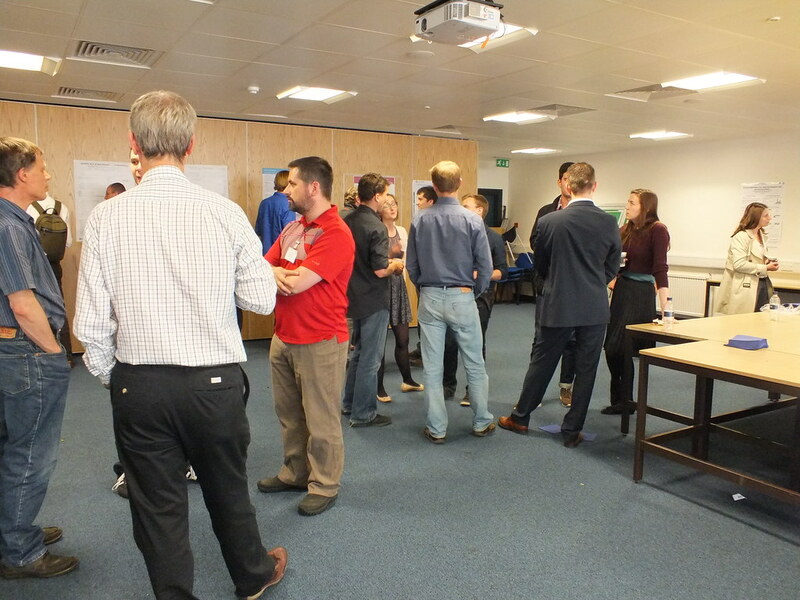 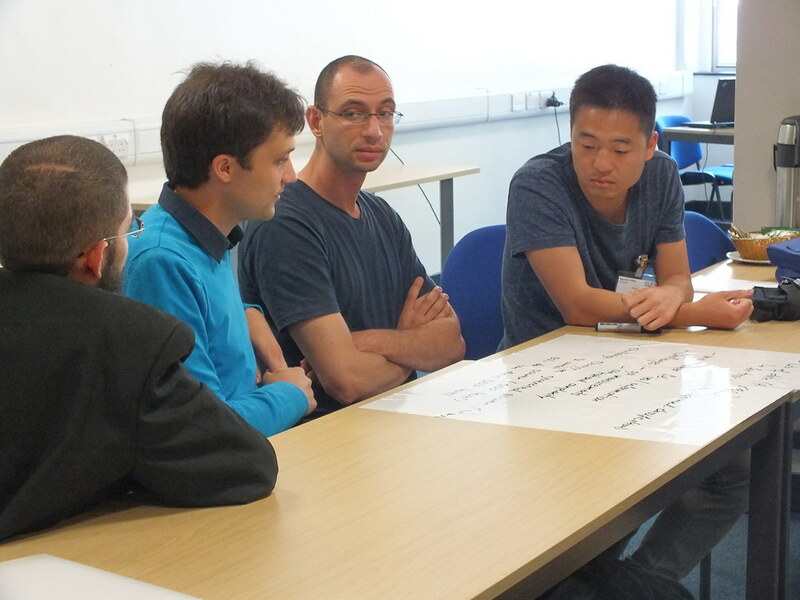 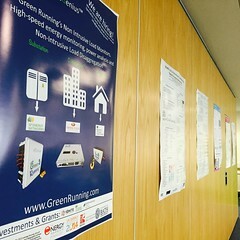 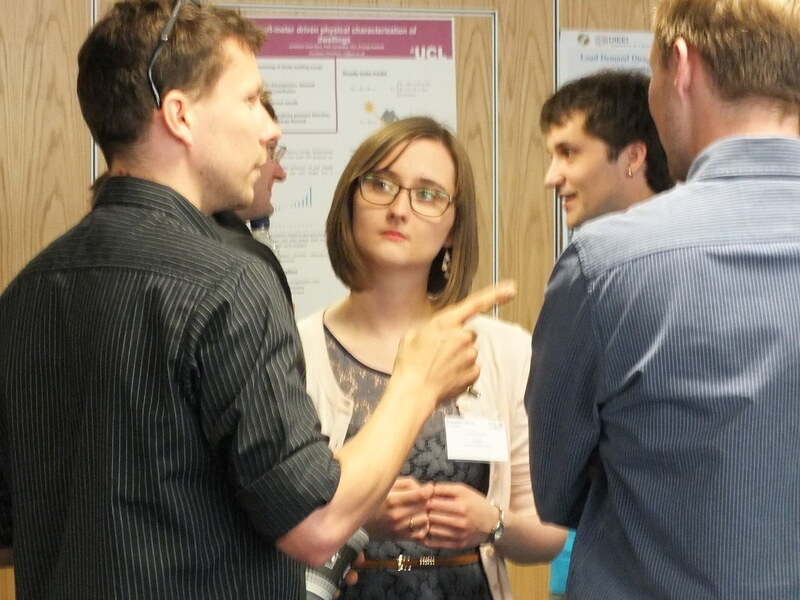 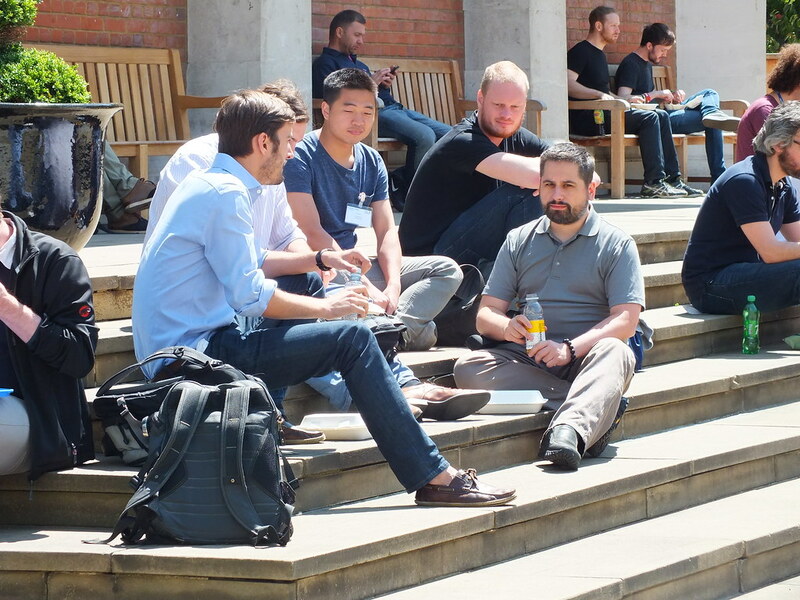 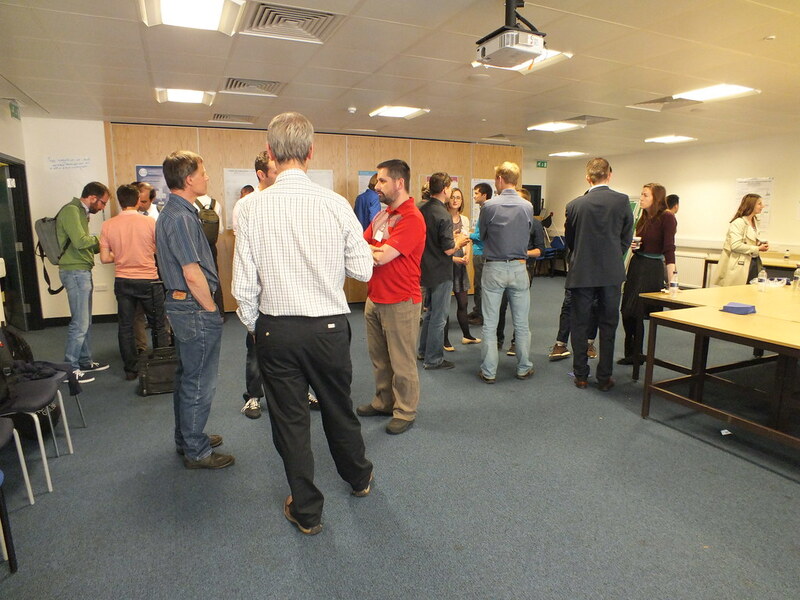 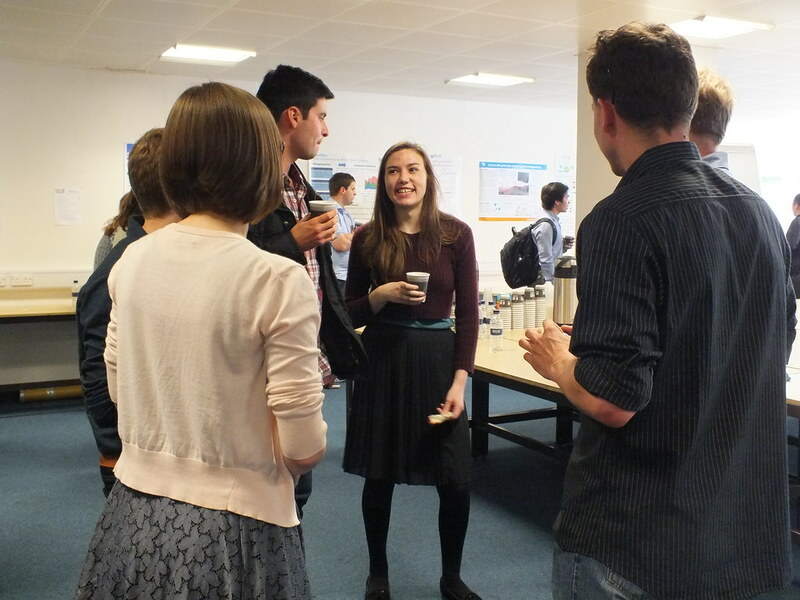 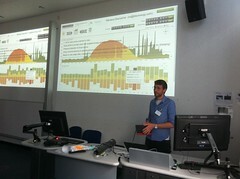 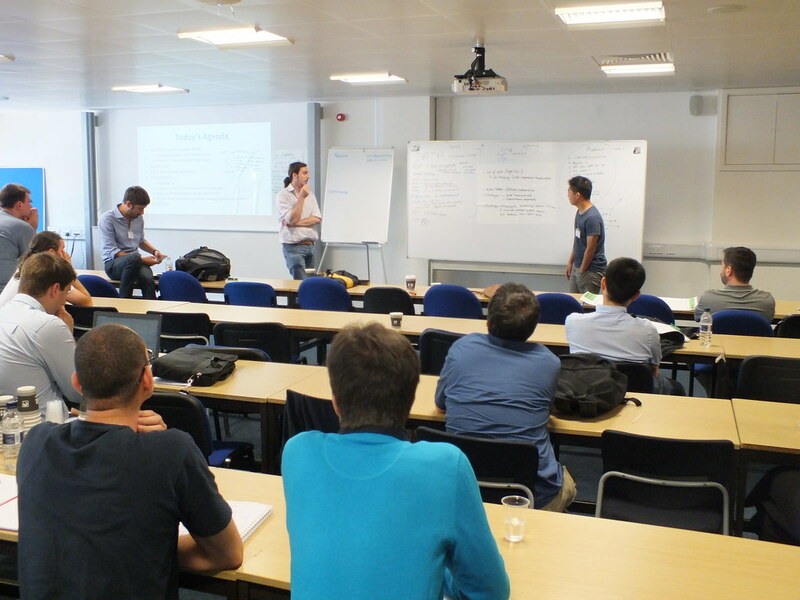 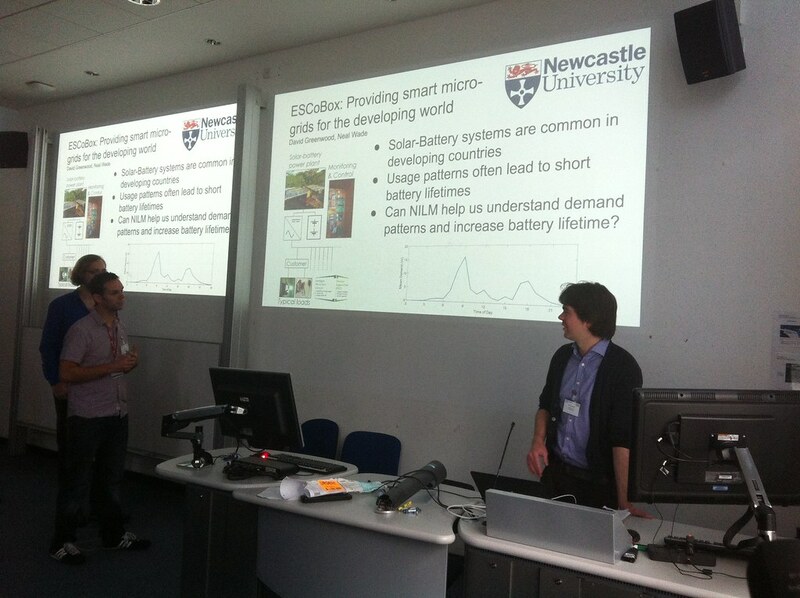 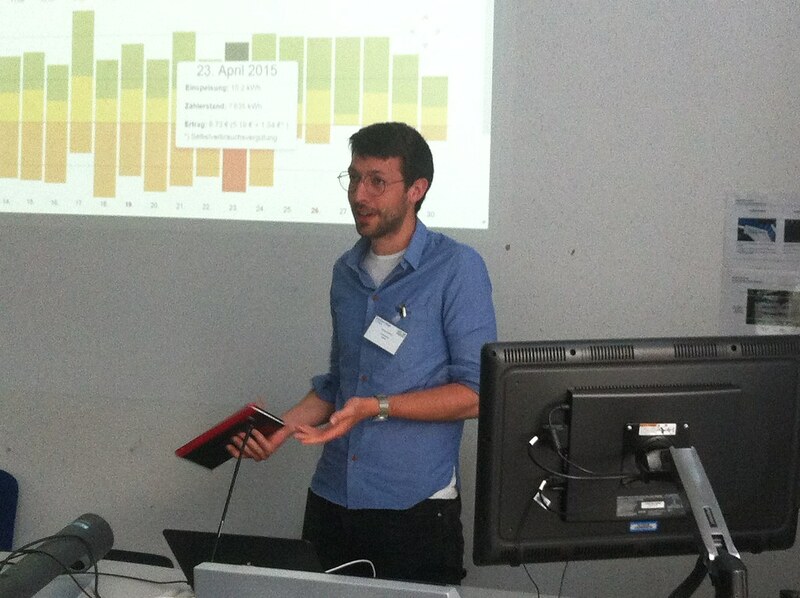 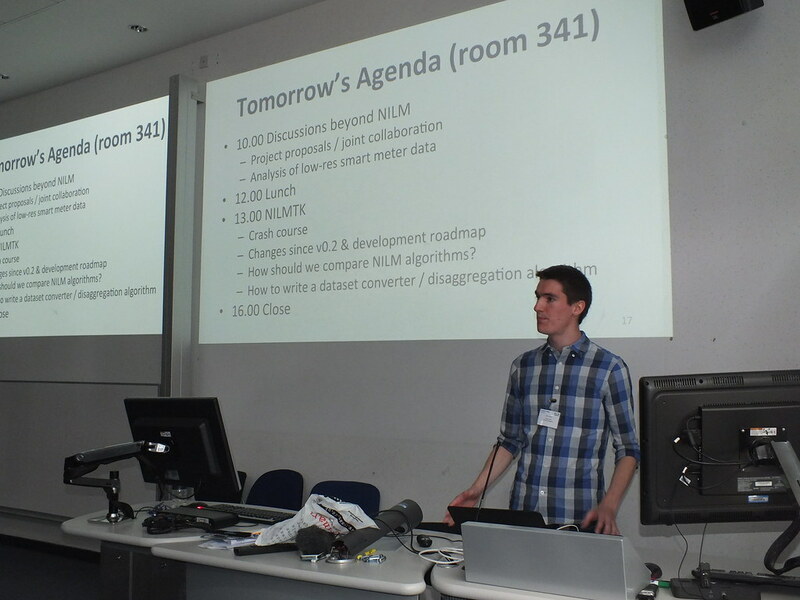 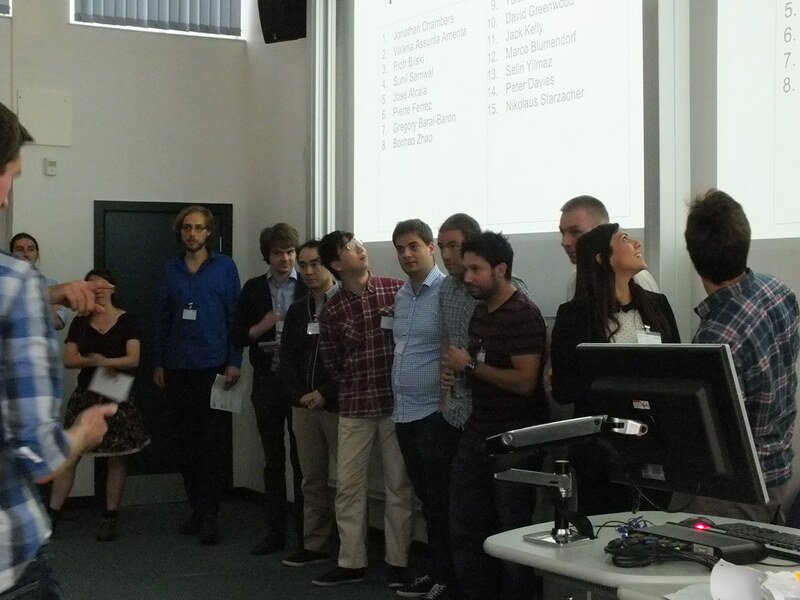 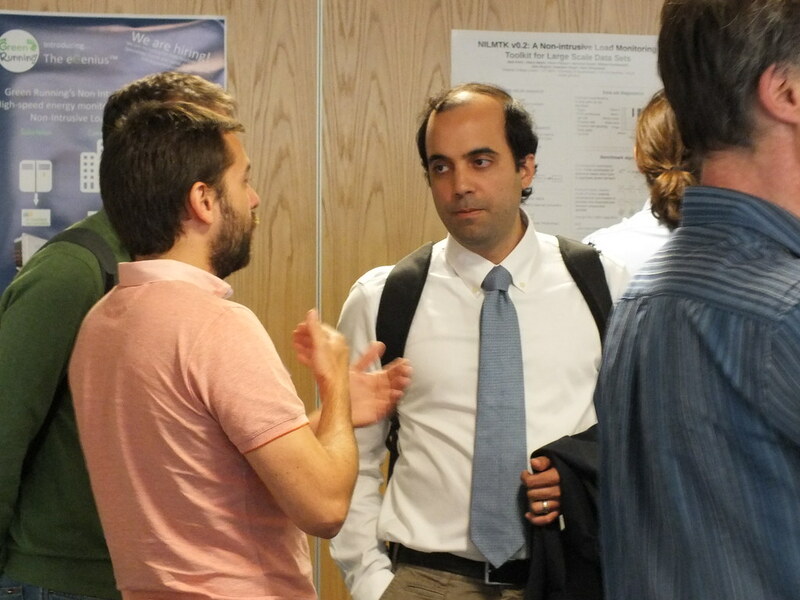 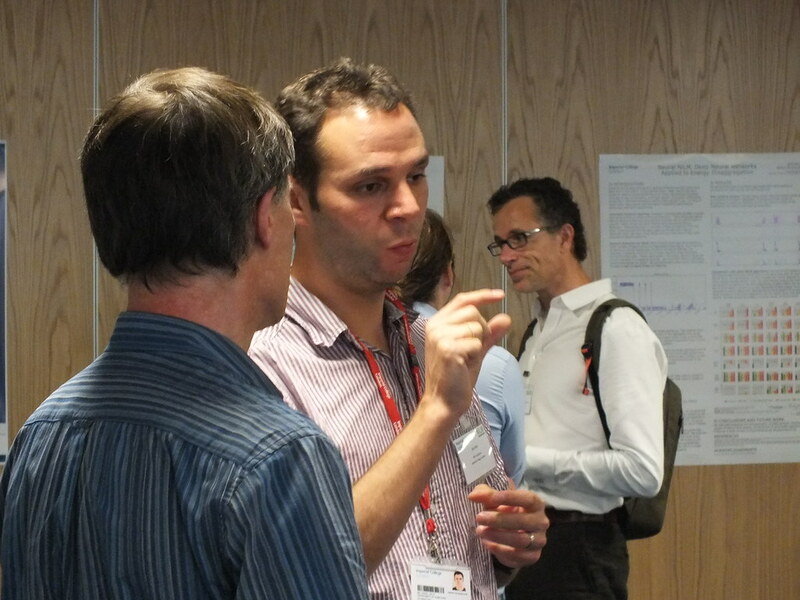 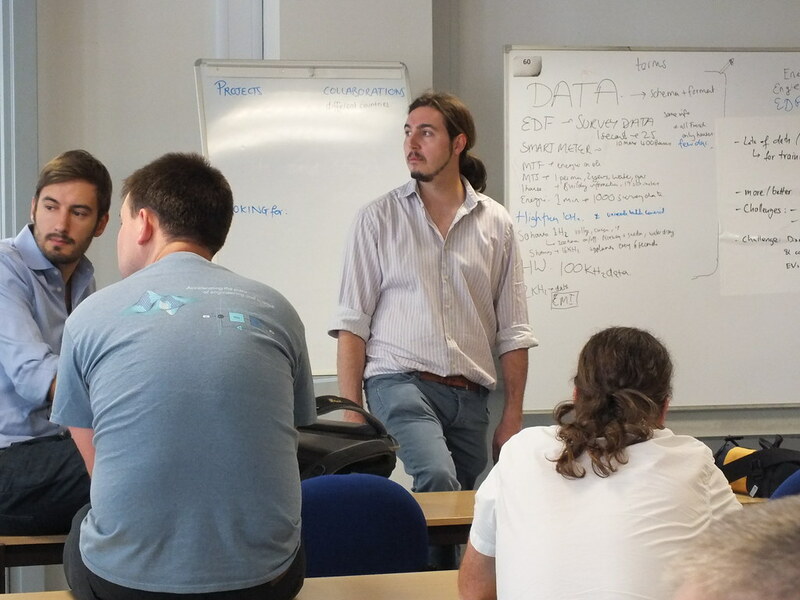 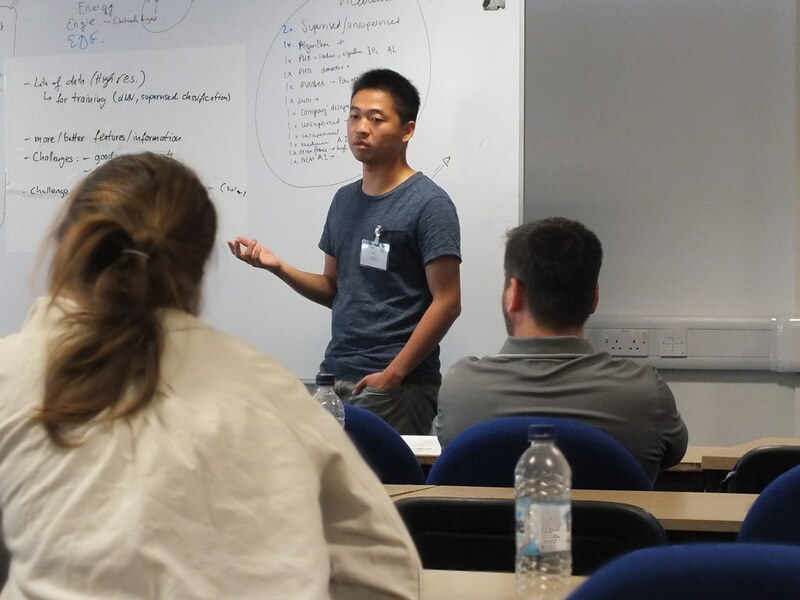 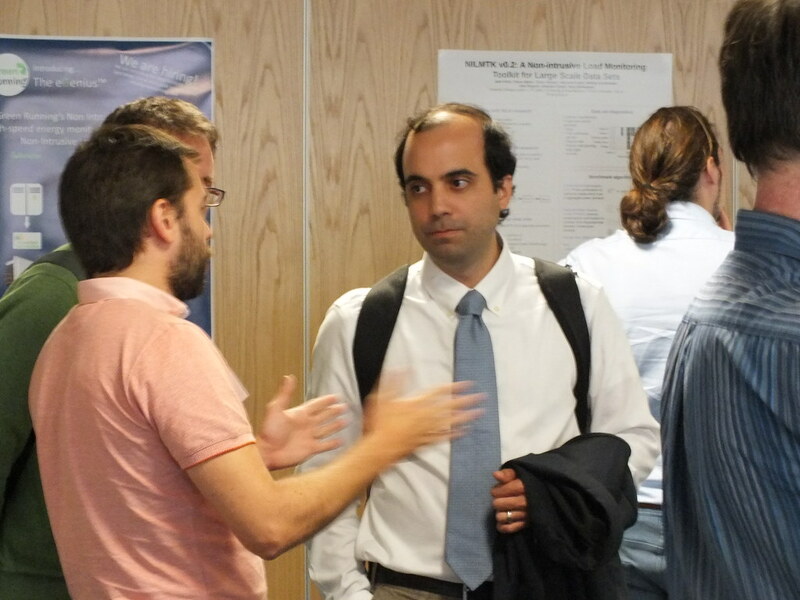 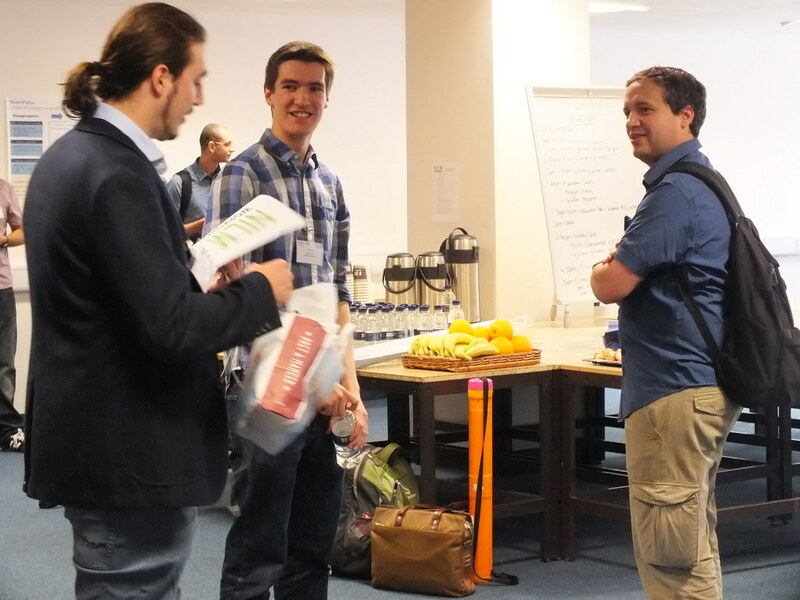 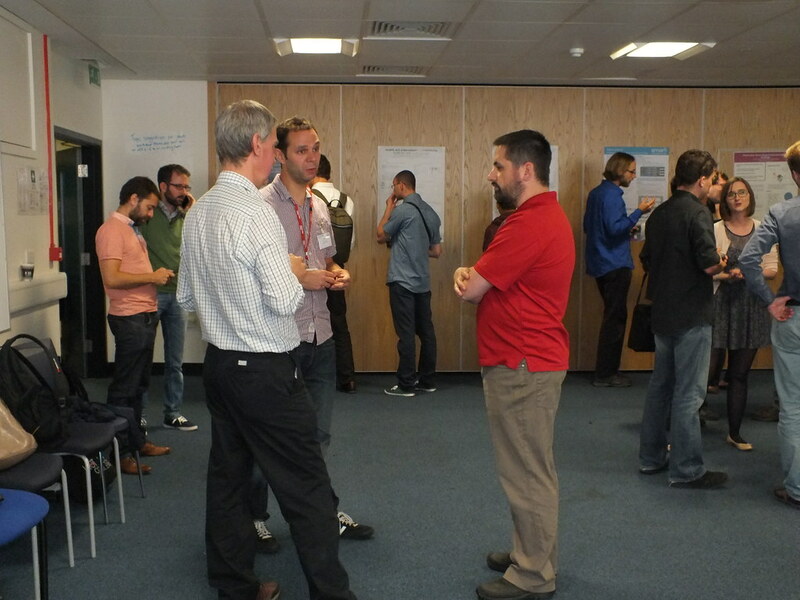 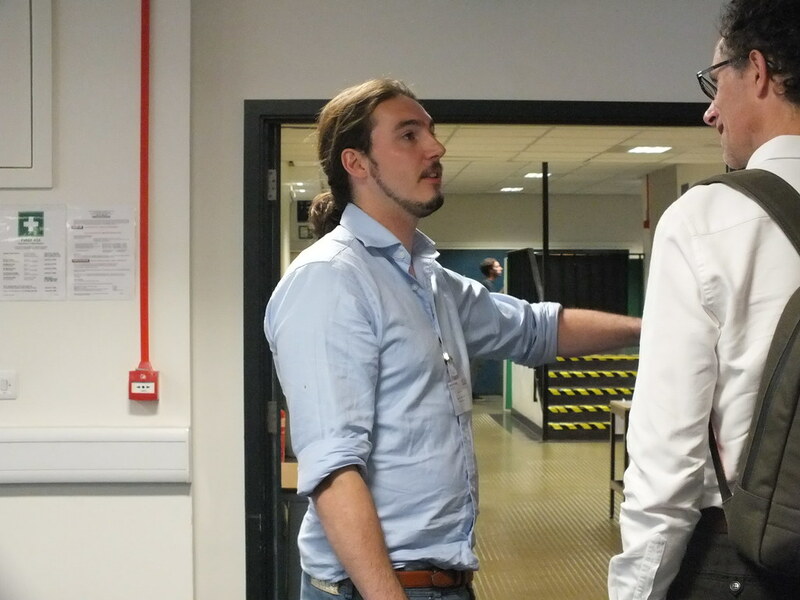 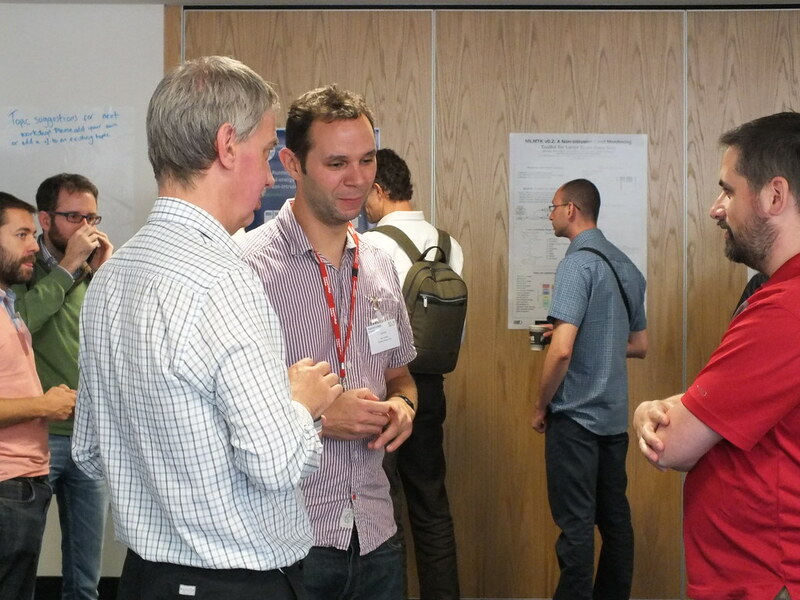 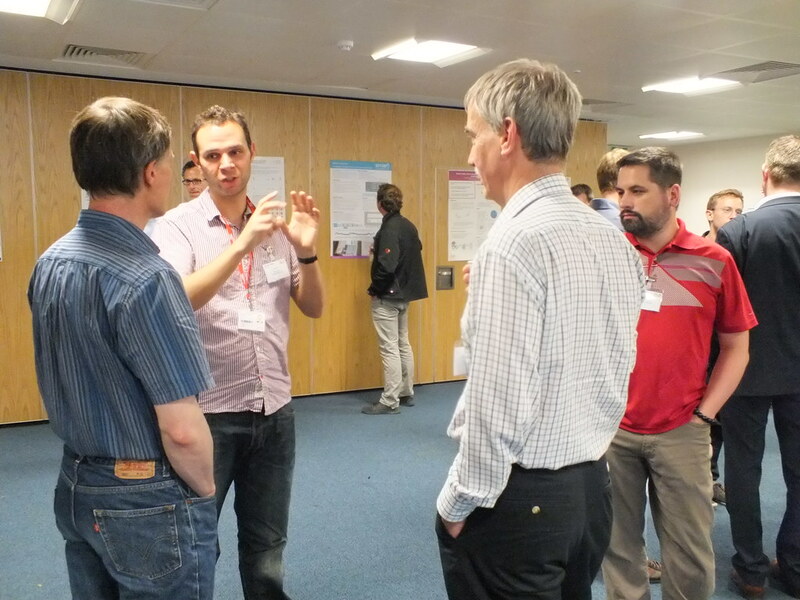 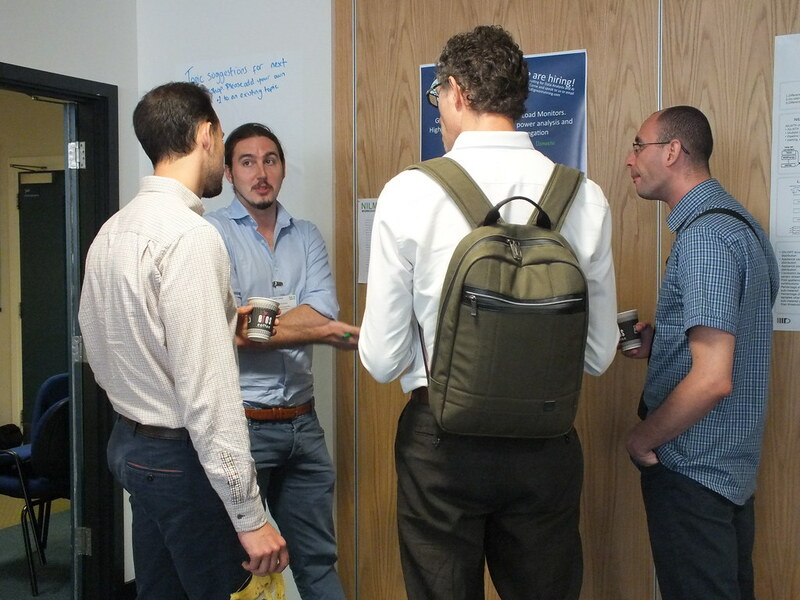 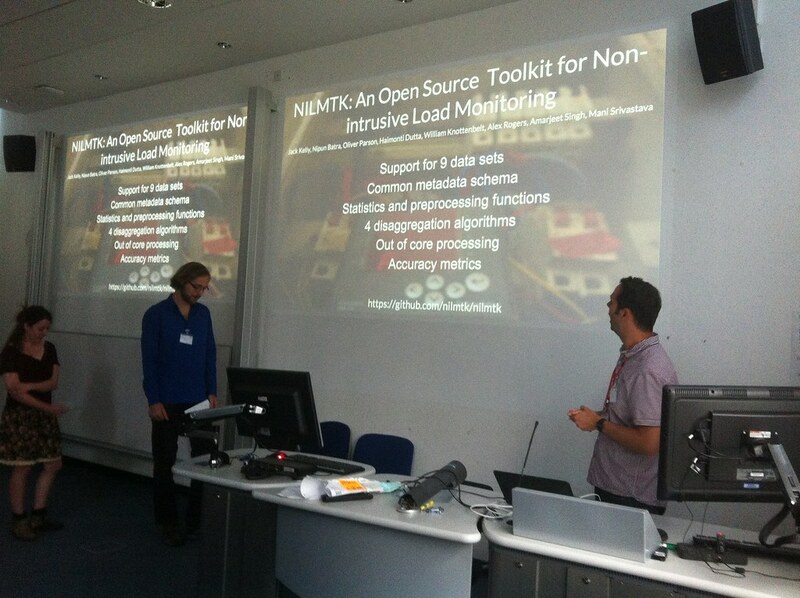 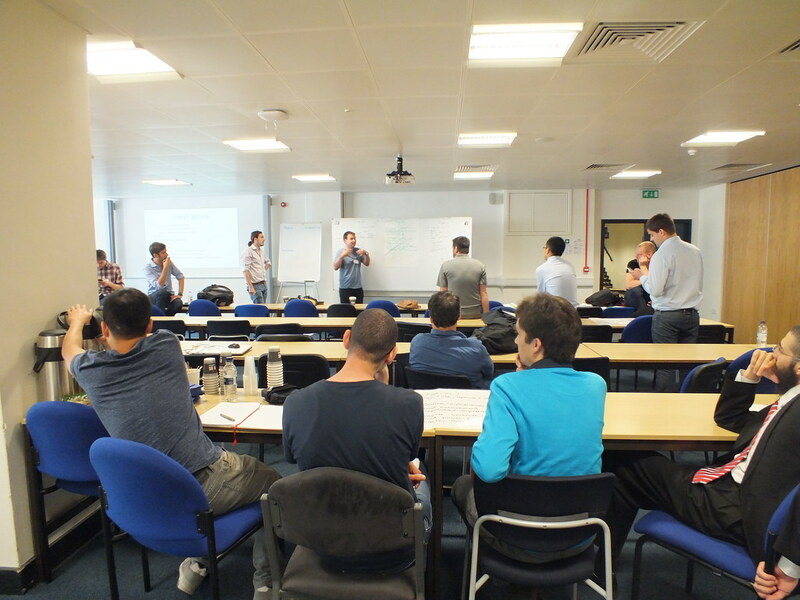 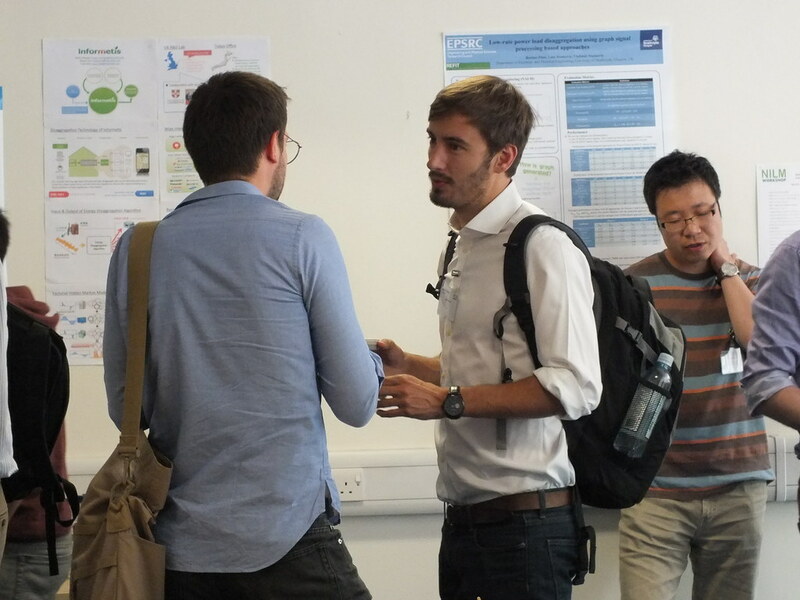 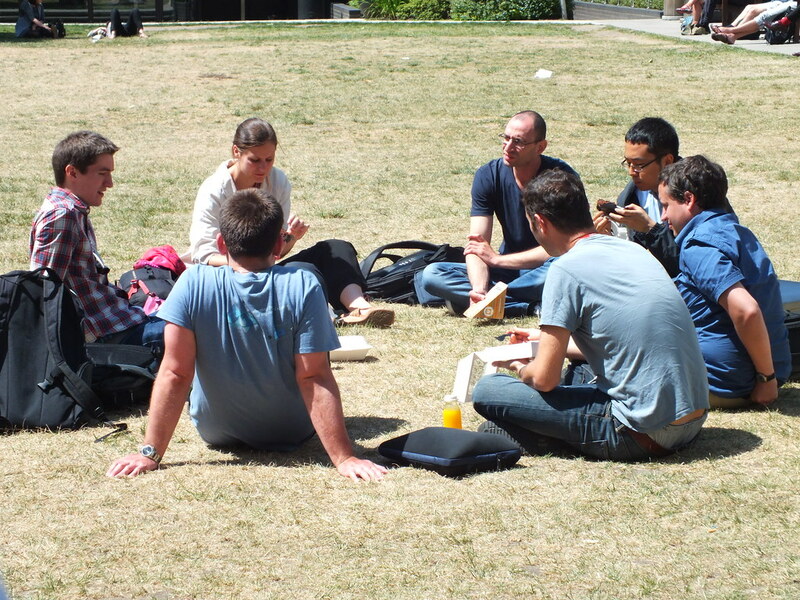 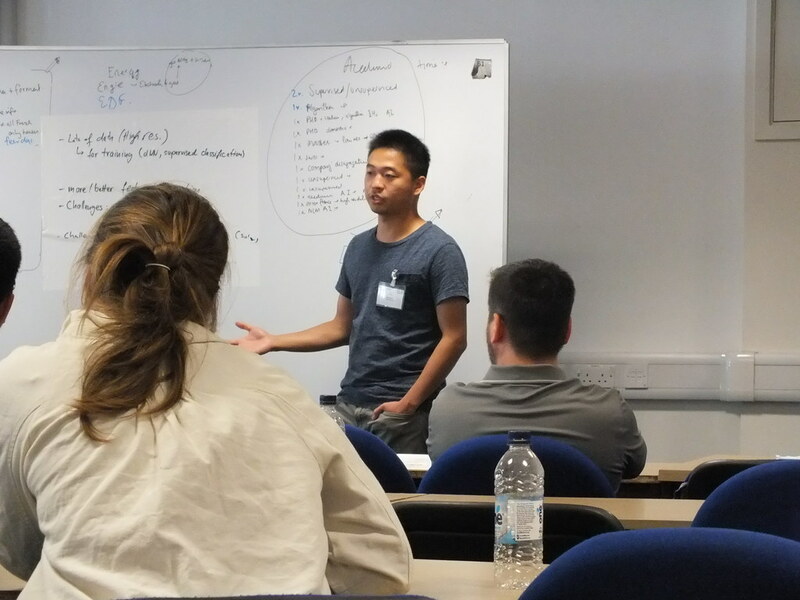 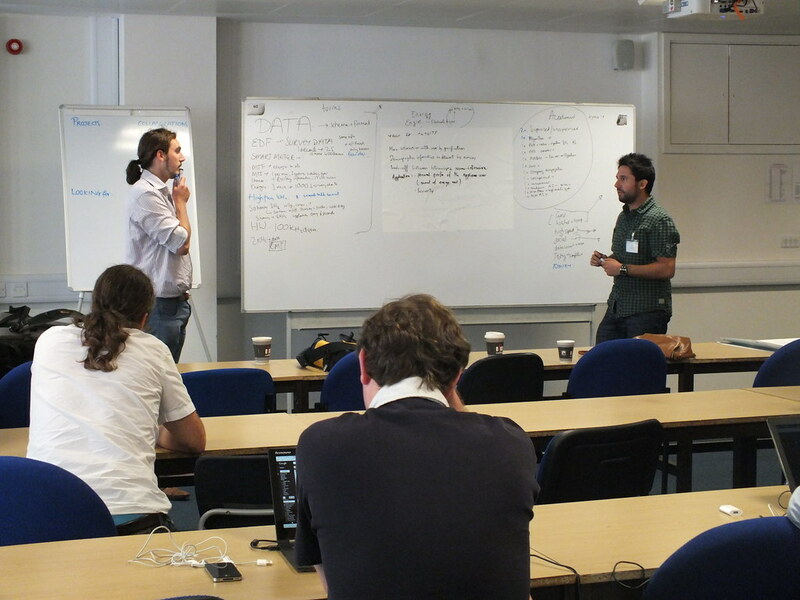 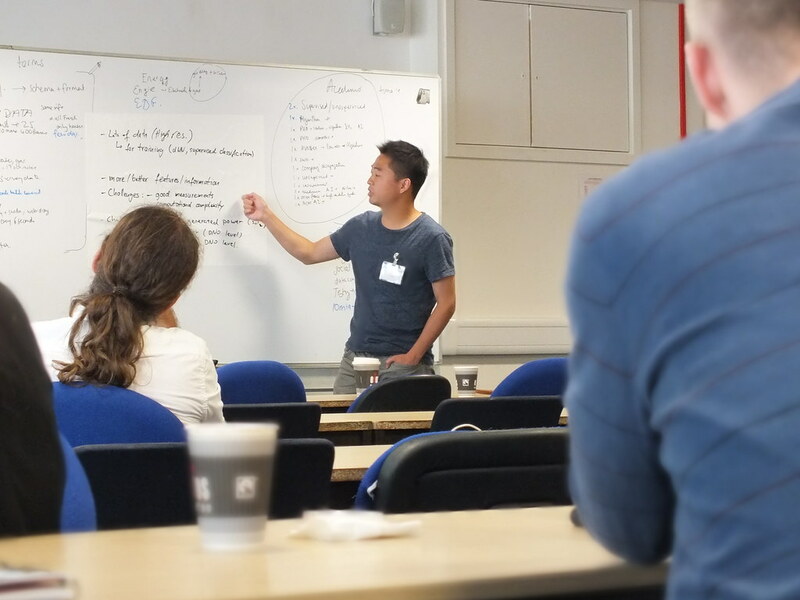 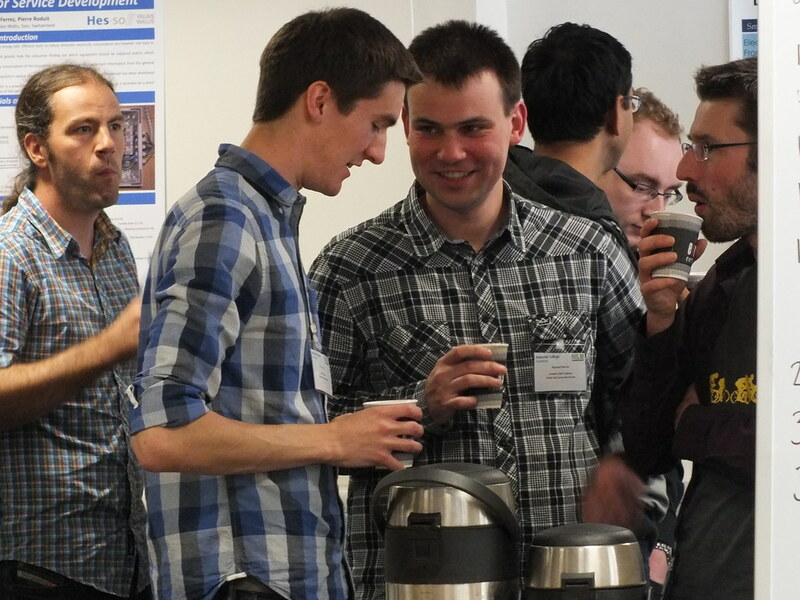 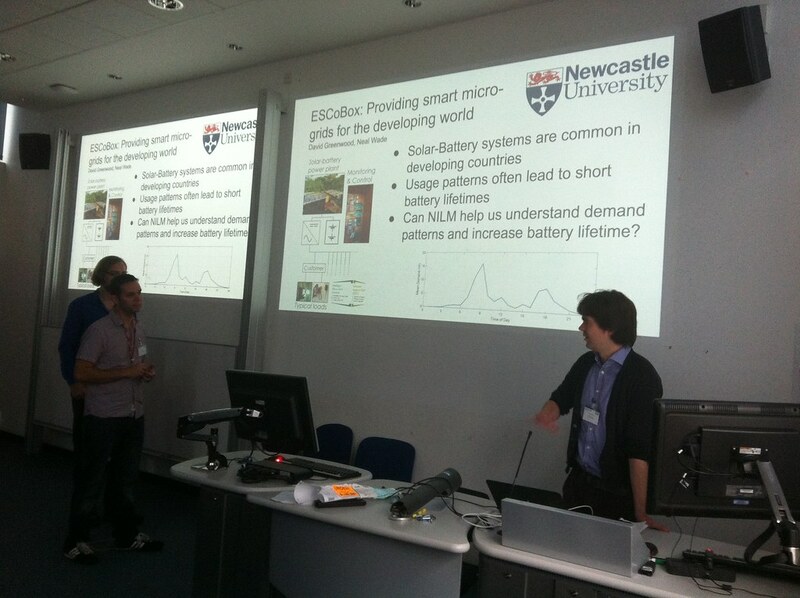 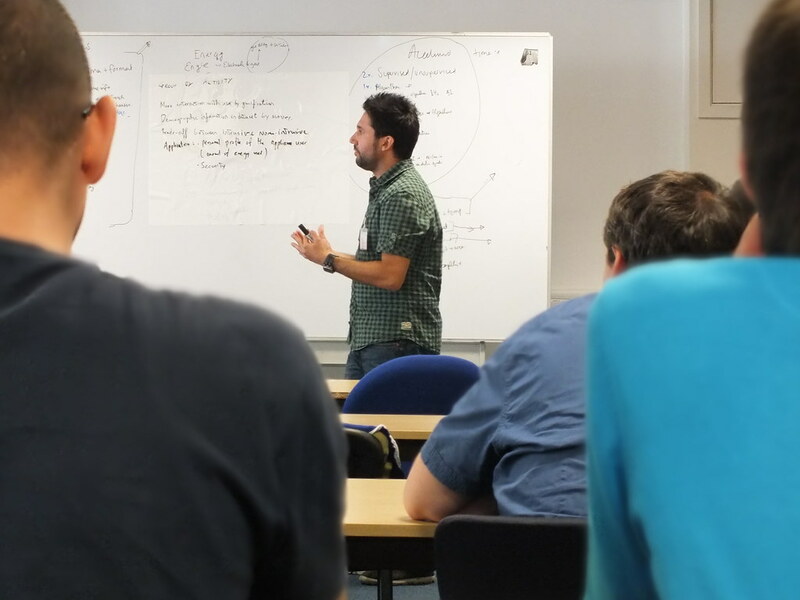 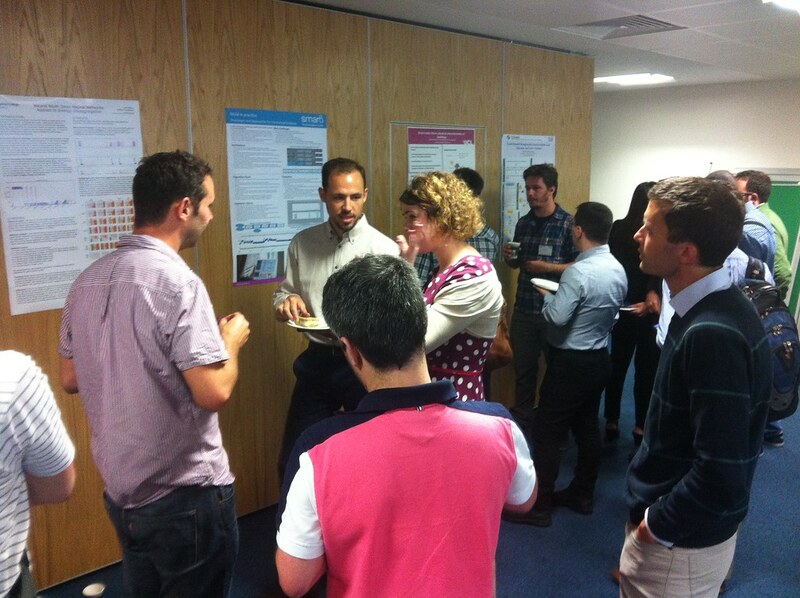 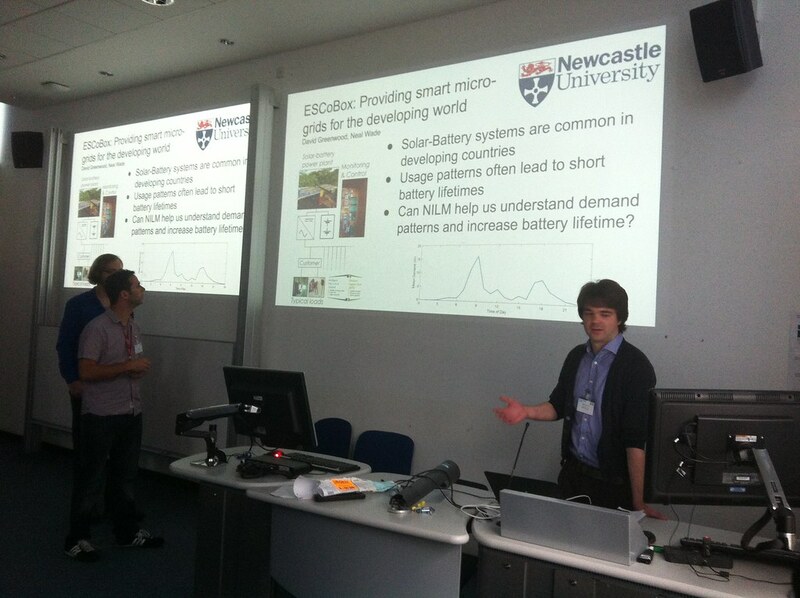 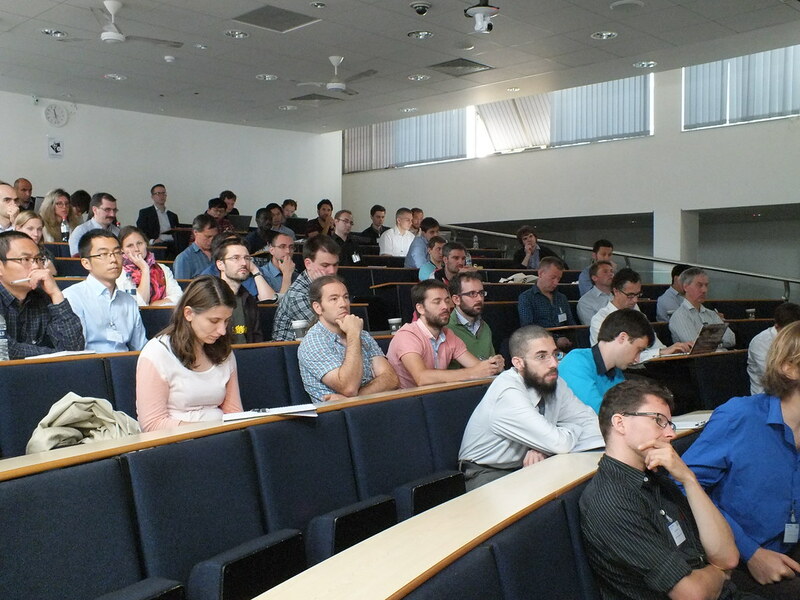 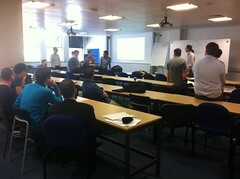 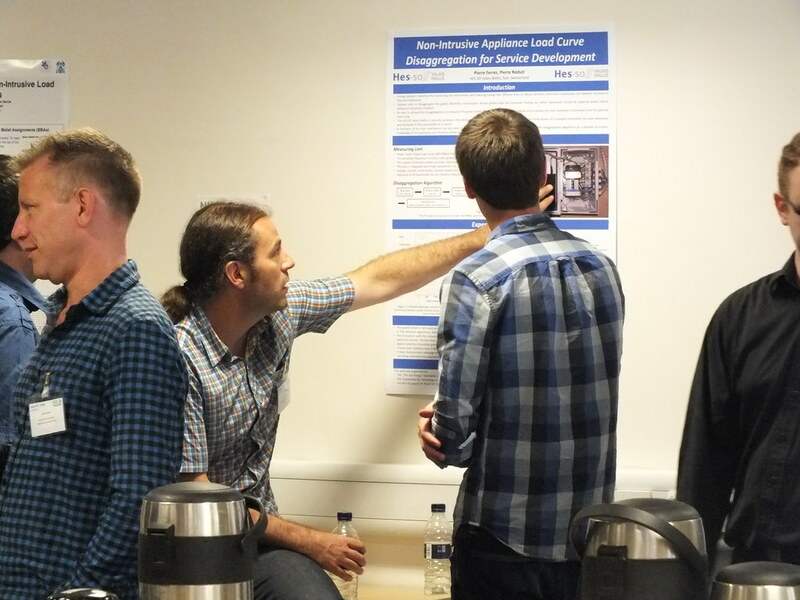 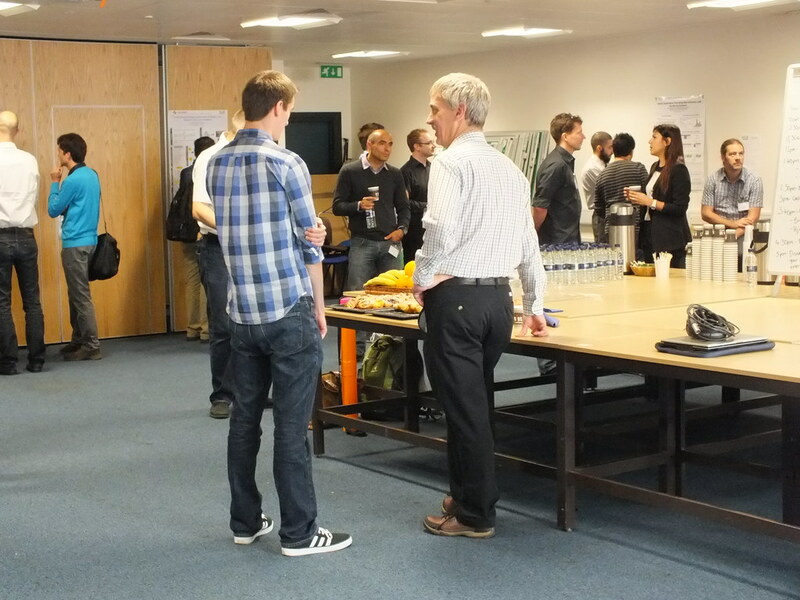 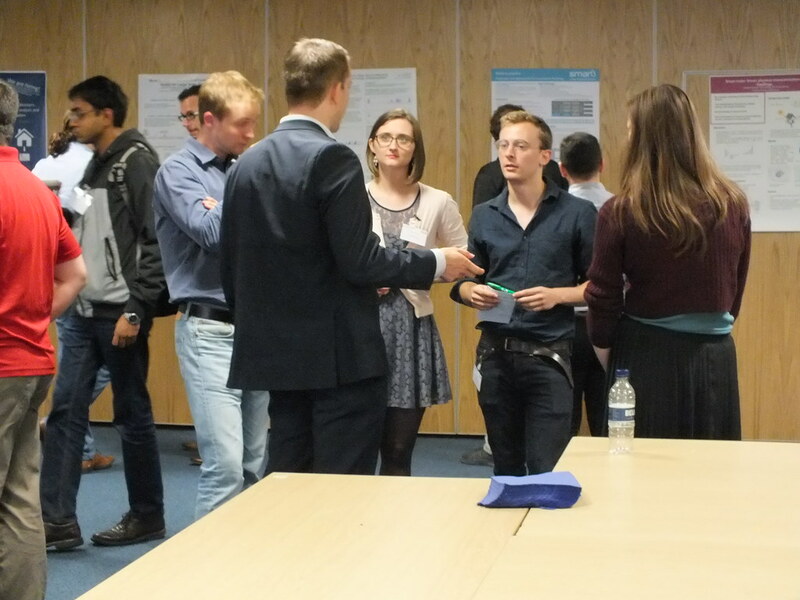 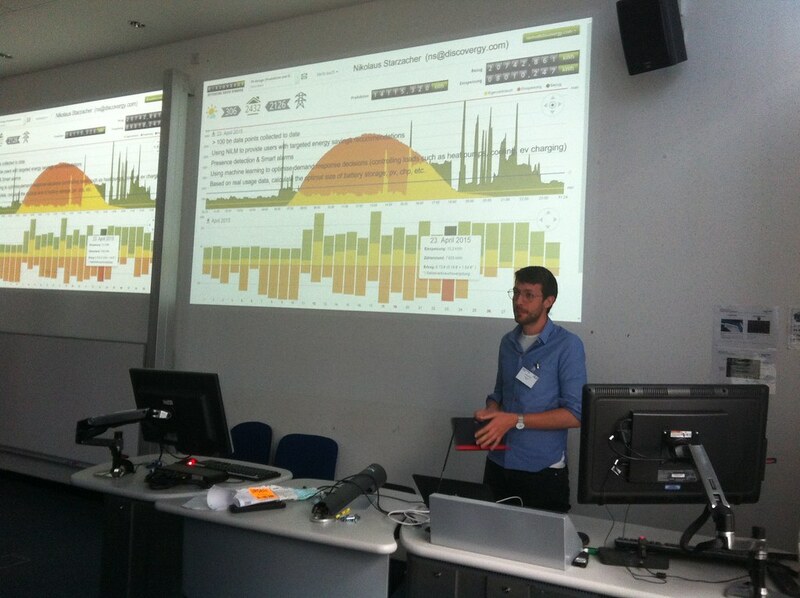 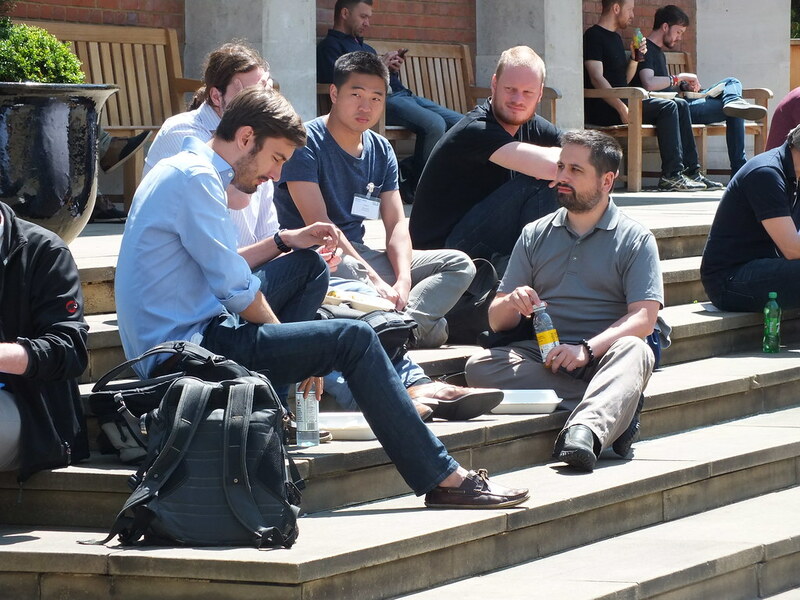 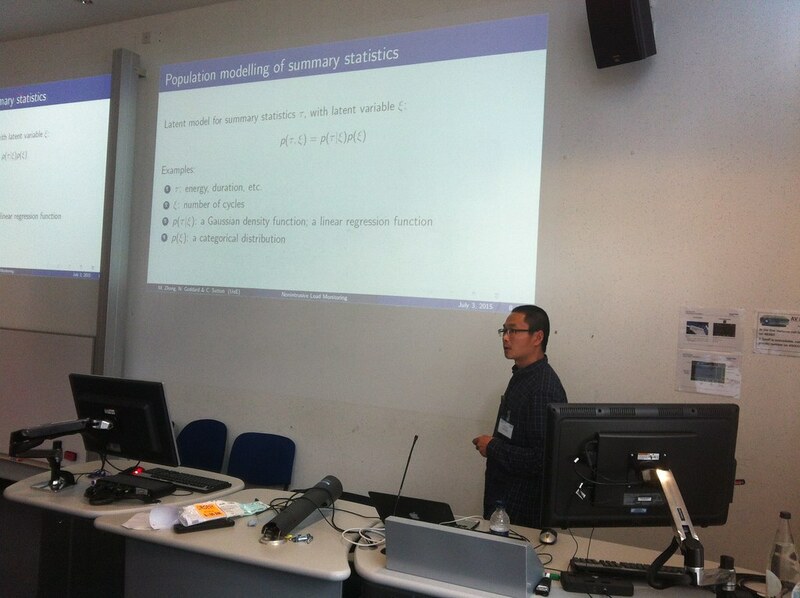 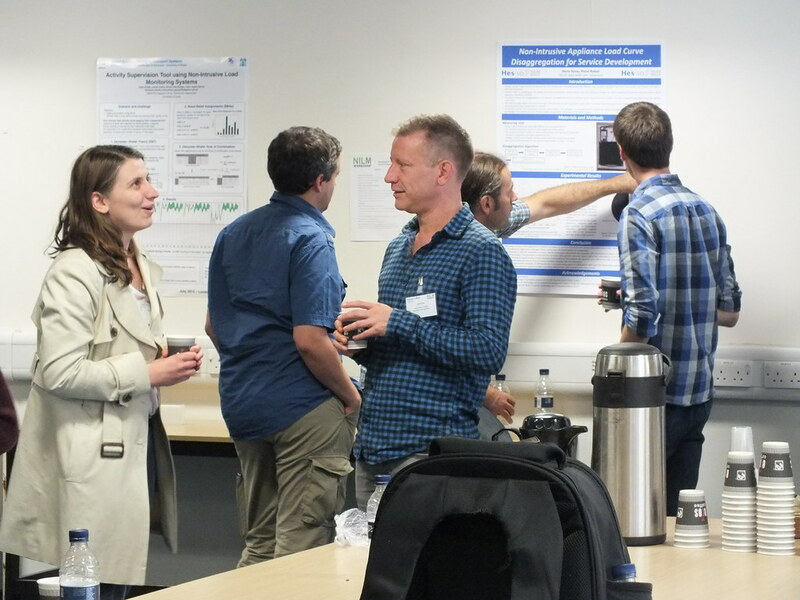 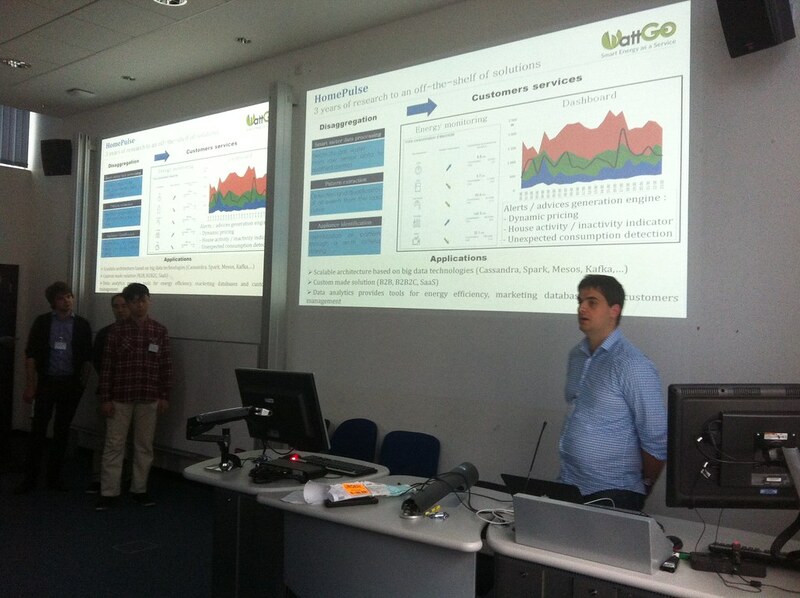 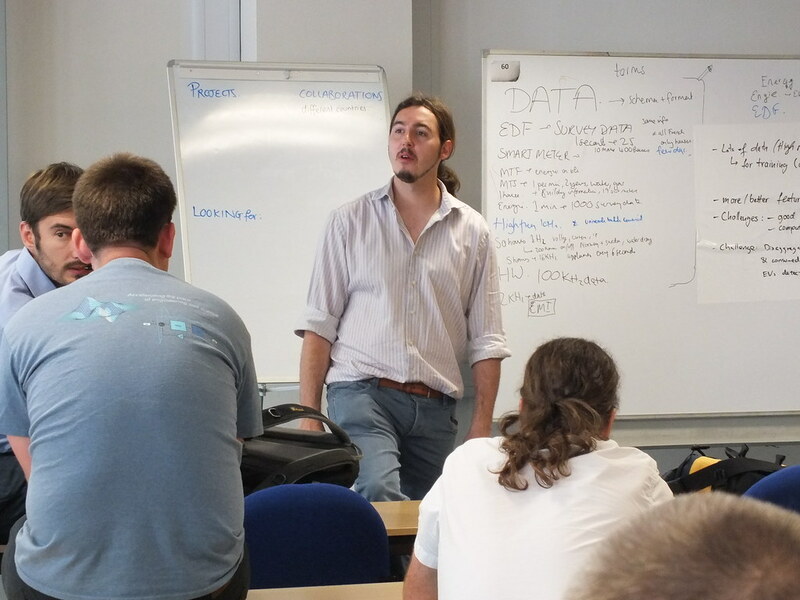 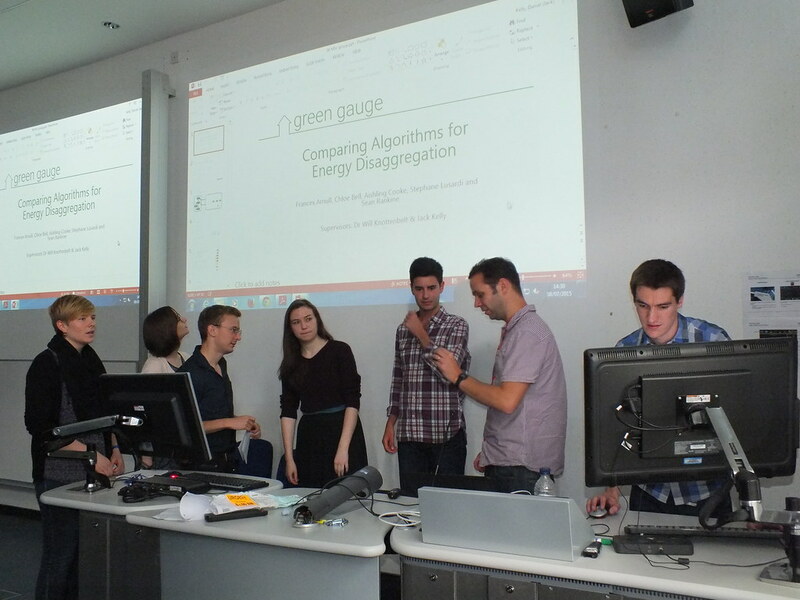 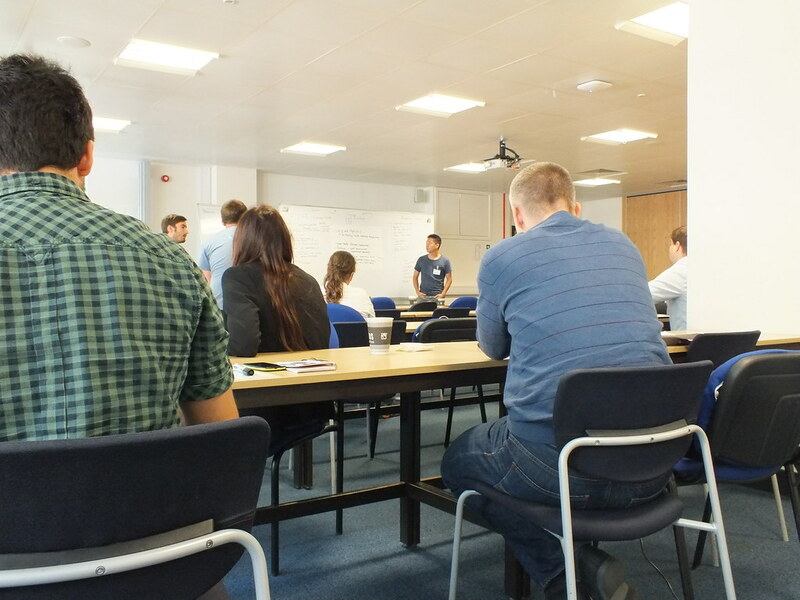 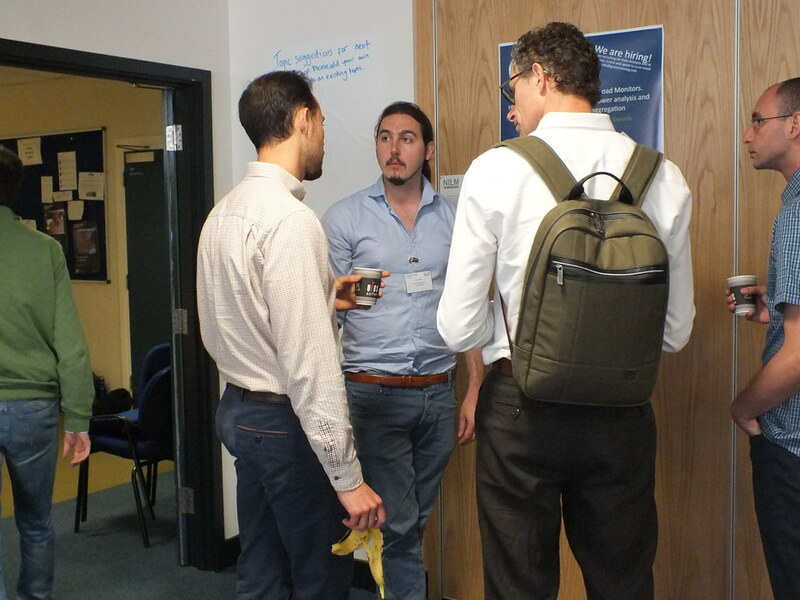 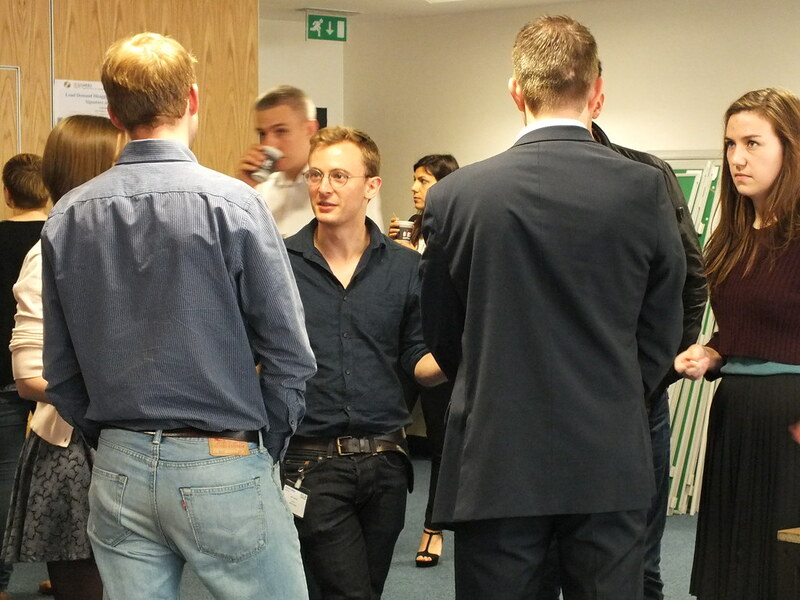 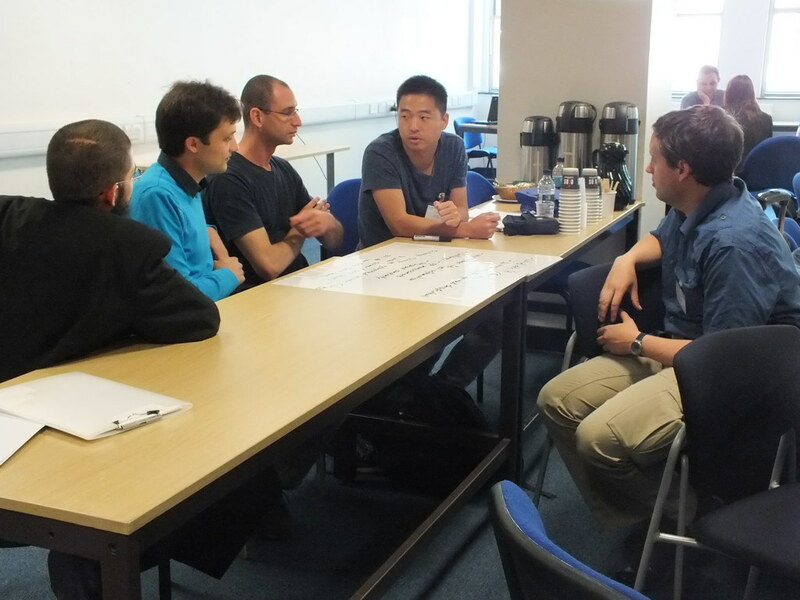 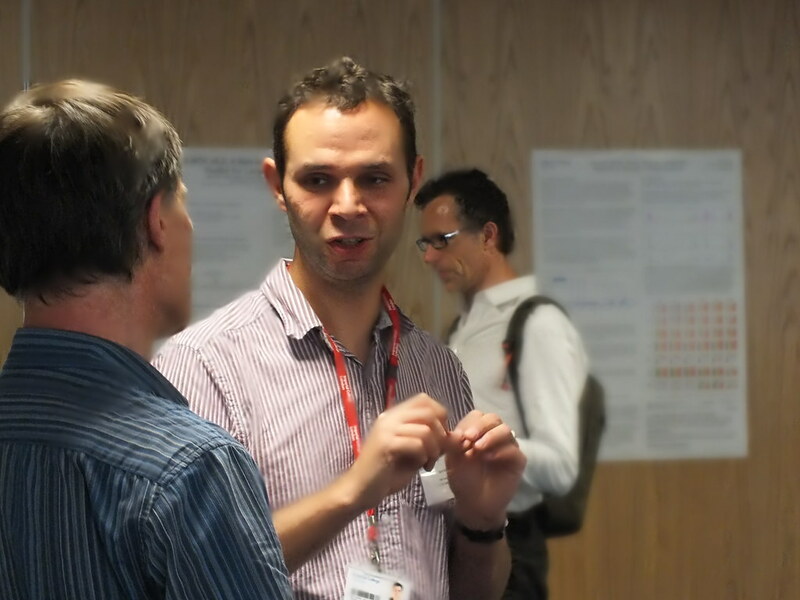 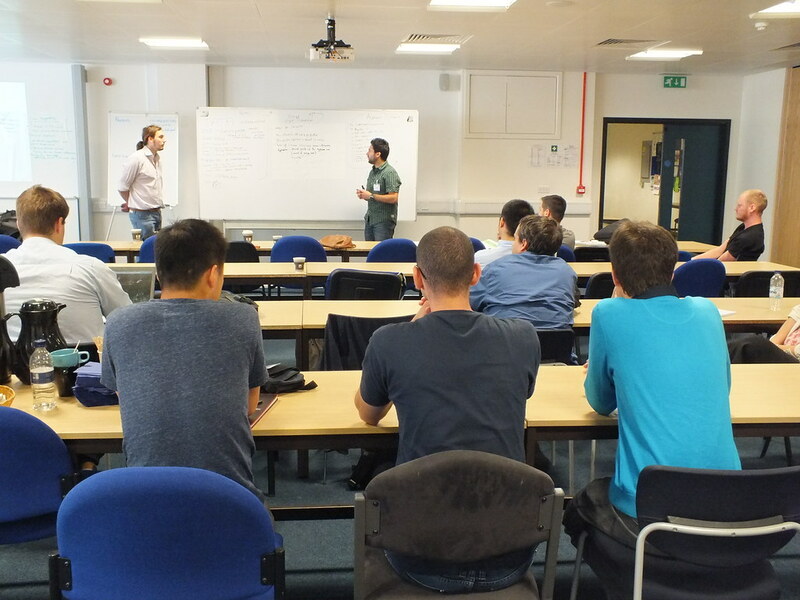 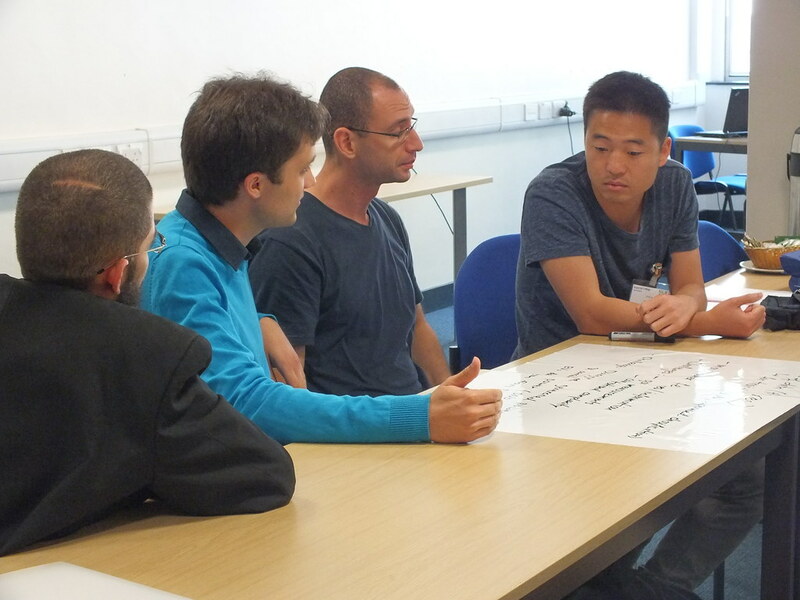 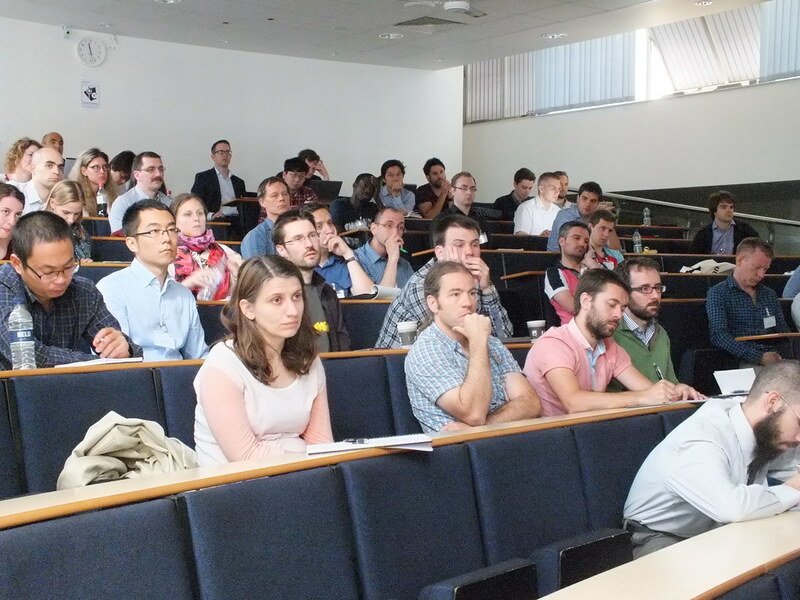 During July 2015, Imperial College London played host to nearly 70 attendees from all over the world for the European Non-Intrusive Load Monitoring (NILM) workshop, bringing together energy disaggregation researchers and professionals for this 2-day event. The purpose of the workshop was to provide a forum for energy disaggregation enthusiasts to learn about recent developments in the field, as well as network and discuss projects for future collaboration. 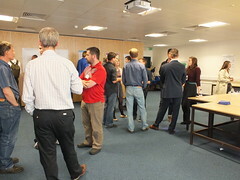 The workshop was attended by academics, employees of energy disaggregation companies, multinational utility companies and a few hobbyists. 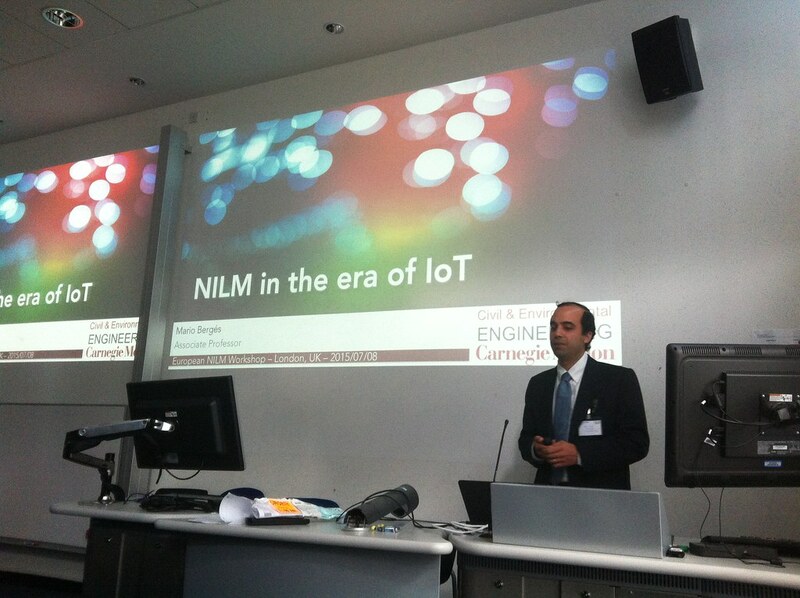 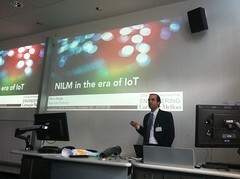 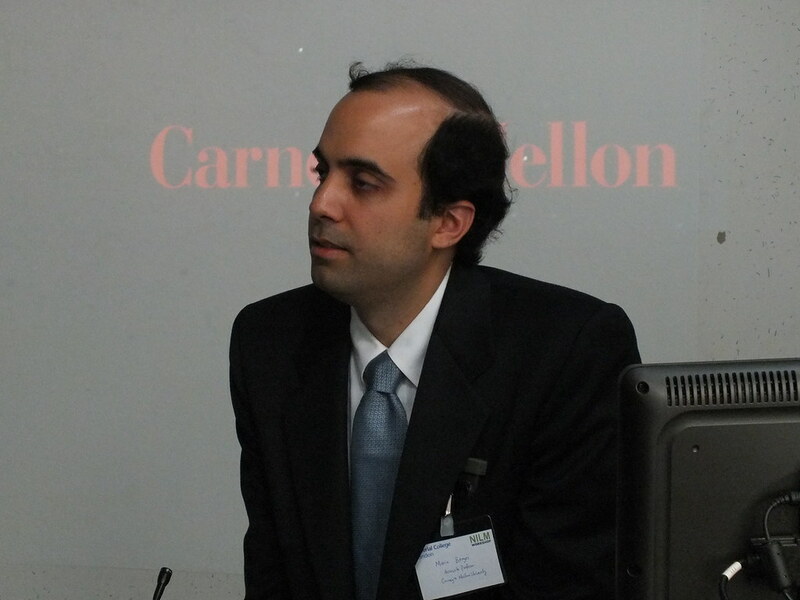 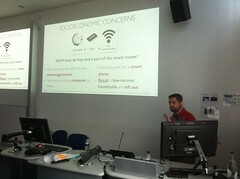 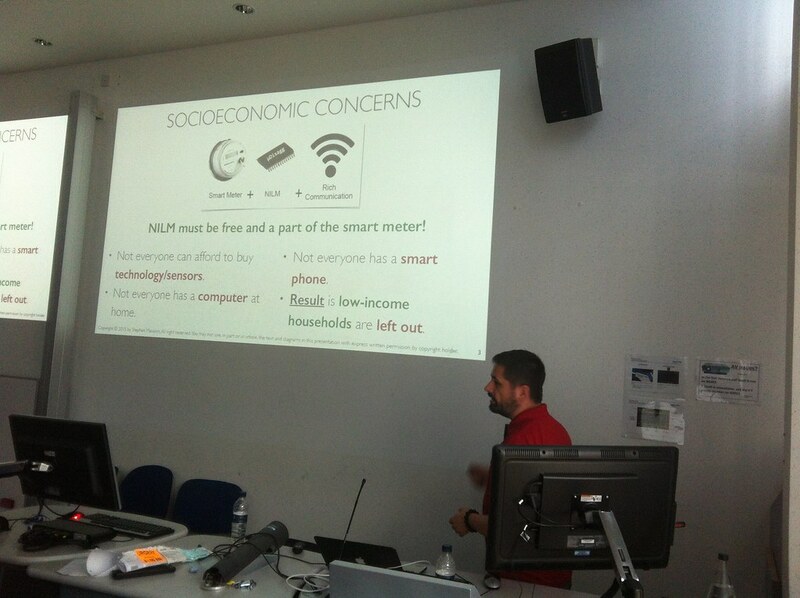 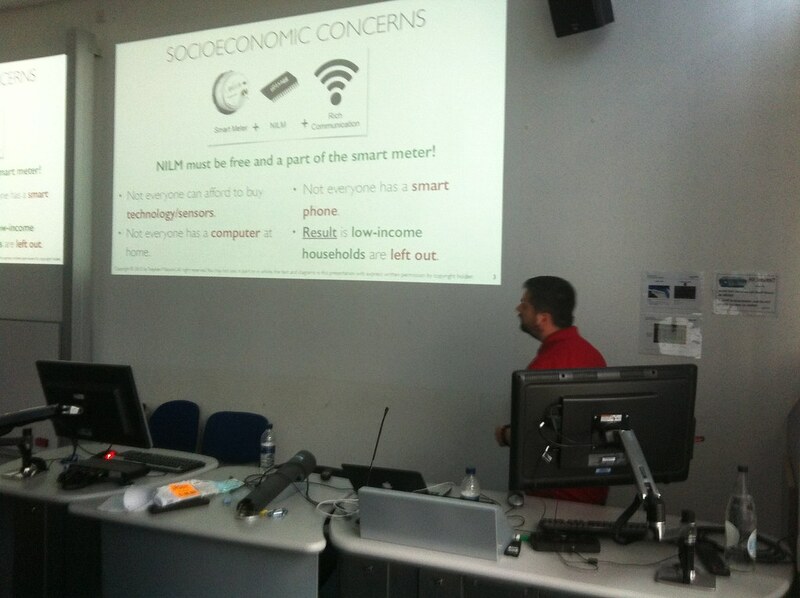 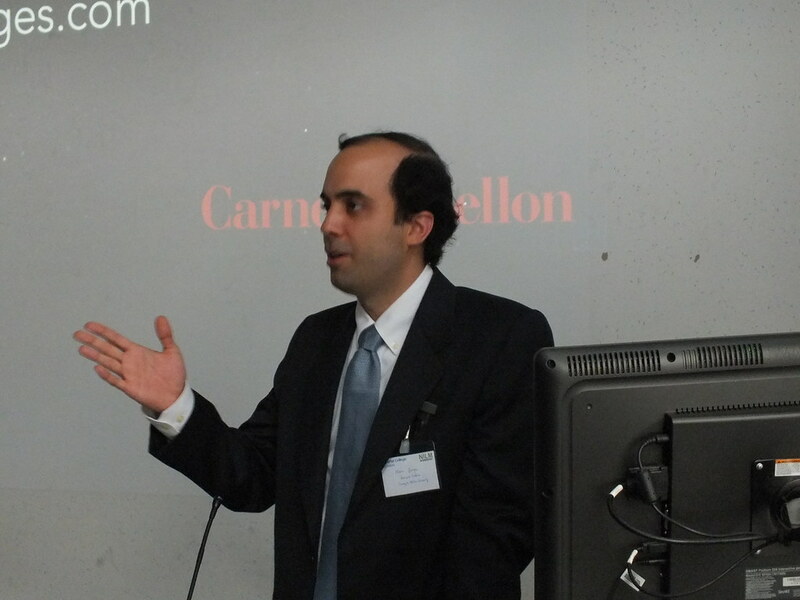 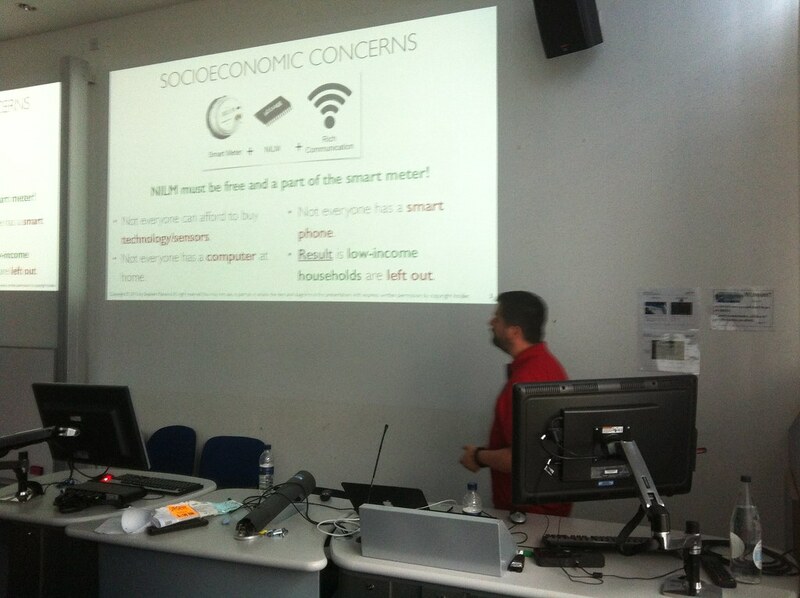 Mario Bergés, Assistant Professor at Carnegie Mellon University gave the keynote speech which focussed on the relevance of NILM within the emerging domain of the Internet of Things (IoT). 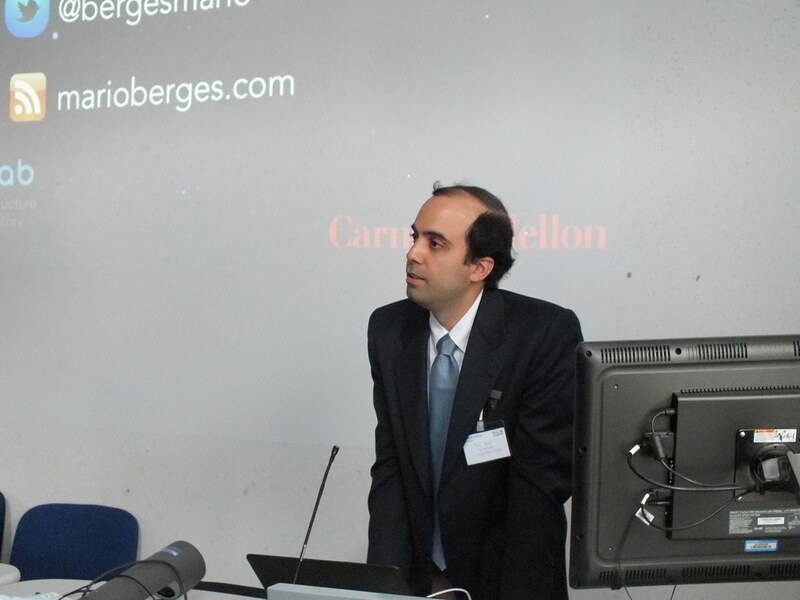 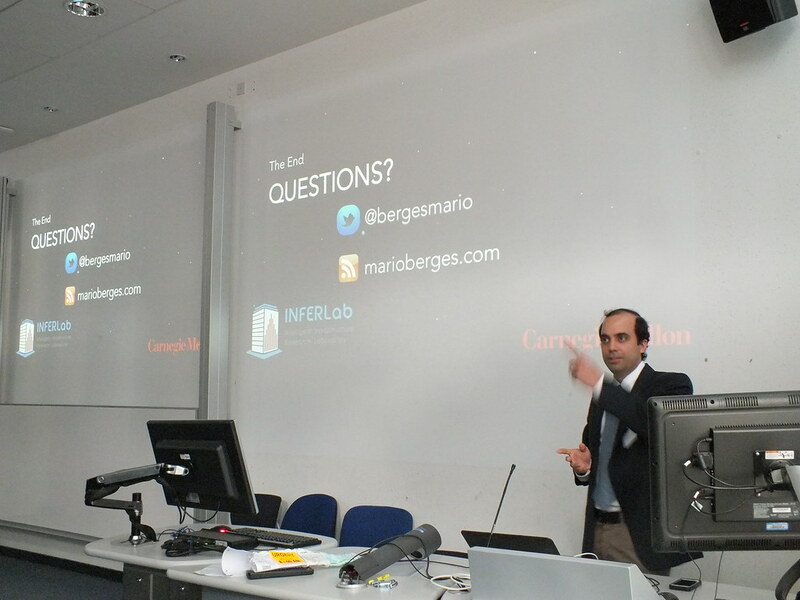 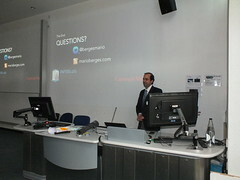 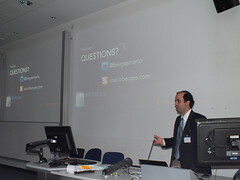 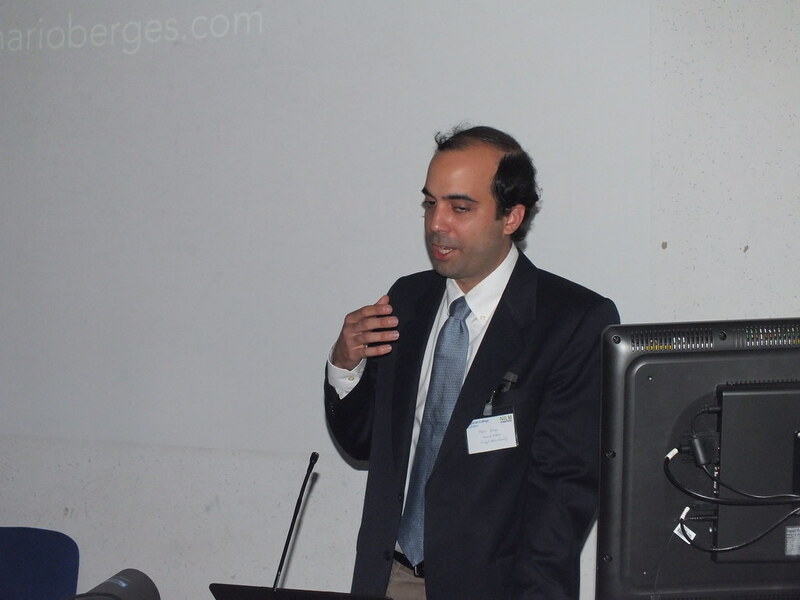 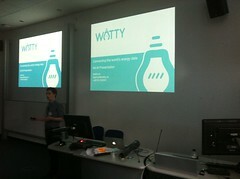 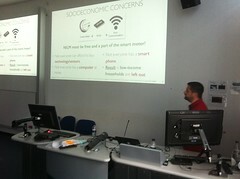 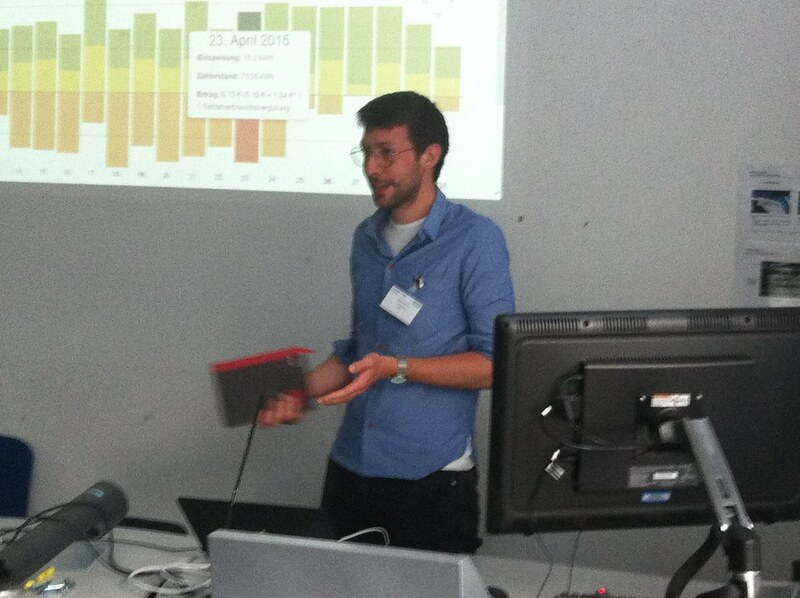 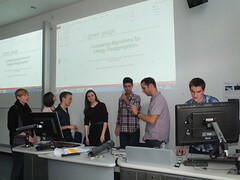 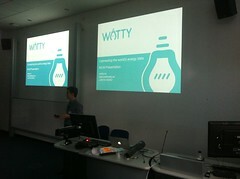 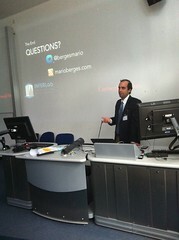 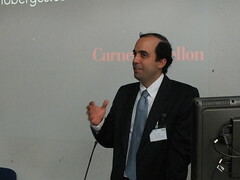 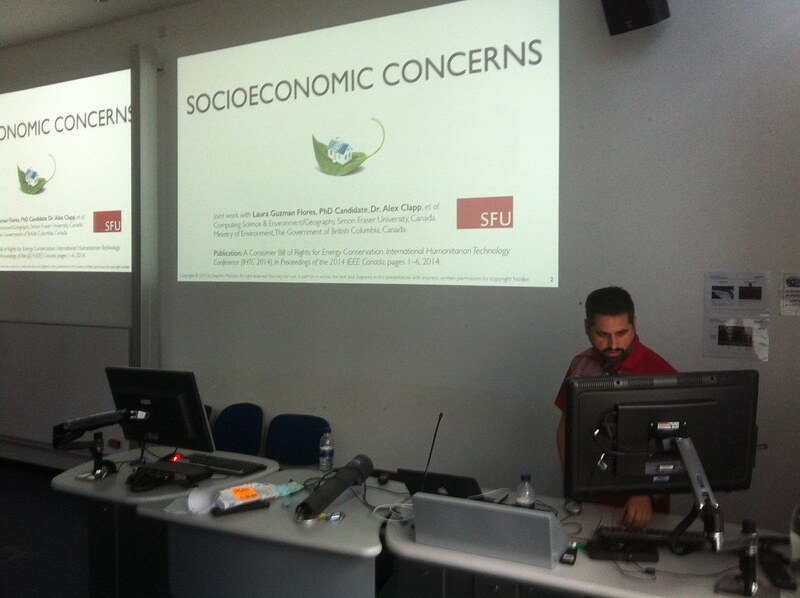 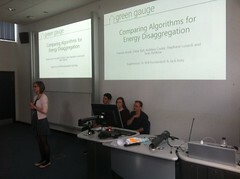 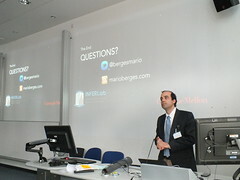 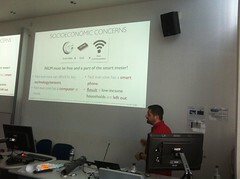 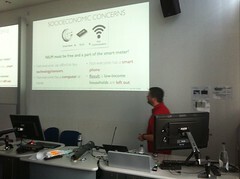 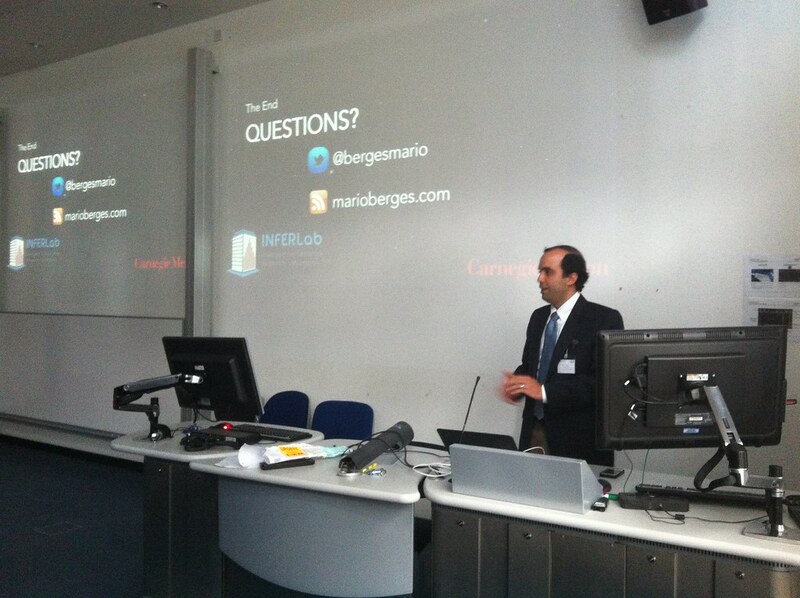 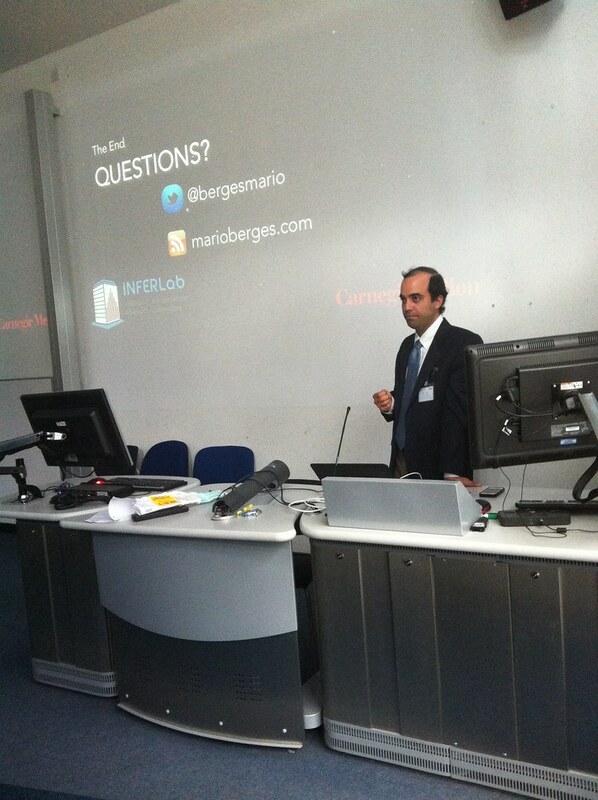 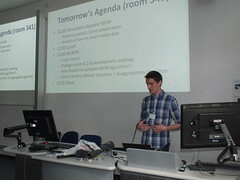 Mario covered recent trends in energy disaggregation, as well as his projection of the field’s relevance into the future. His talk also proposed four ‘million dollar’ ideas which he believes will have significant impact on the domain of energy disaggregation. 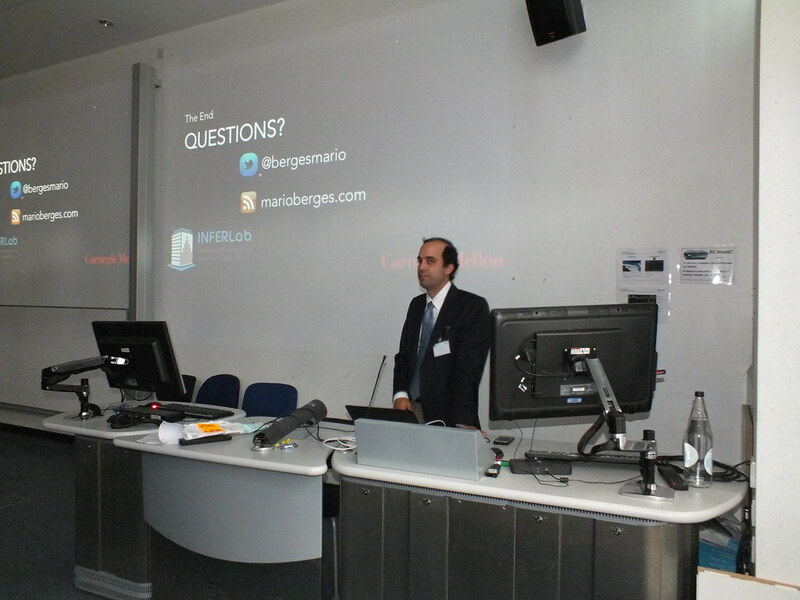 You can watch Mario’s full talk below. 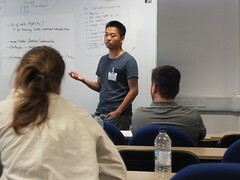 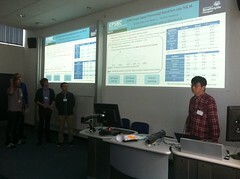 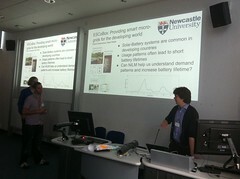 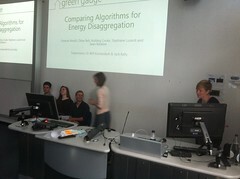 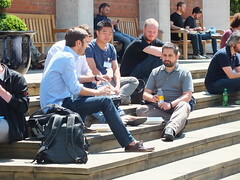 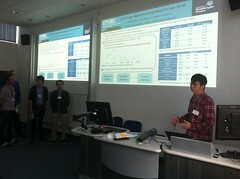 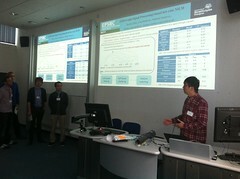 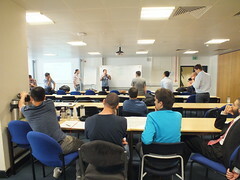 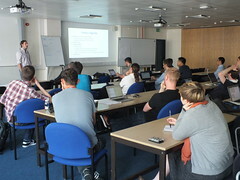 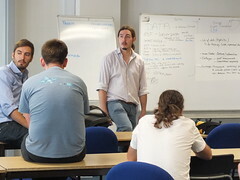 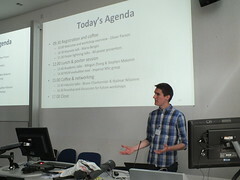 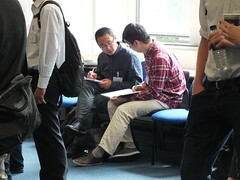 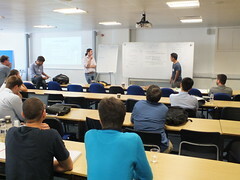 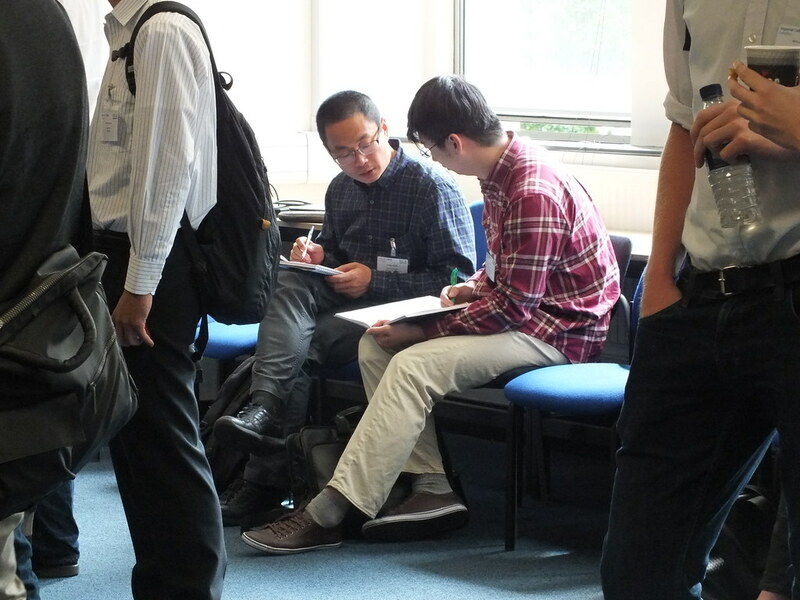 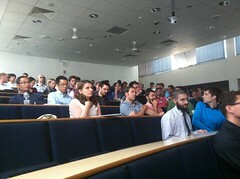 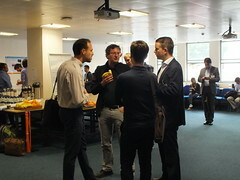 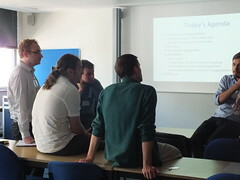 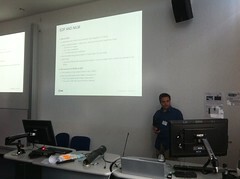 Workshop attendees also enjoyed talks from both academic and industry aspects, with speakers including Mingjun Zhong from the University of Edinburgh and Stephen Makonin from Simon Fraser University representing academic findings, and focussed on models for energy disaggregation, socioeconomic concerns and accuracy evaluation. From an industry perspective the workshop welcomed Bruno Charbonnier from EDF R&D, and Hjalmar Nilsonne from Watty who cemented the importance and benefits of disaggregating electricity and announced the release of a new dataset. 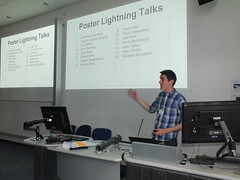 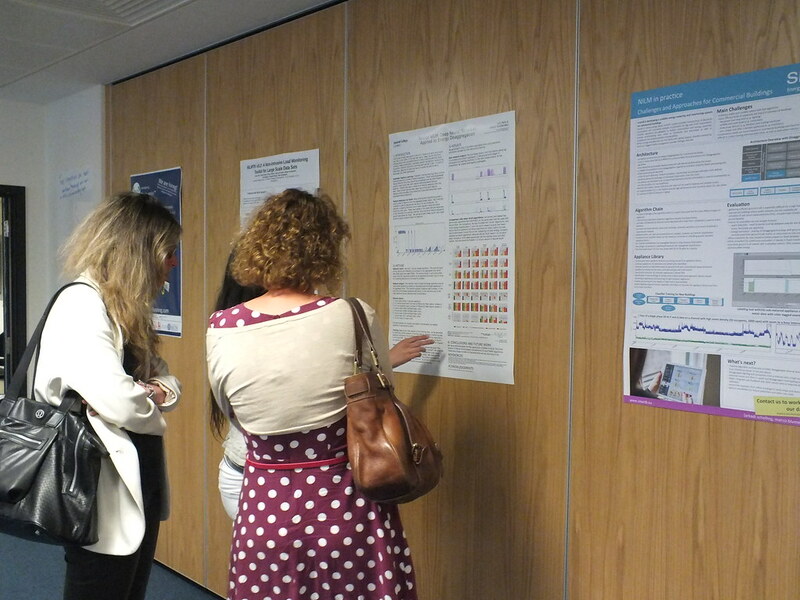 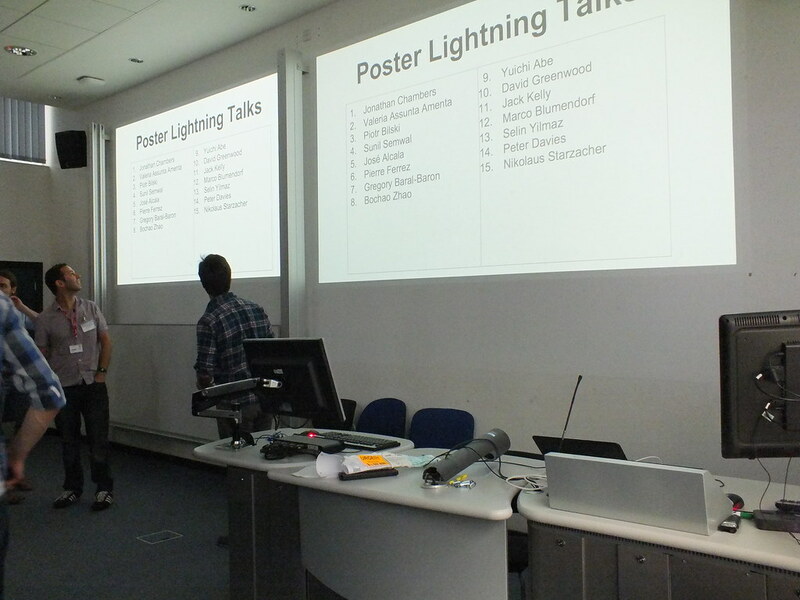 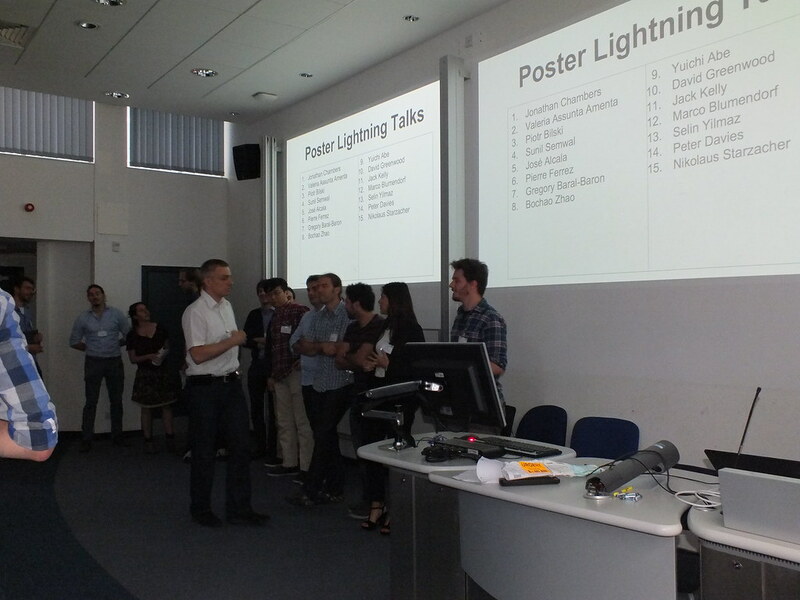 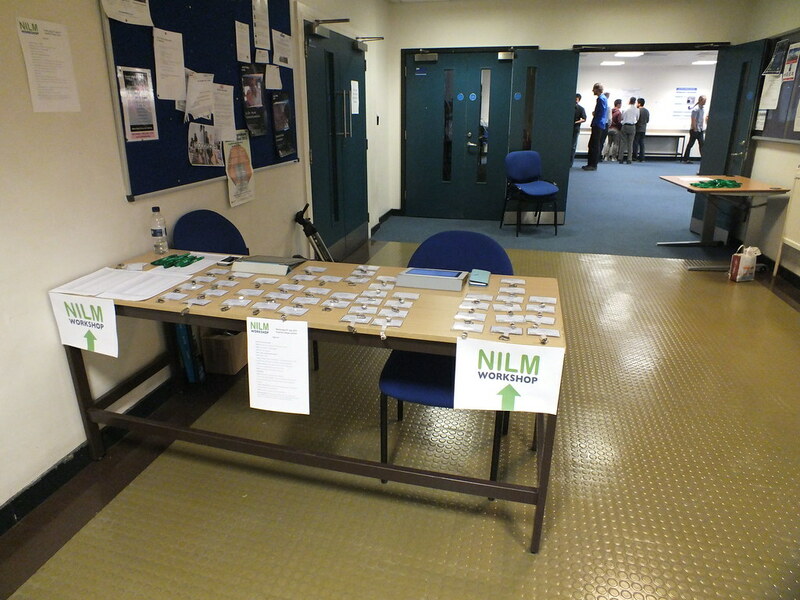 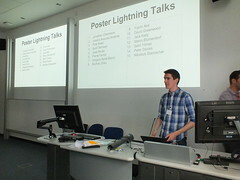 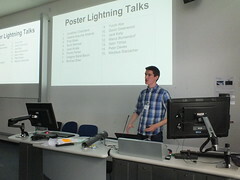 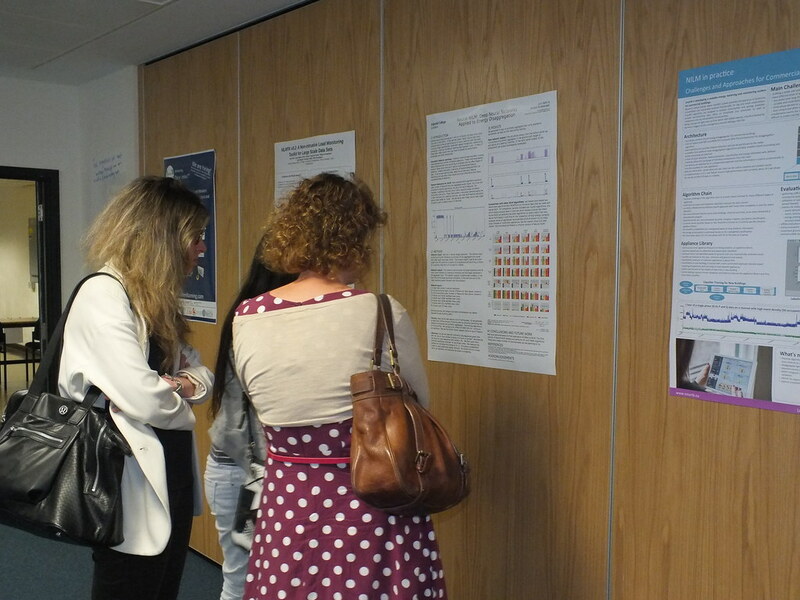 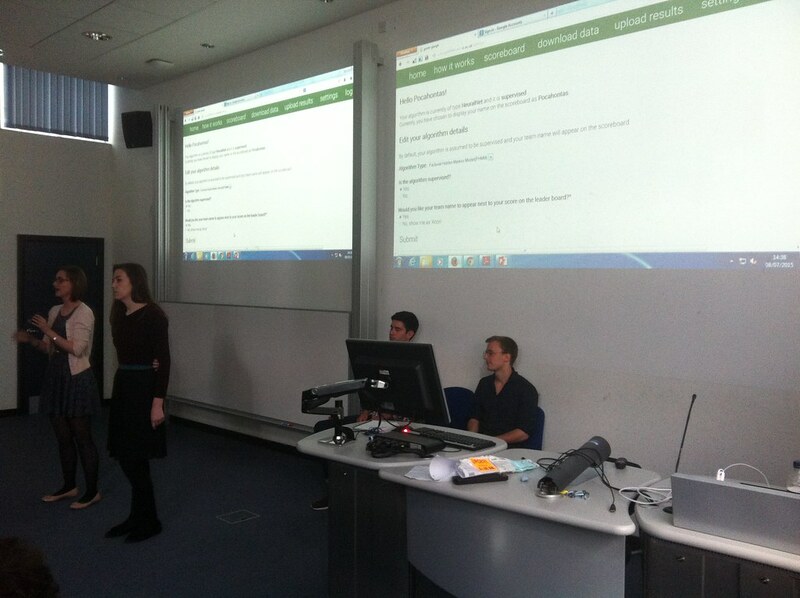 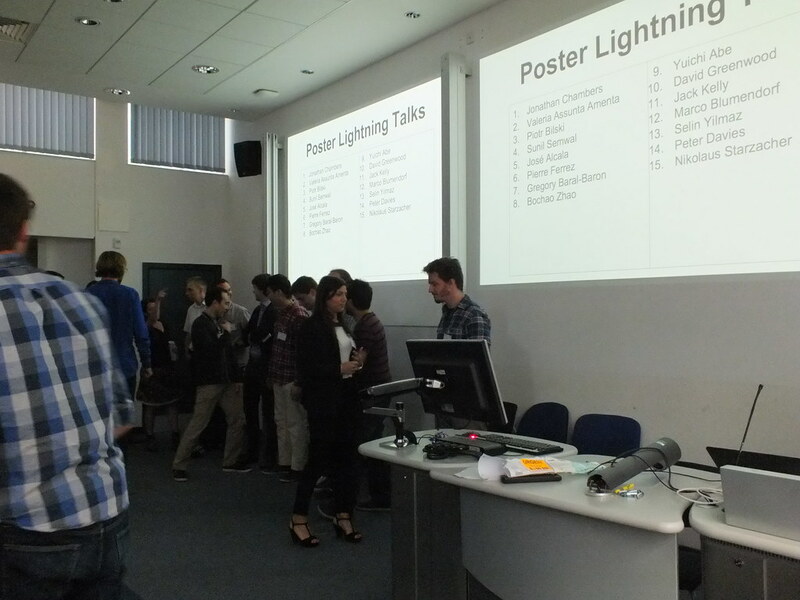 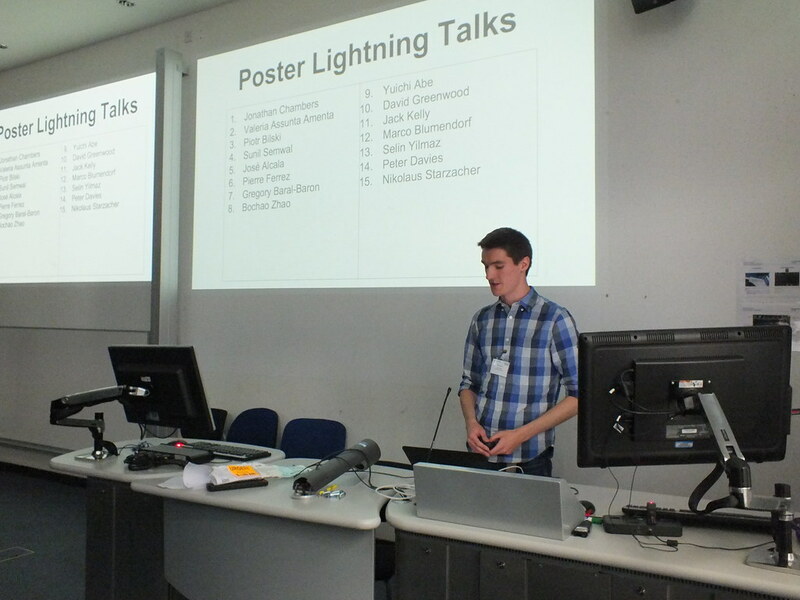 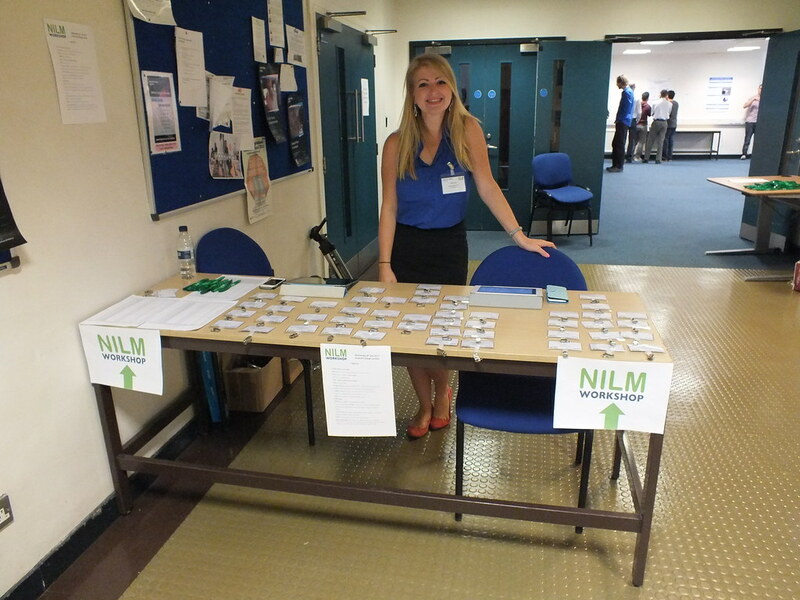 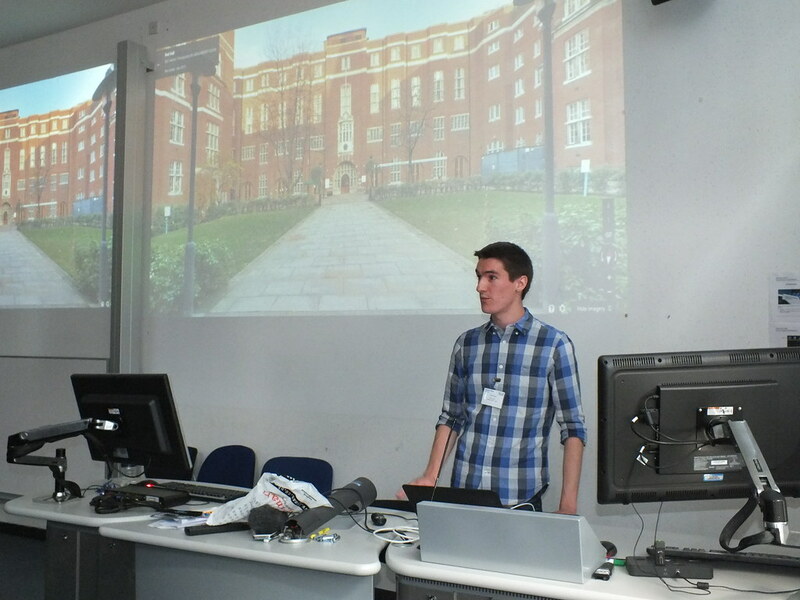 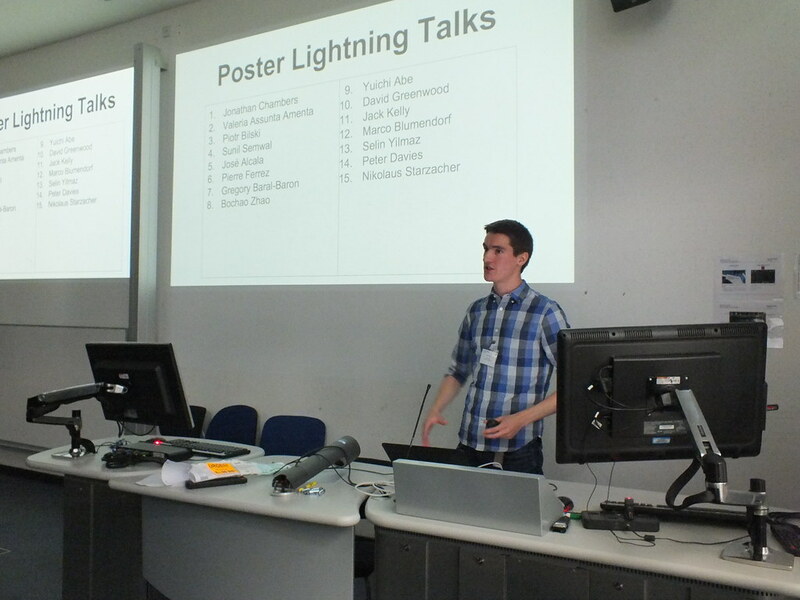 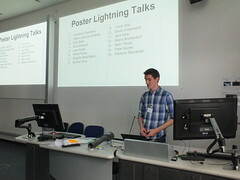 Delegates were invited to bring a poster to present at a dedicated ‘lightning talk’ session, giving each presenter a chance to disseminate and discuss a NILM related topic of their choice for 1 minute. 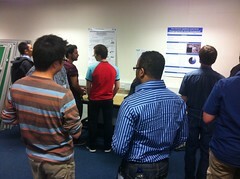 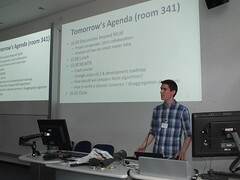 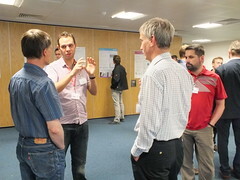 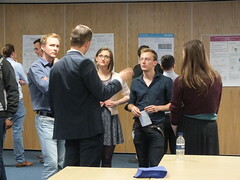 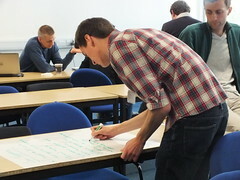 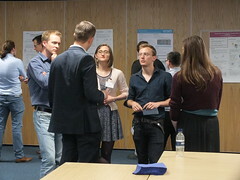 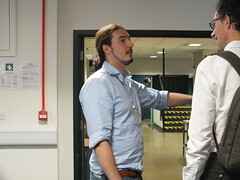 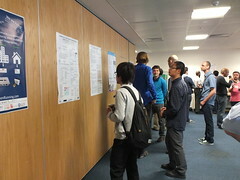 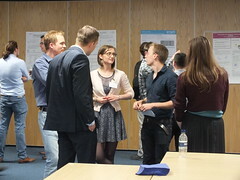 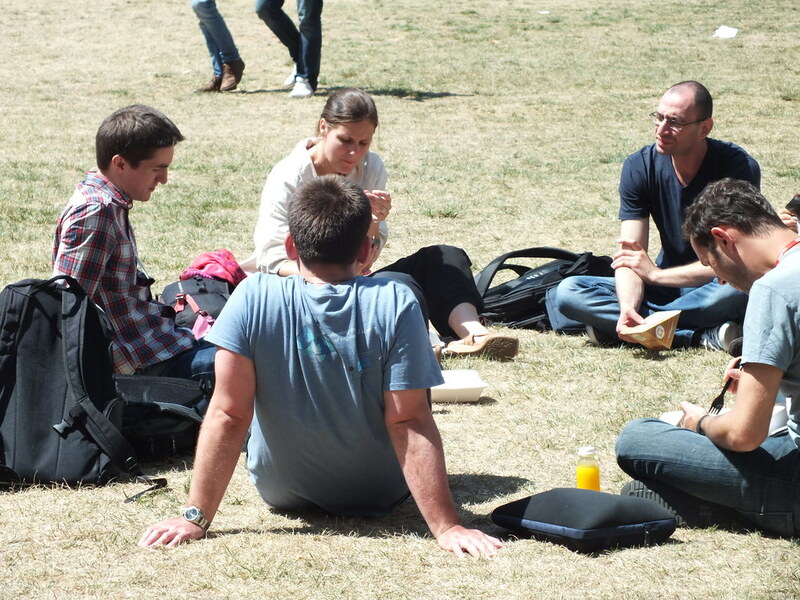 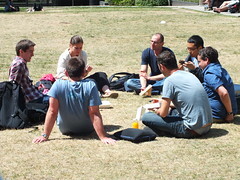 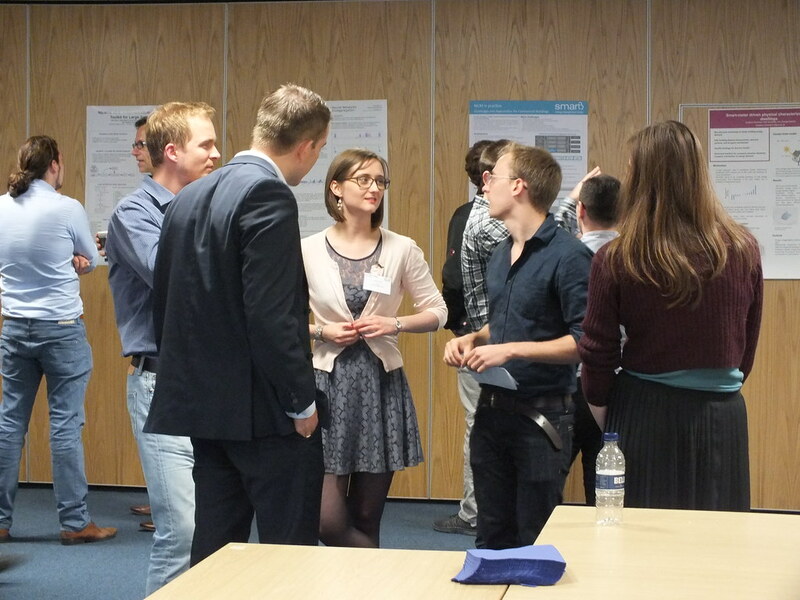 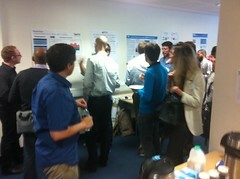 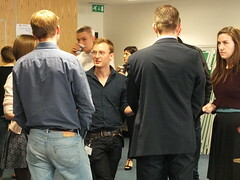 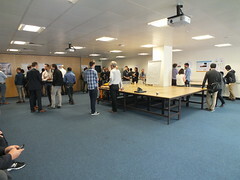 During the lunch and break sessions, posters were displayed on the walls, giving the presenter an opportunity to engage in one-to-one discussions with other attendees. 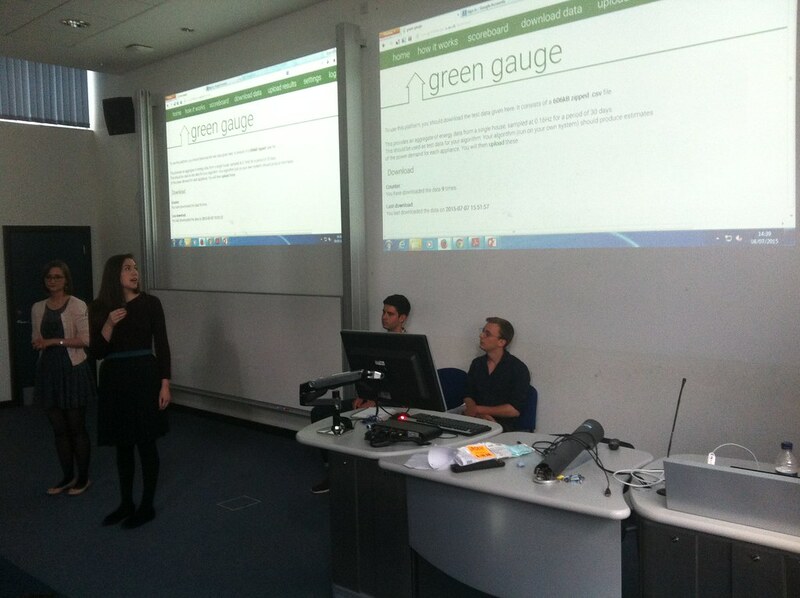 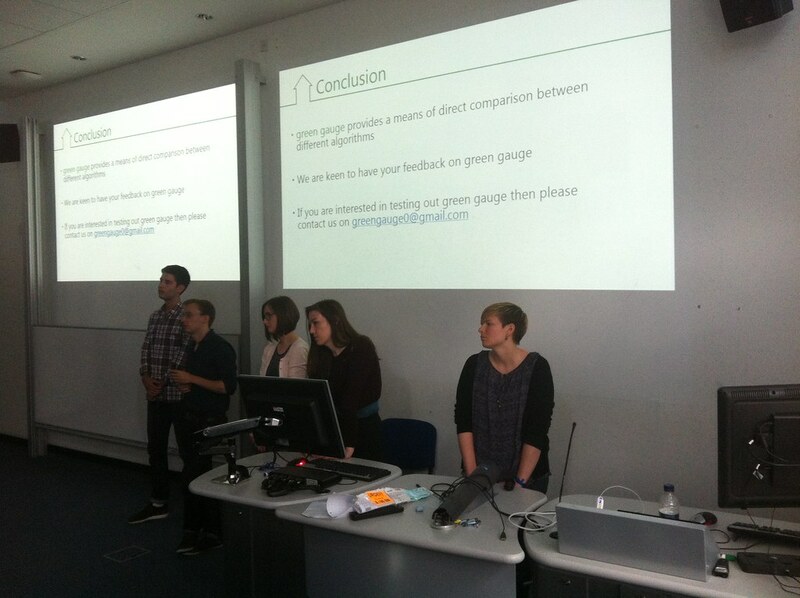 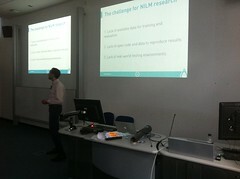 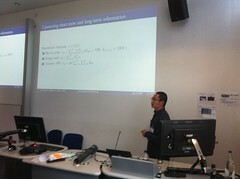 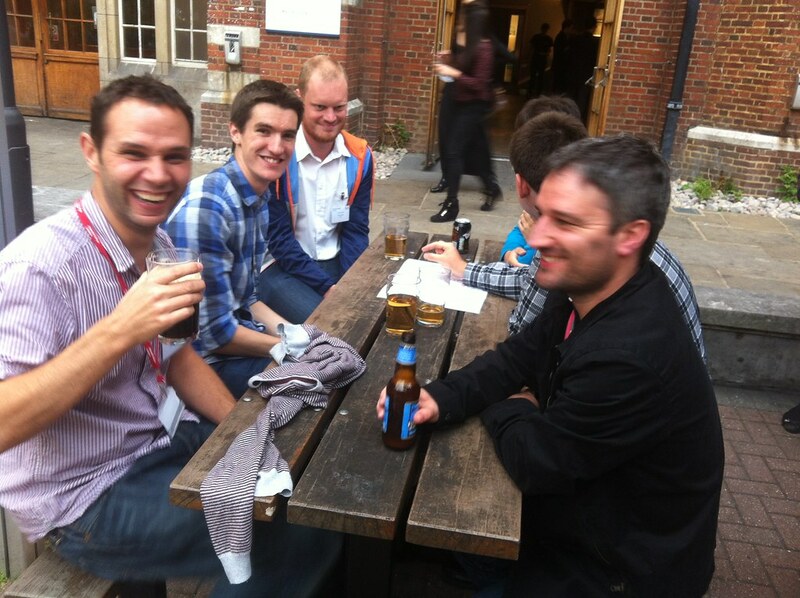 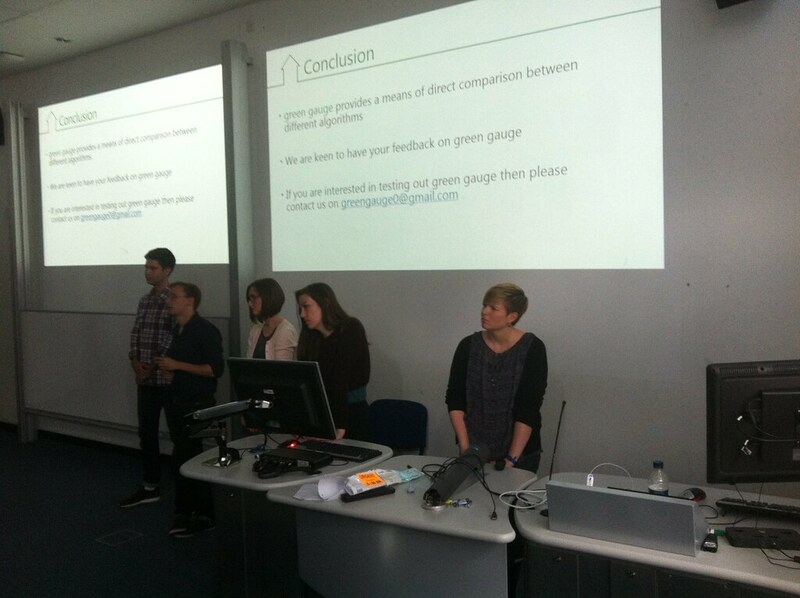 An MSc group from Imperial College London presented a tool for evaluating NILM algorithms without requiring the NILM algorithm’s code to be released. There was a real buzz of excitement around such an initiative, and a number of improvements were suggested around the need for a real-world private data set. 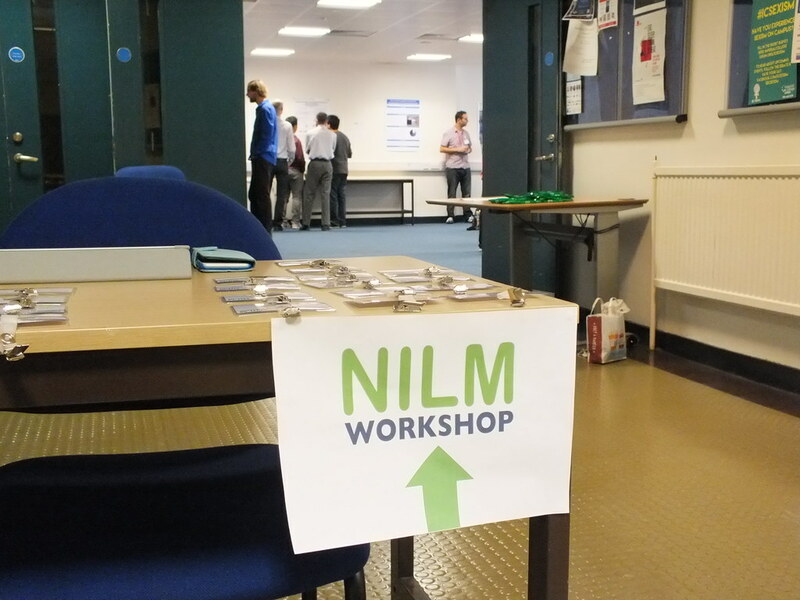 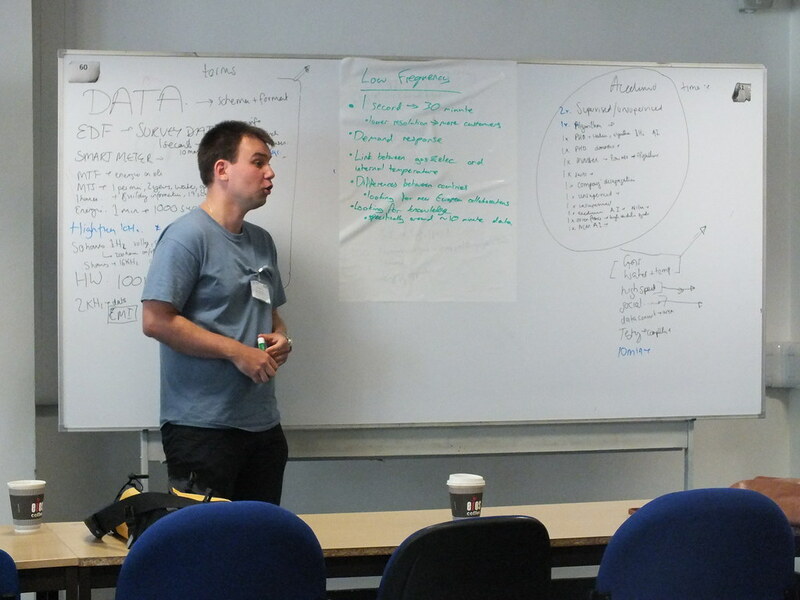 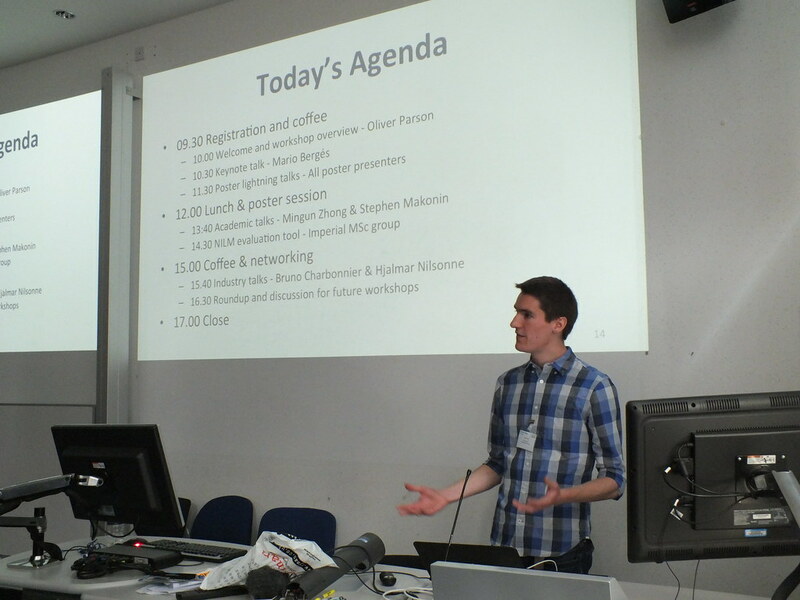 As the NILM Workshop came to a close, an agenda was decided for topics to discuss the following morning at an informal user group designed to encourage collaboration and potential projects among attendees, which included funding applications and data sharing. 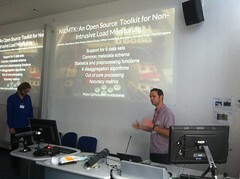 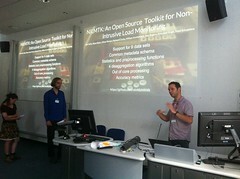 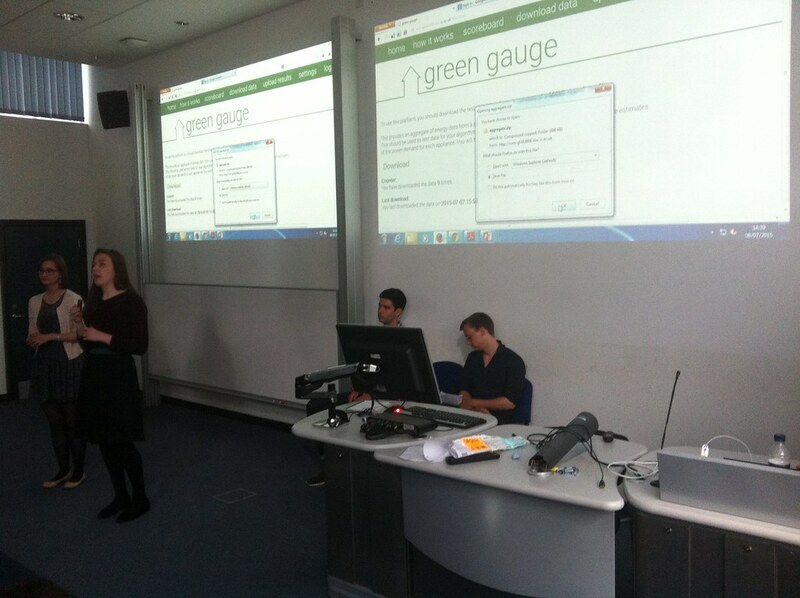 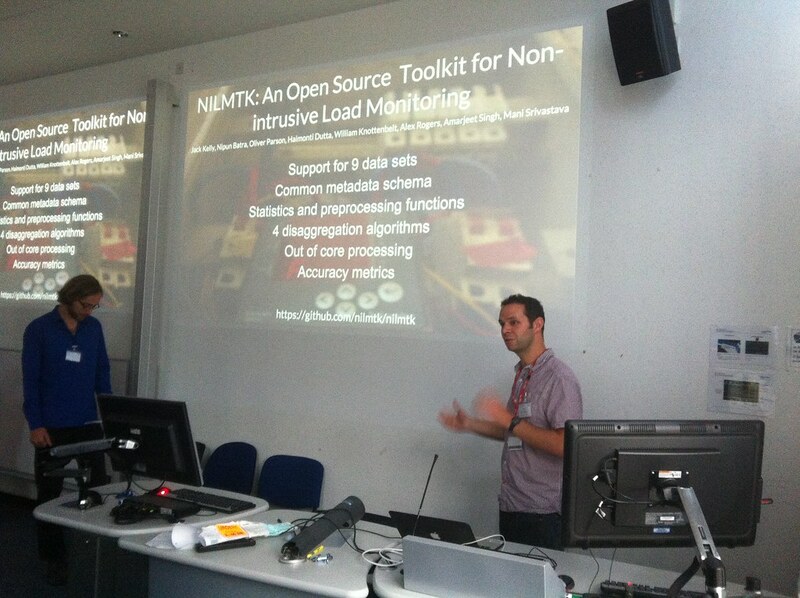 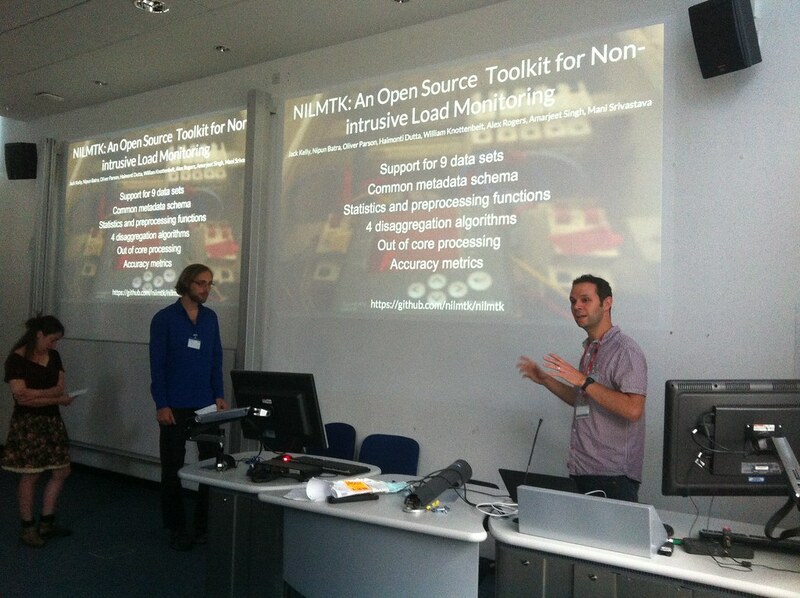 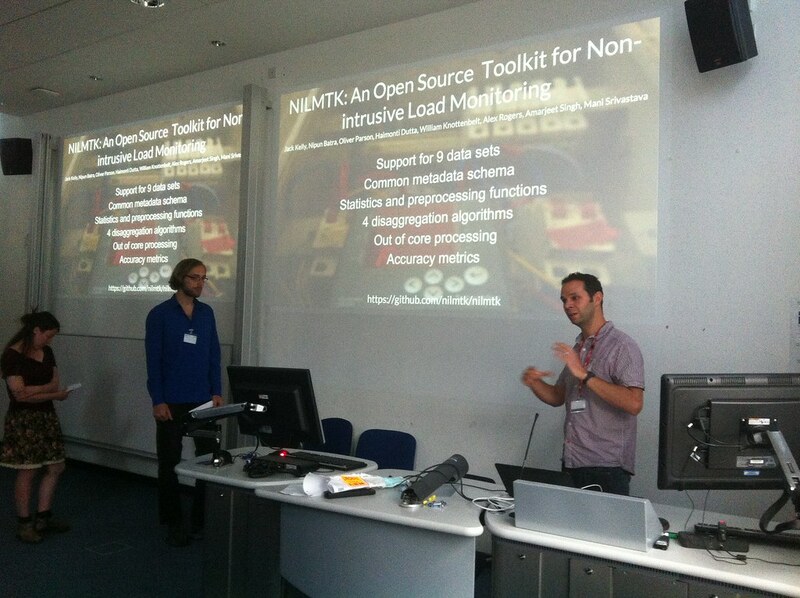 The afternoon session explored NILMTK; an open source toolkit for non-intrusive load monitoring and included an overview of the toolkit as well as discussions on how to encourage contributions from the community. The need for a collaborative knowledge base, where items such as public data sets can be described in an easily comparable and searchable format was also discussed, with the result being a web based wiki which will be available on the nilm.eu website soon. The most obvious learning from the workshop was the increasing momentum in this domain. The 2014 European Workshop was attended by around 20 people while this year saw nearly 70 attendees from around the globe. 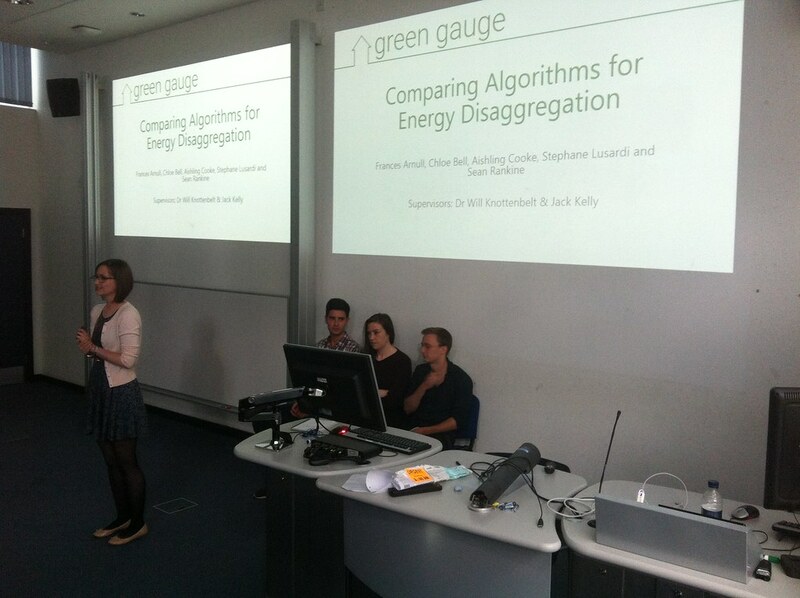 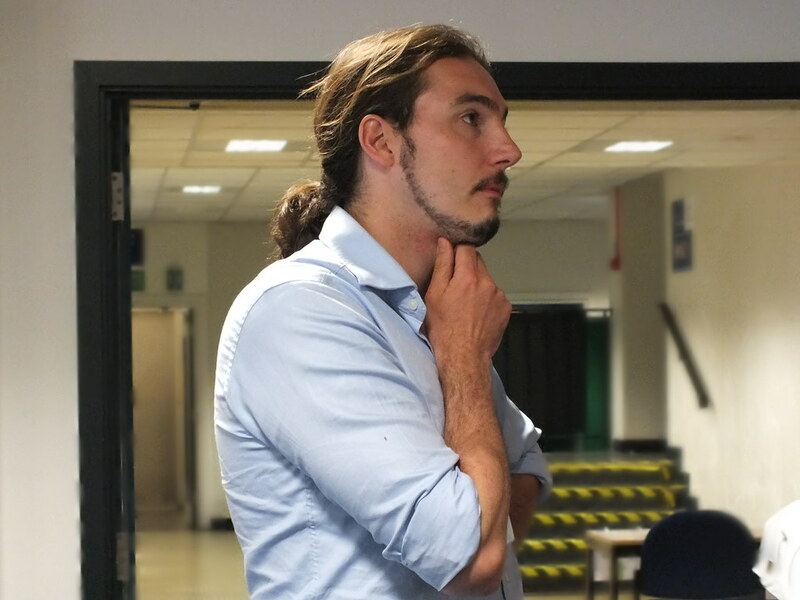 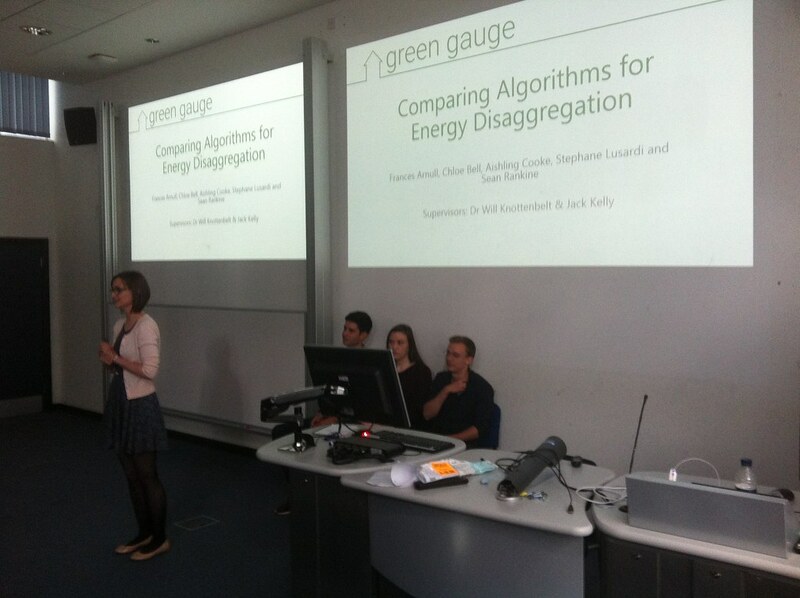 In addition, the diversity of the problems being studied by each of the attendees was also clear from the poster session, as each start up or academic project has a subtle but significantly different take on the problem of energy disaggregation. 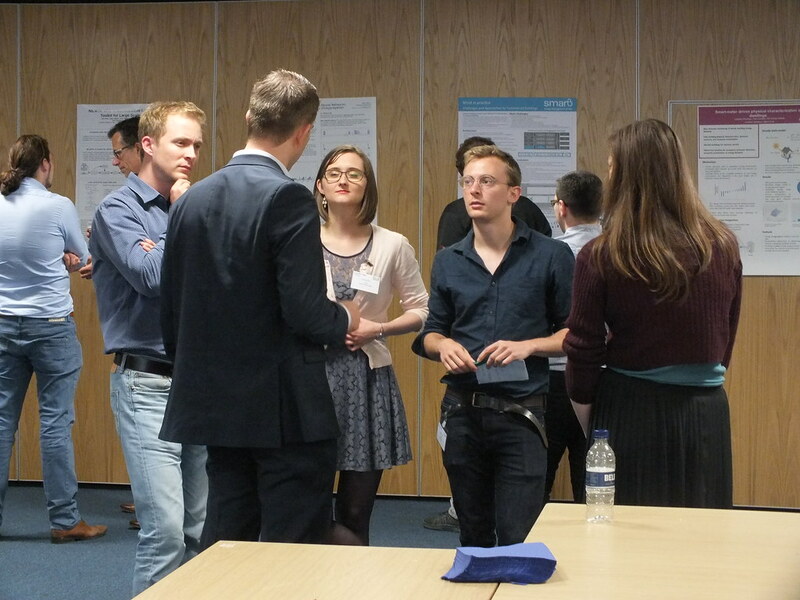 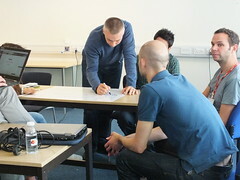 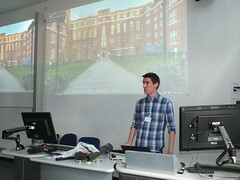 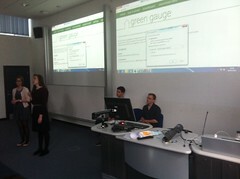 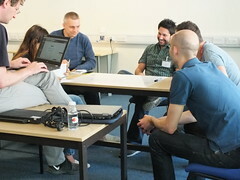 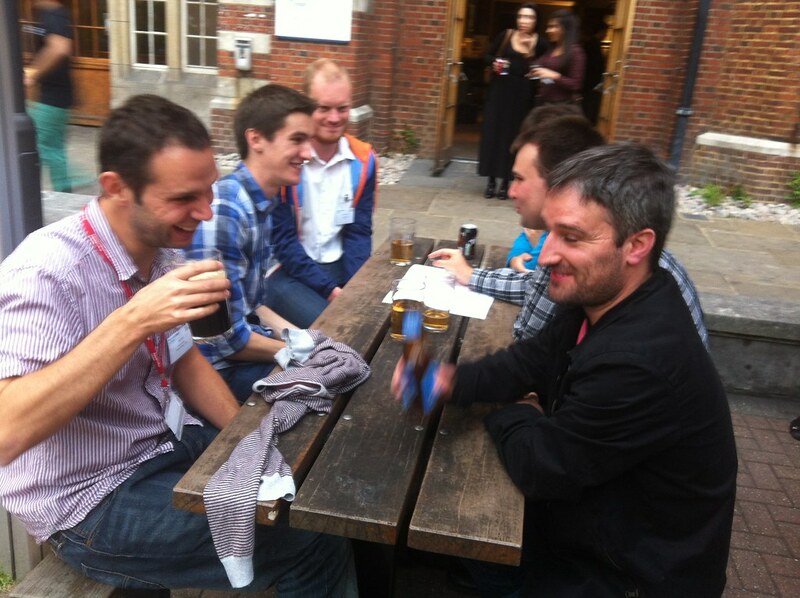 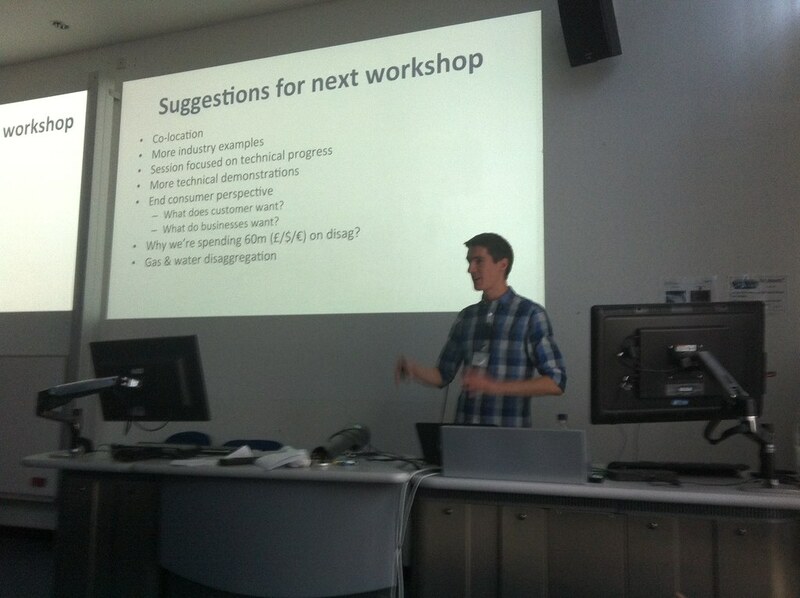 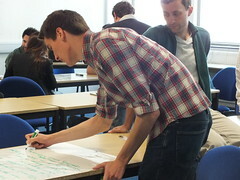 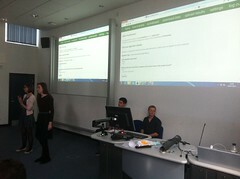 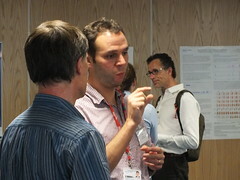 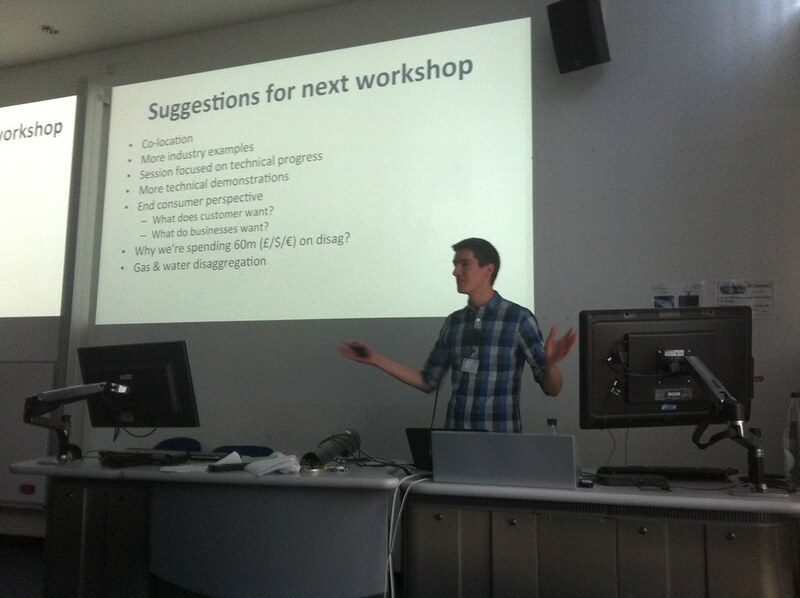 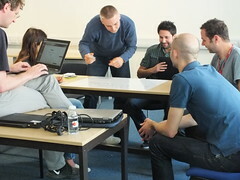 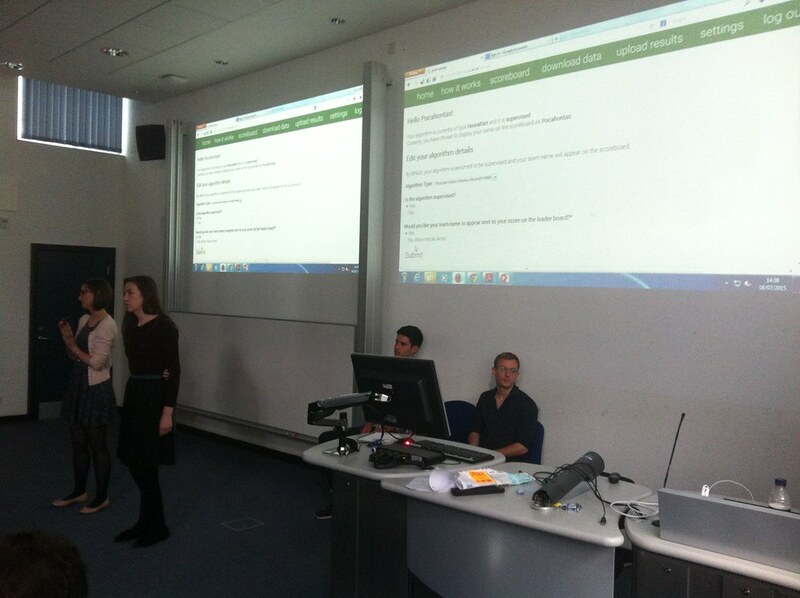 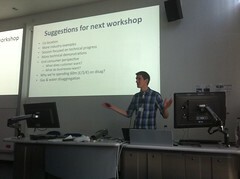 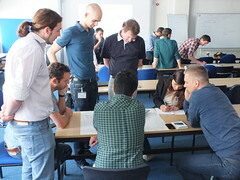 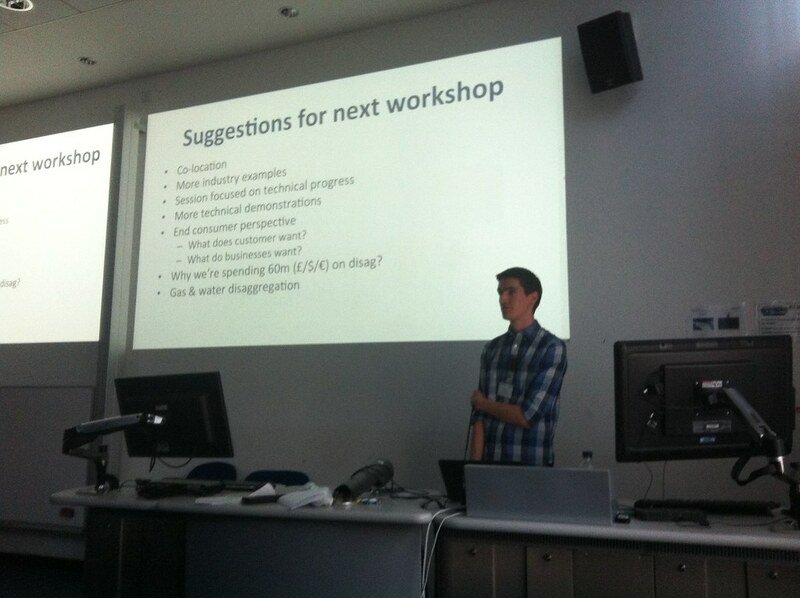 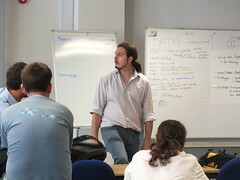 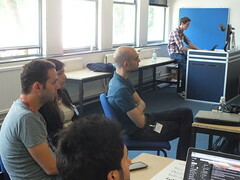 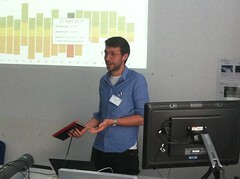 Lastly, the problem of evaluation accuracy cropped up regularly throughout the workshop. 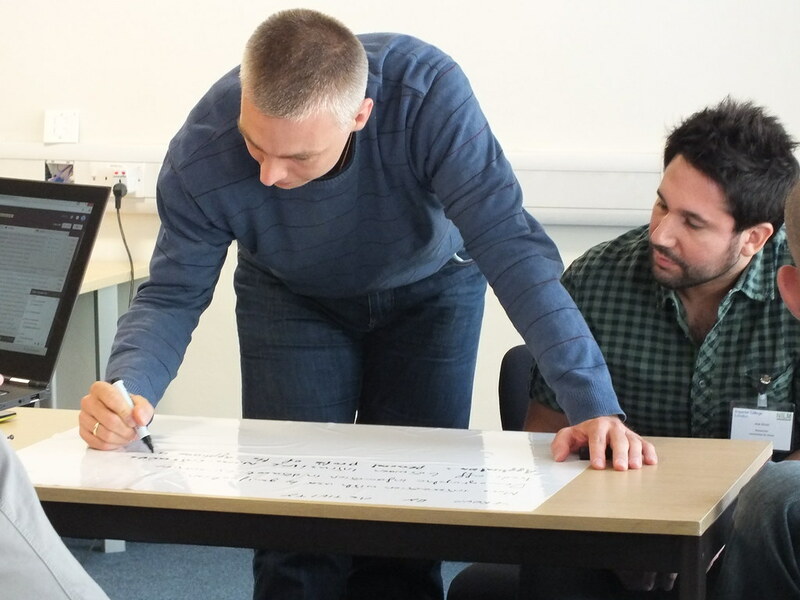 The need for standard data sets, metrics and methodologies is now more important than ever. 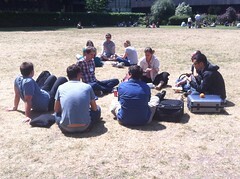 The two day workshop finished with a discussion of plans for the 2016 European workshop. 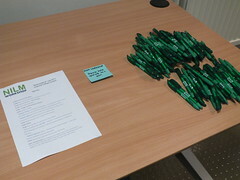 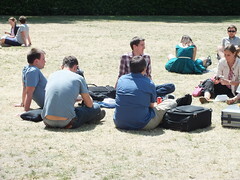 While the location of the workshop is yet to be decided, it was clear that there was sufficient demand for a future meeting. 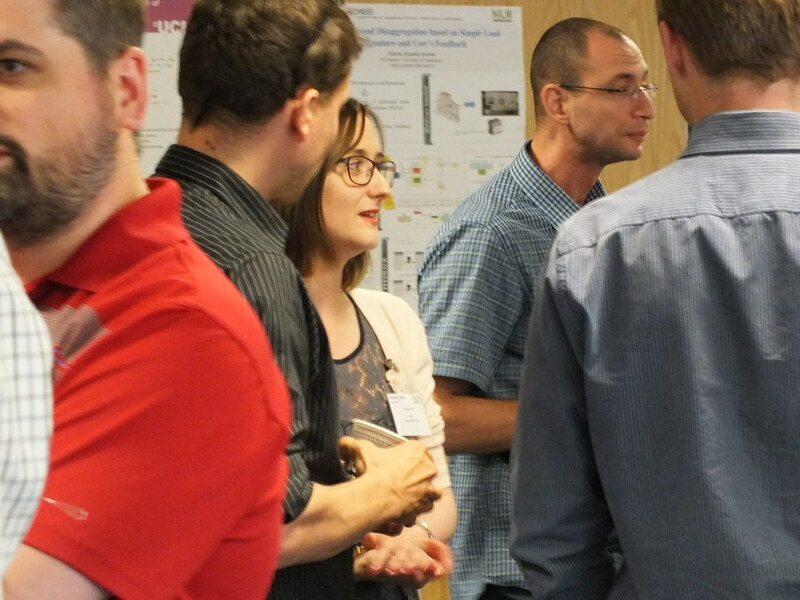 We will soon be announcing a call for hosts, with the aim of hosting the workshop in a city with convenient international transport links with the rest of Europe.